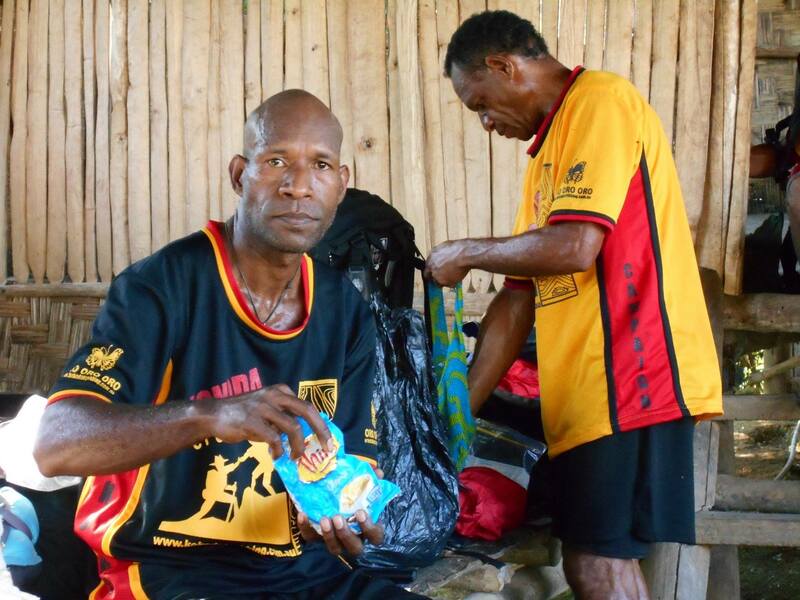 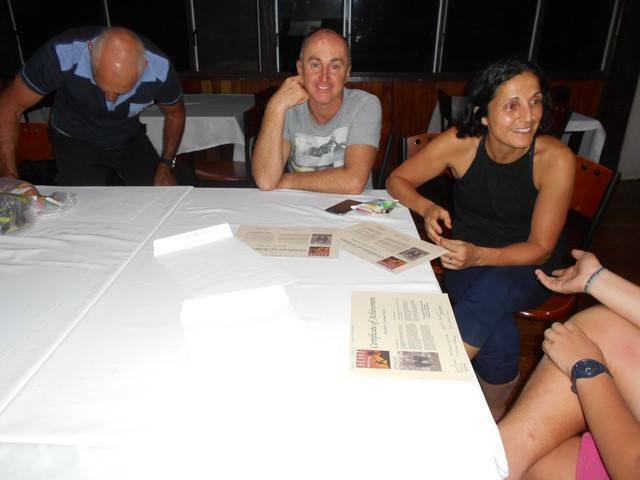 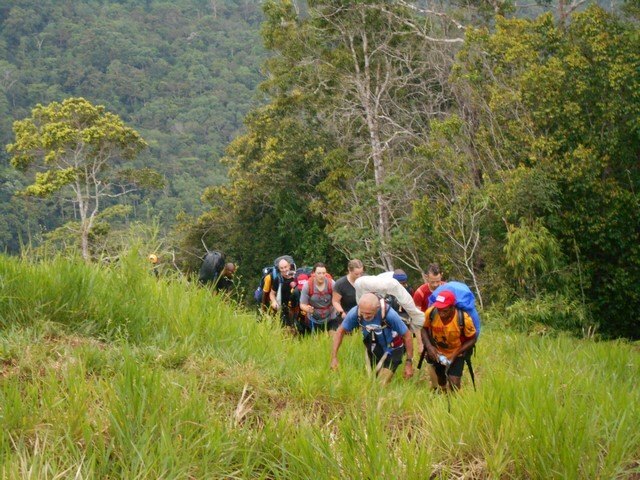 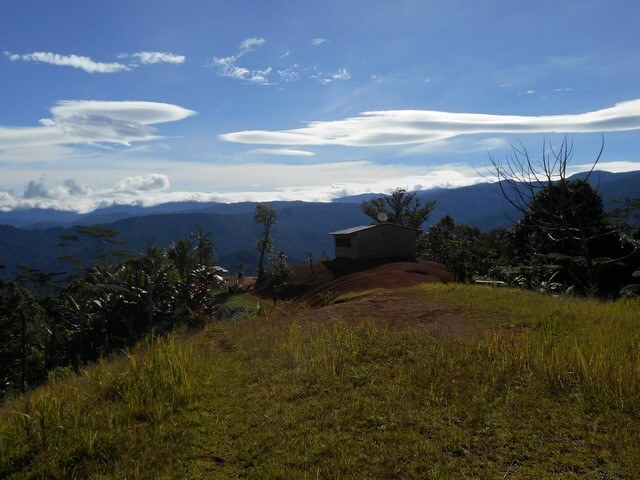 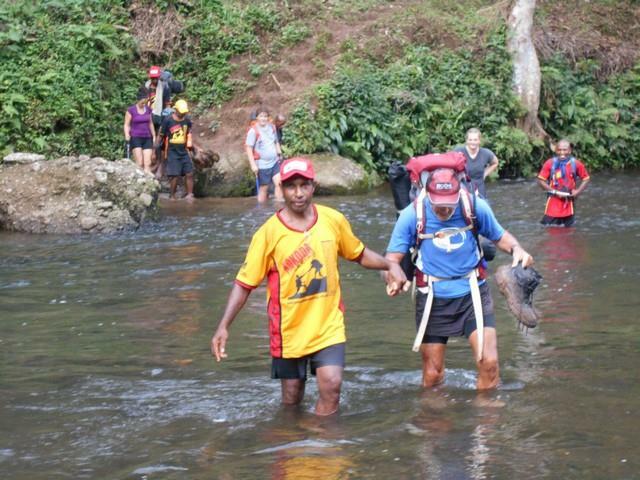 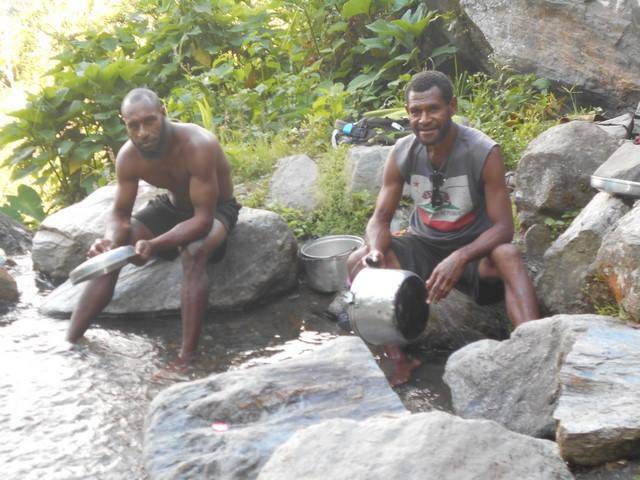 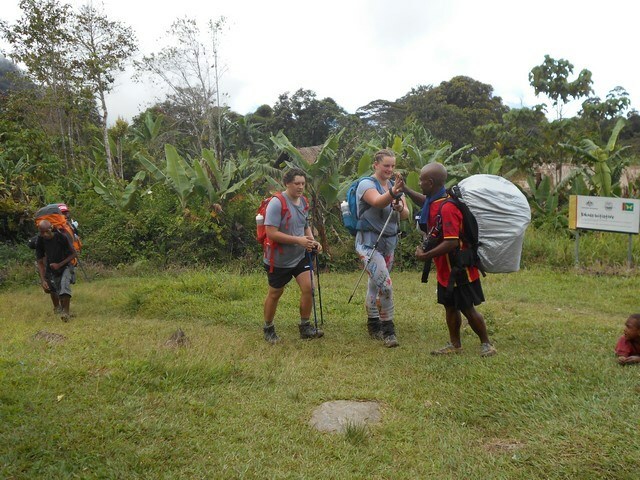 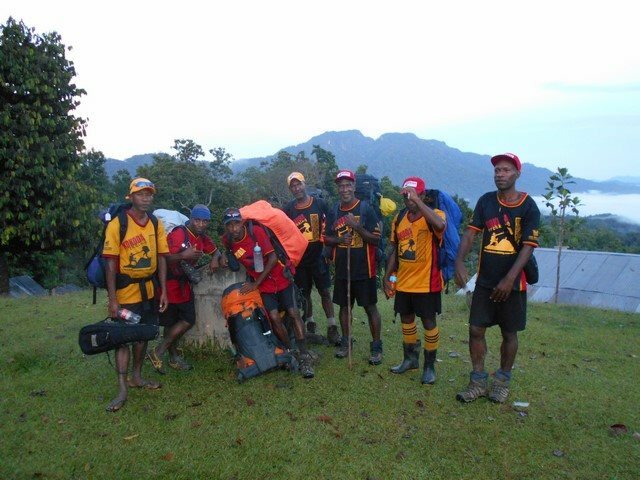 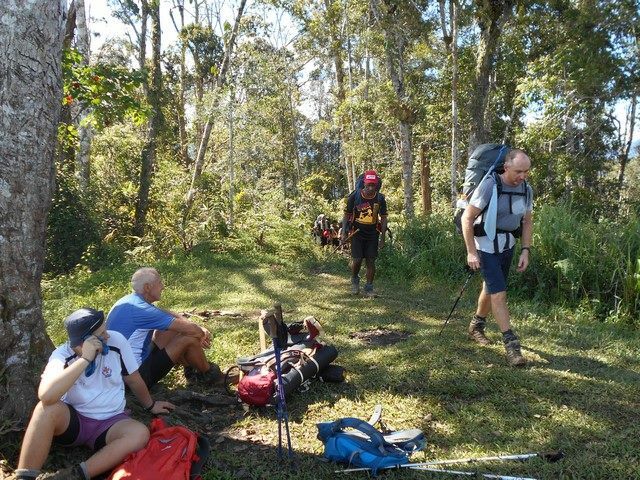 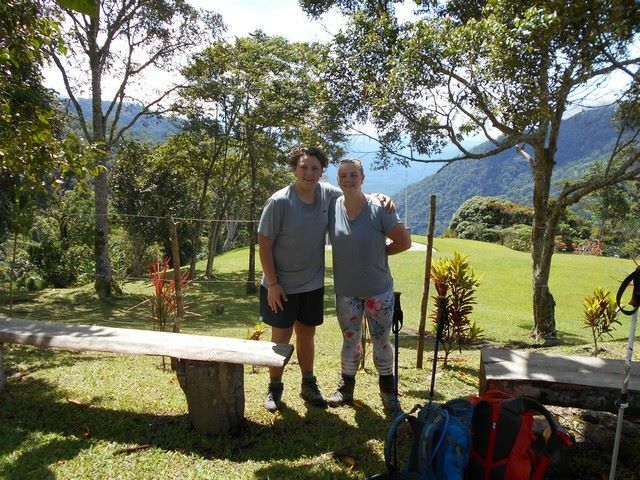 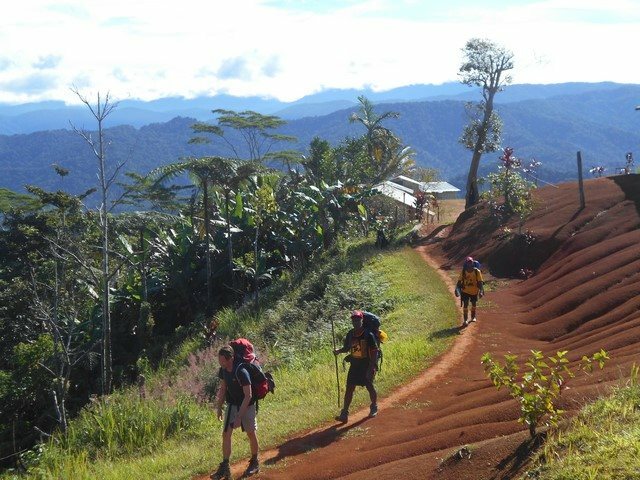 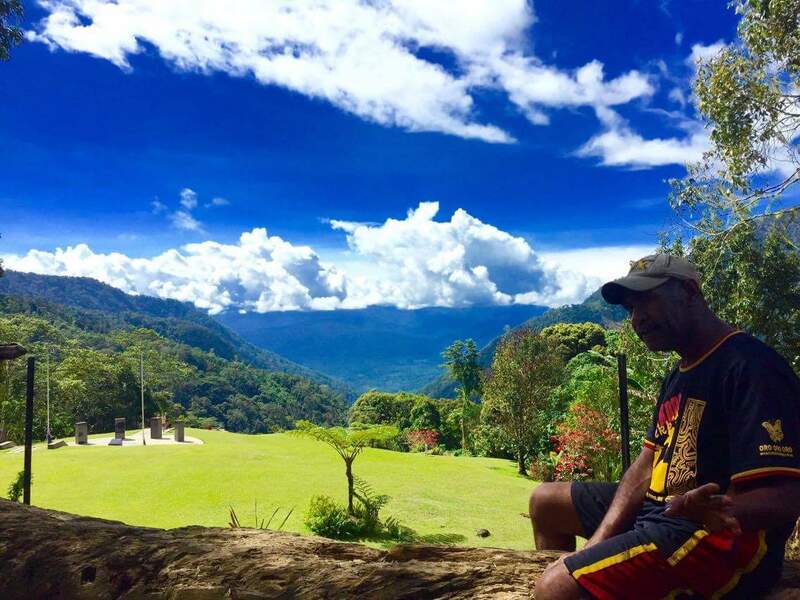 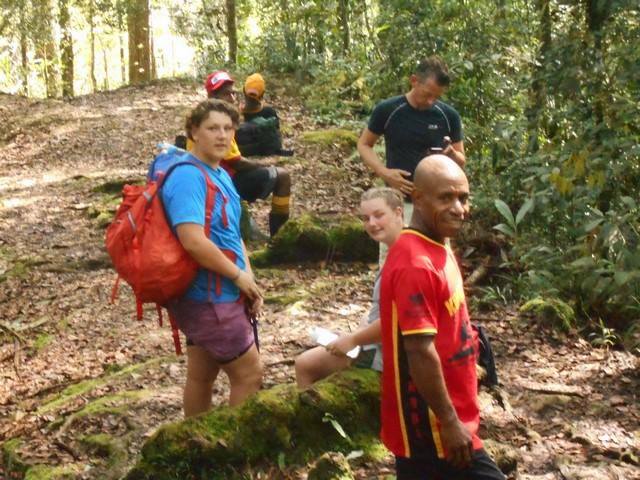 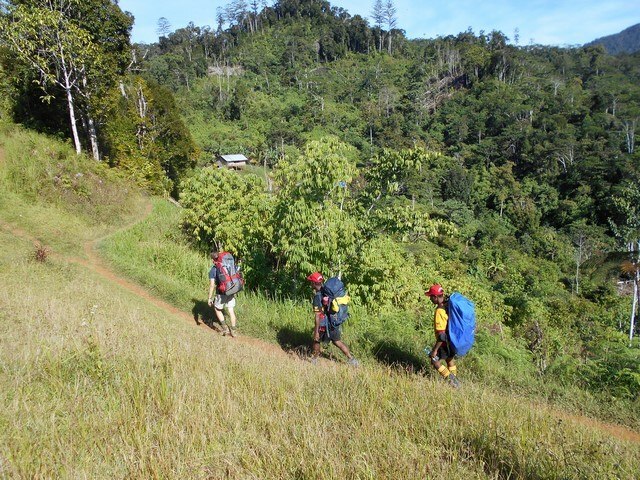 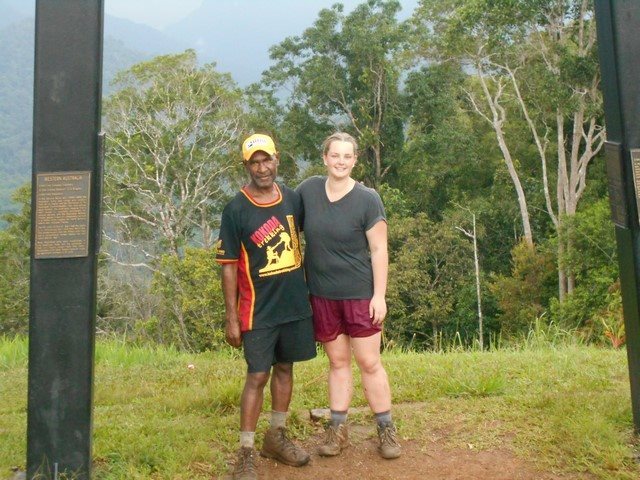 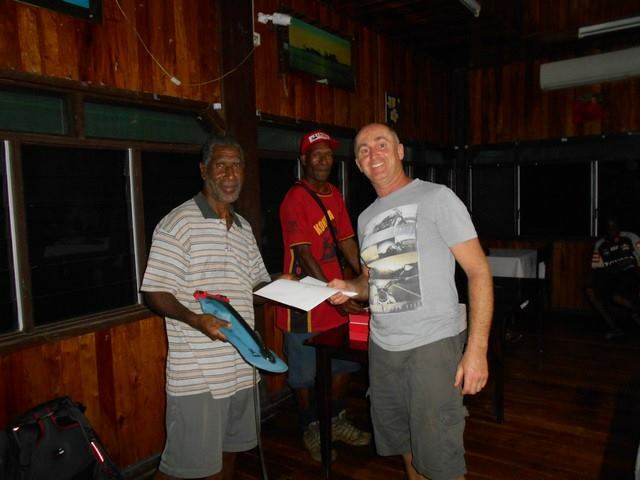 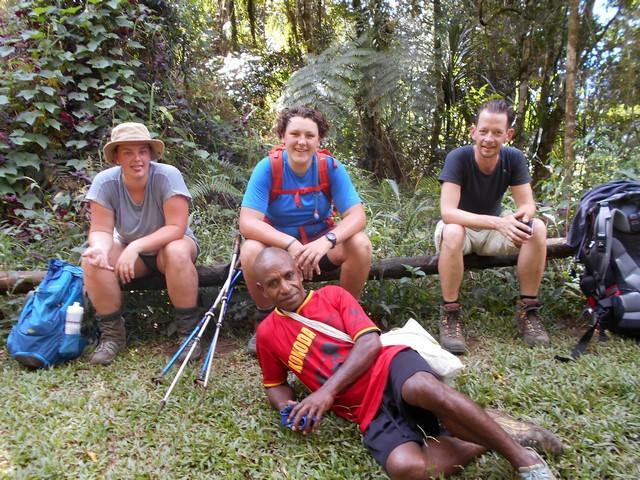 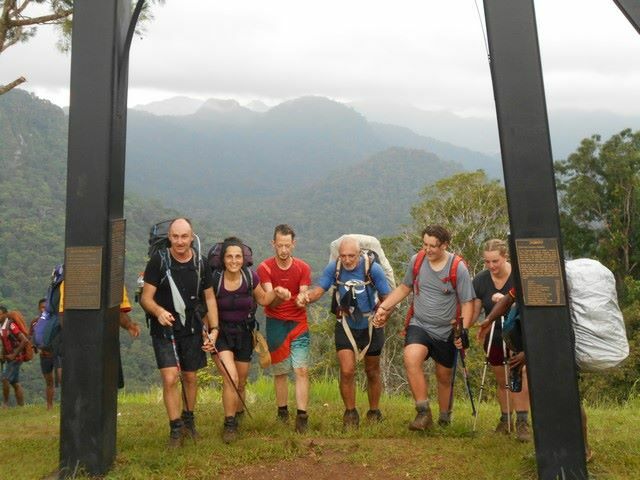 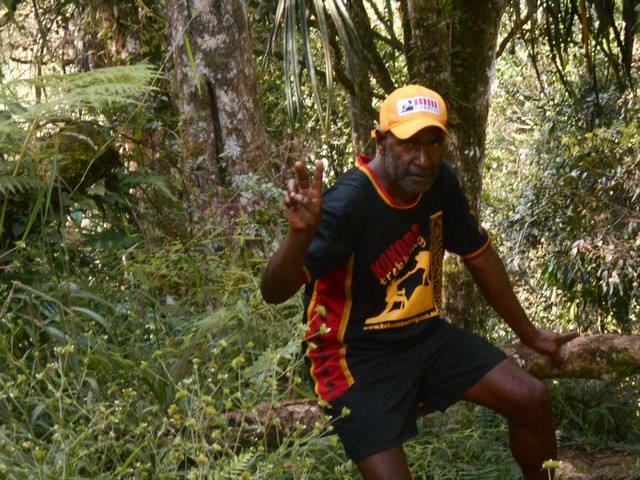 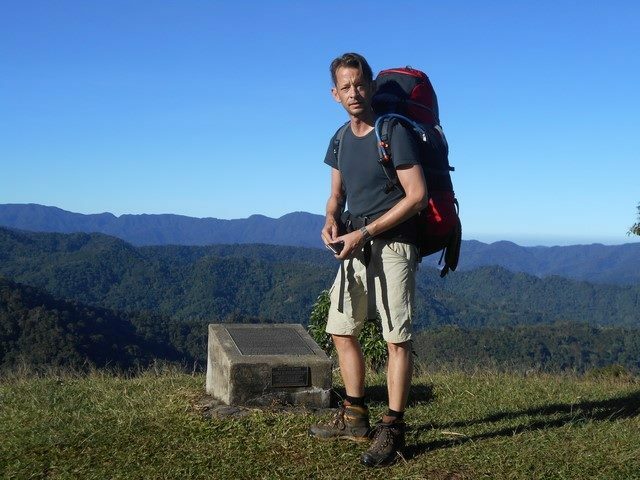 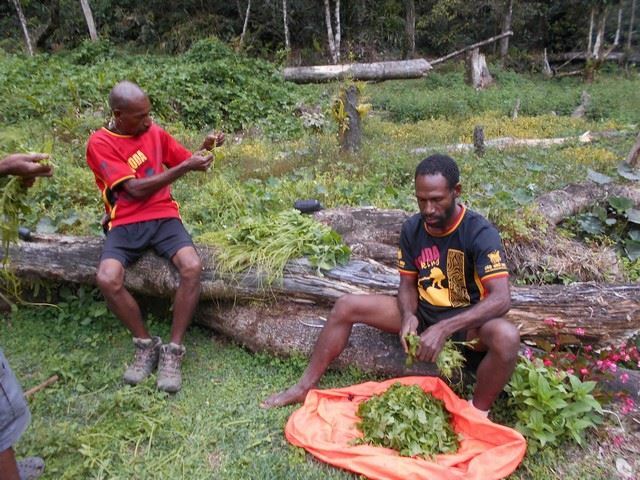 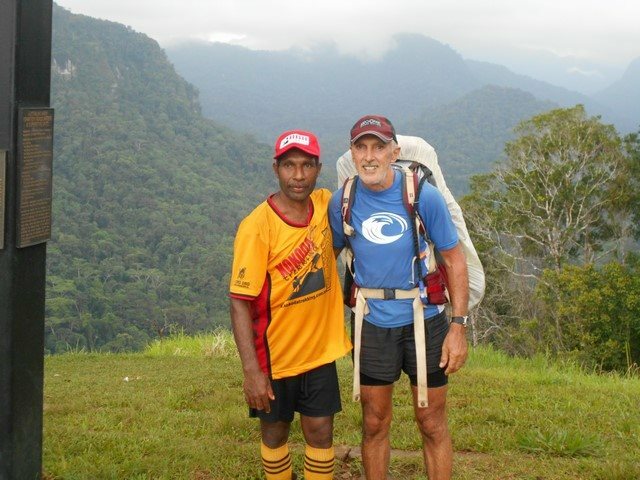 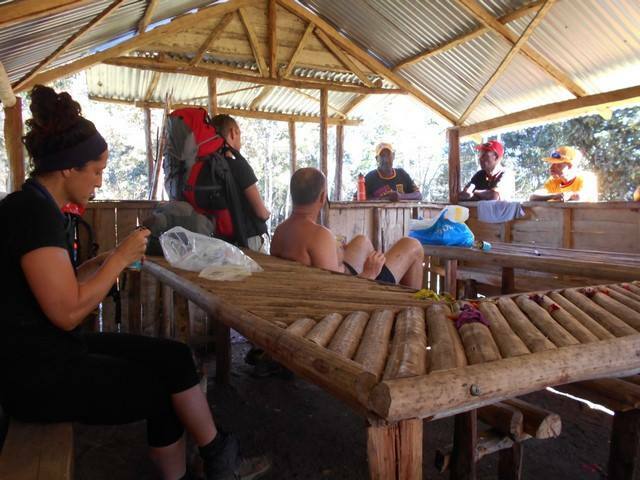 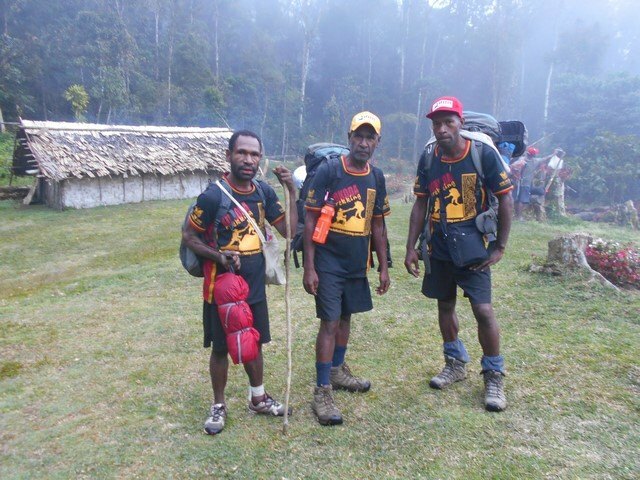 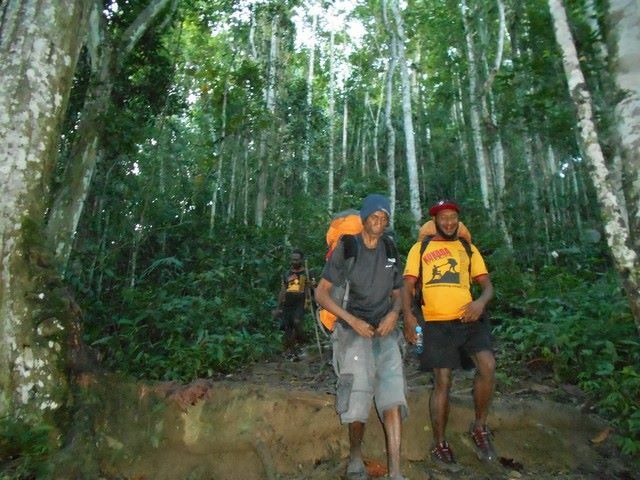 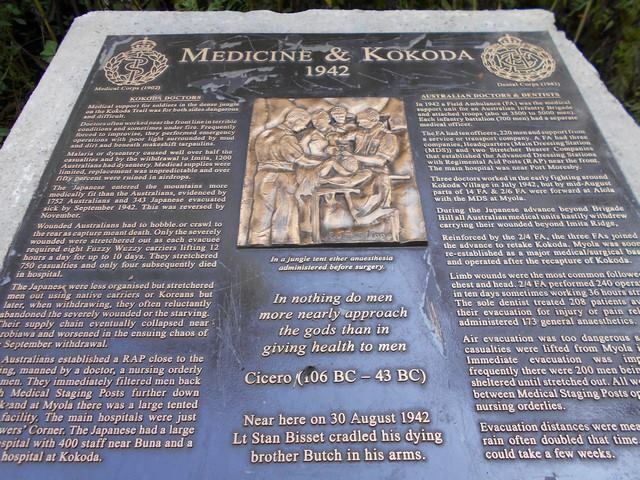 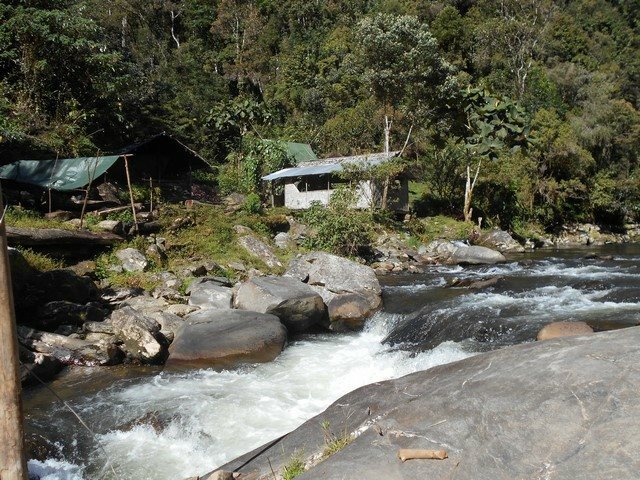 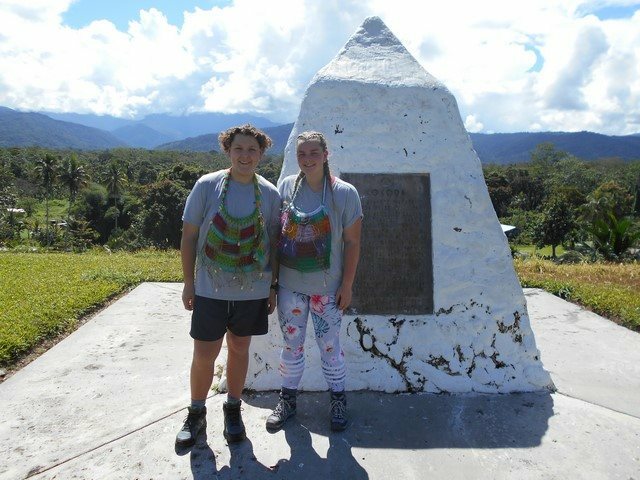 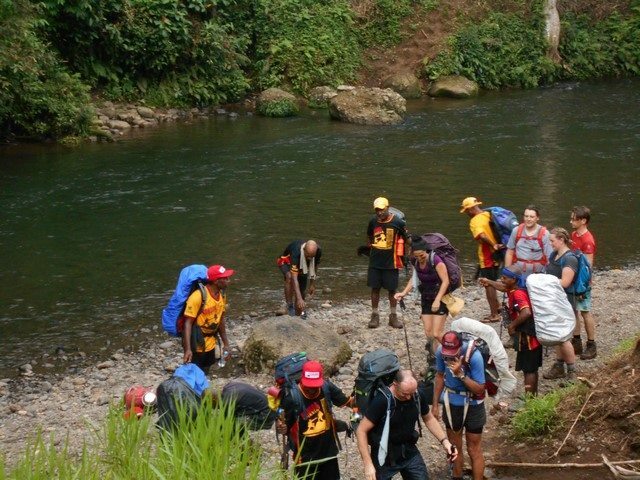 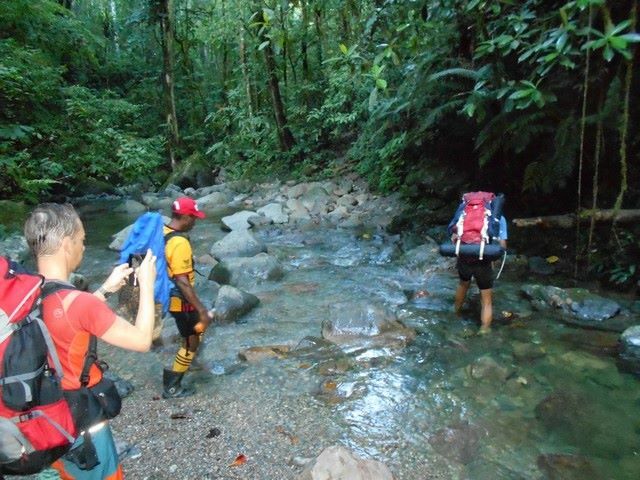 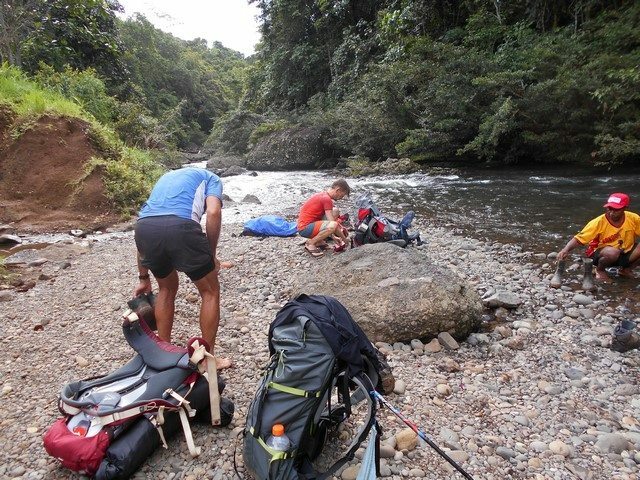 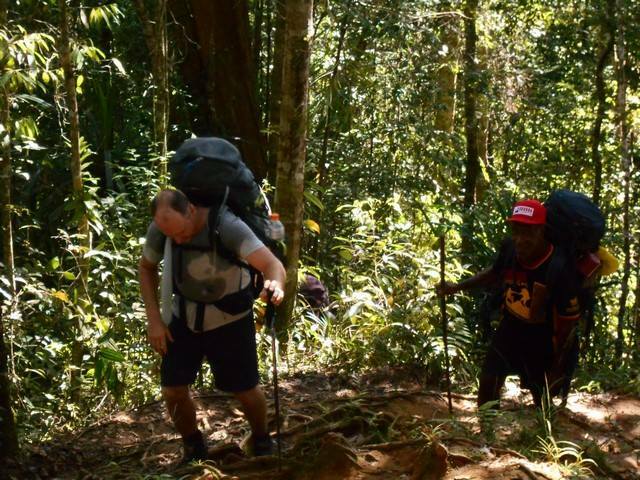 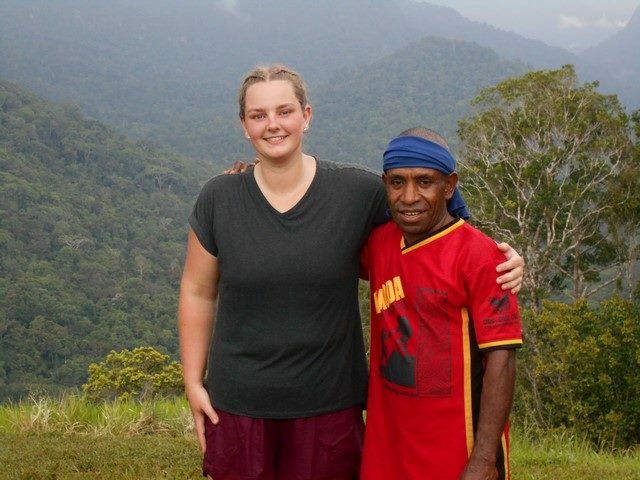 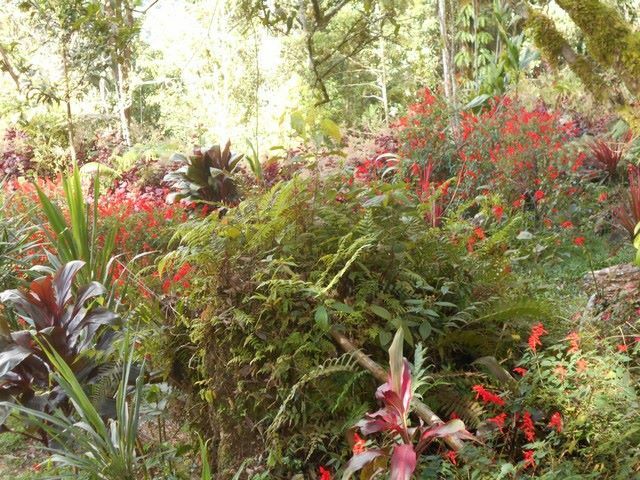 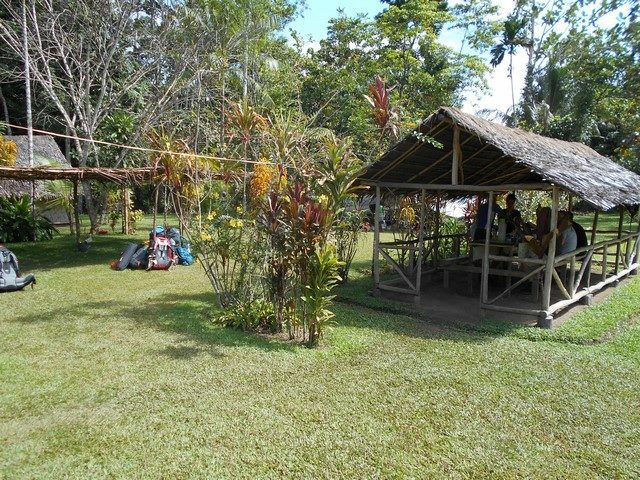 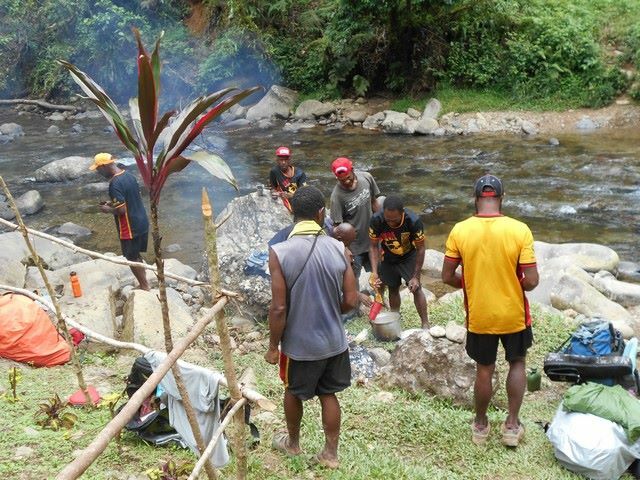 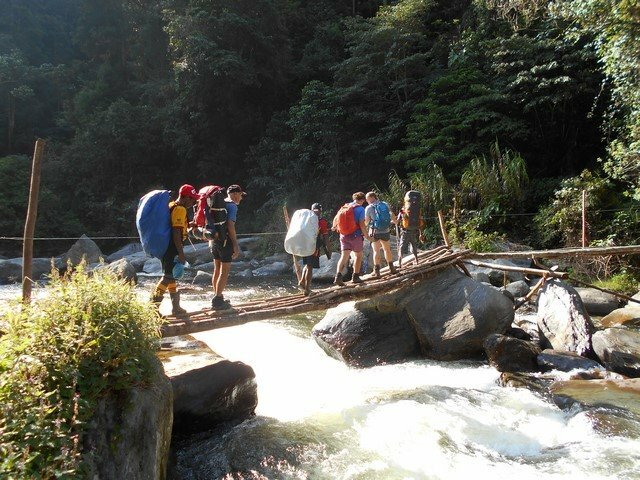 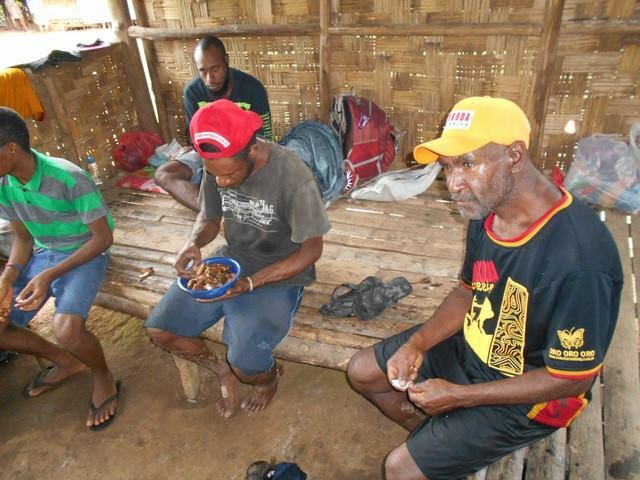 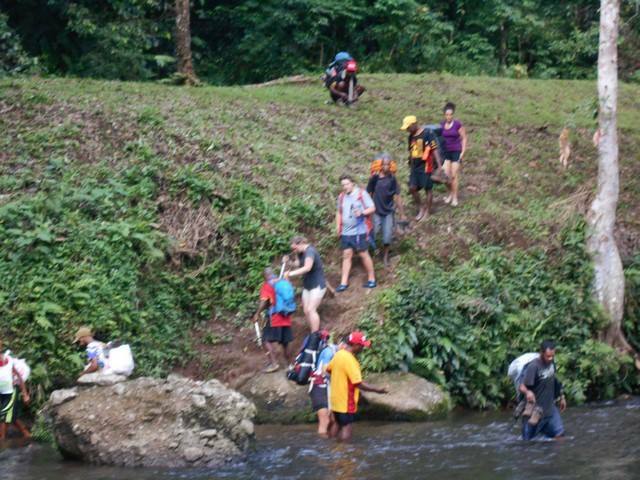 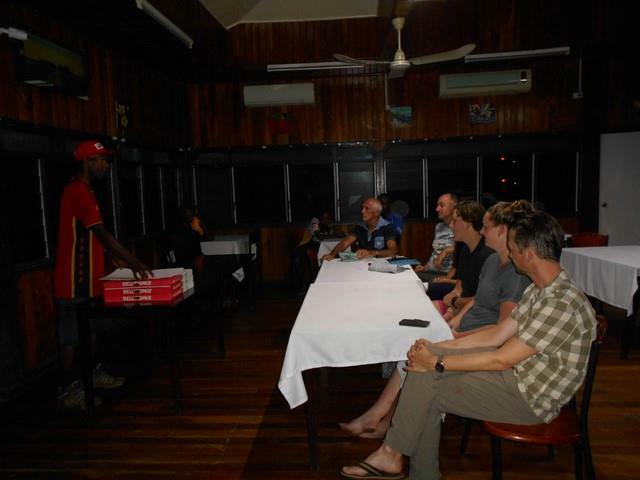 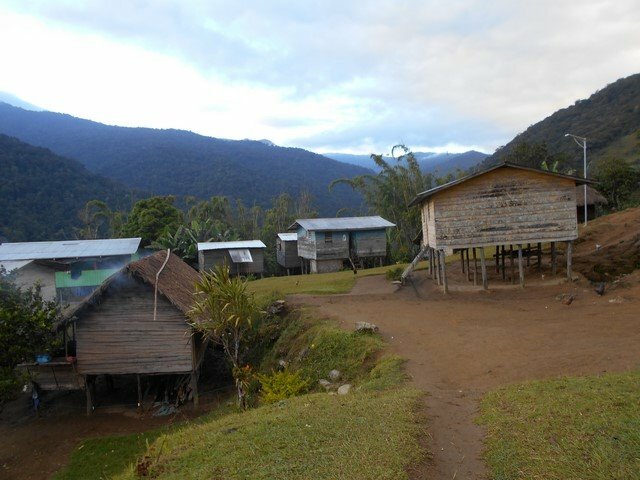 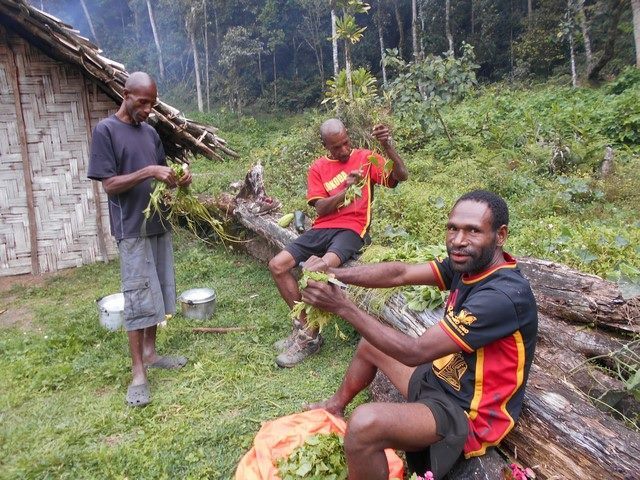 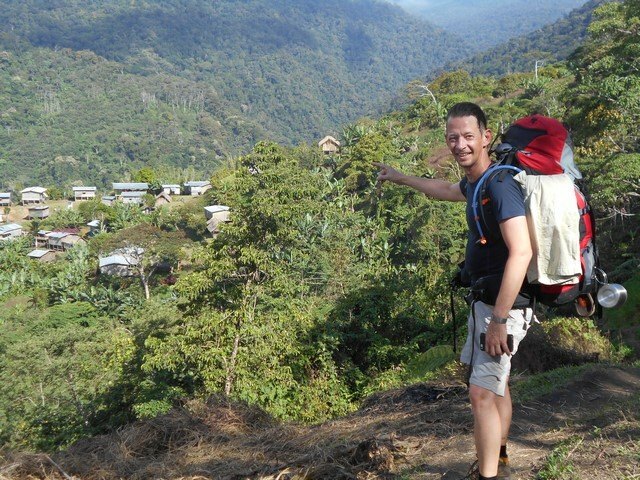 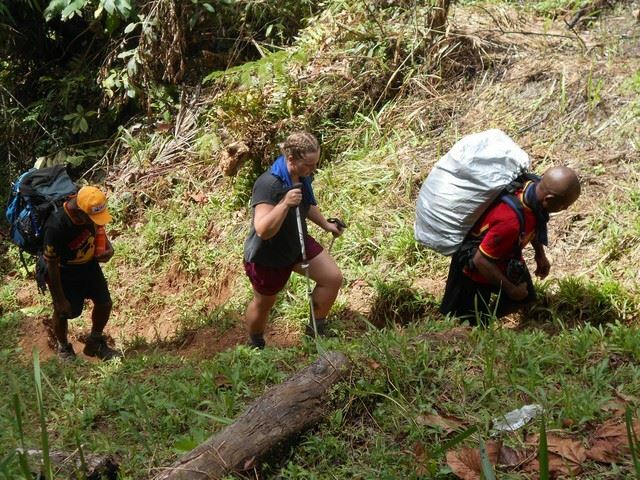 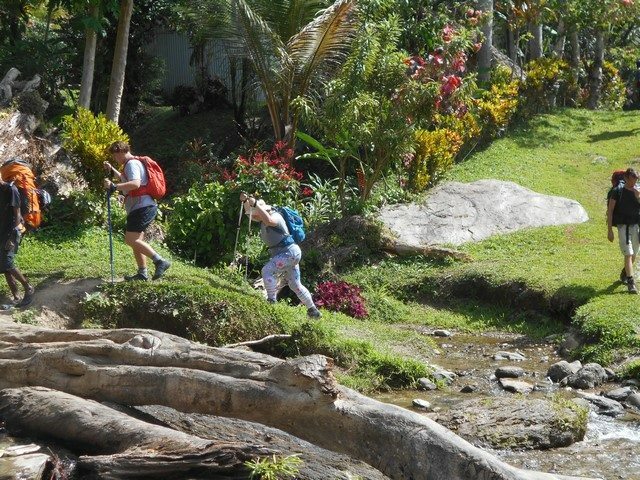 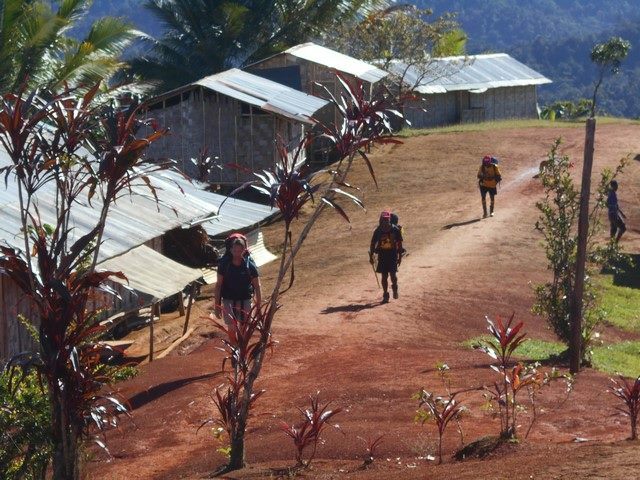 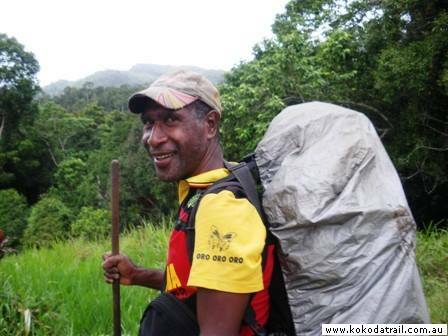 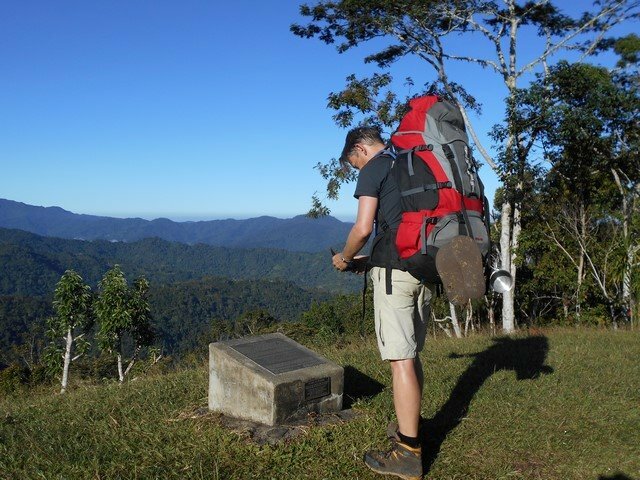 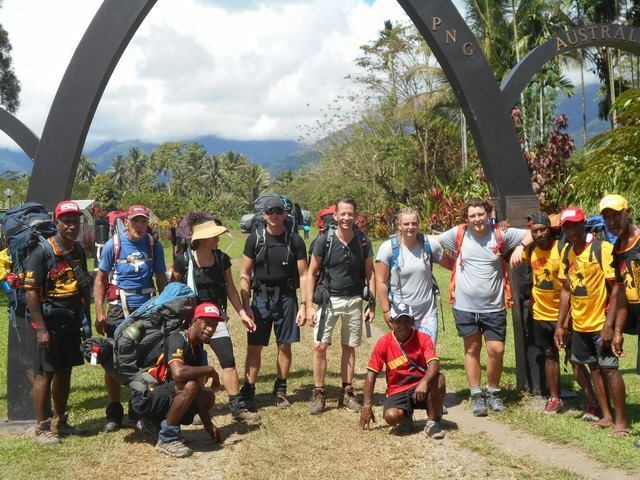 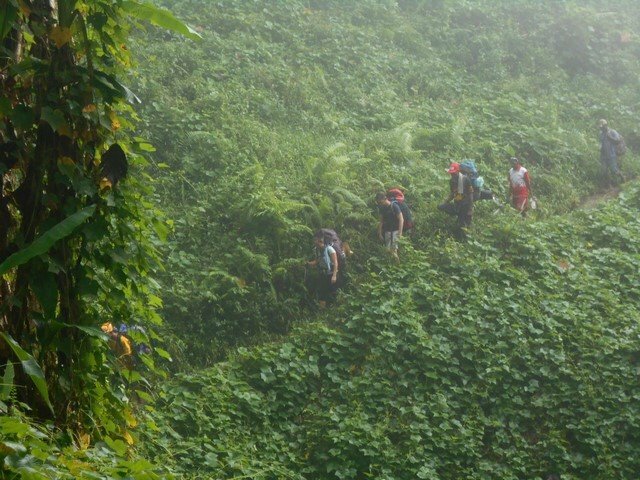 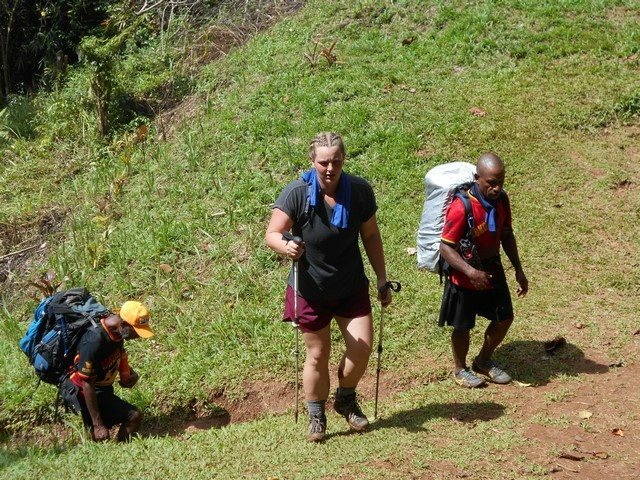 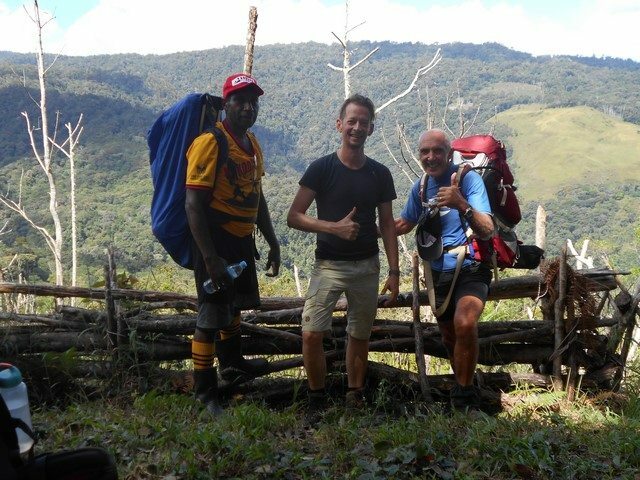 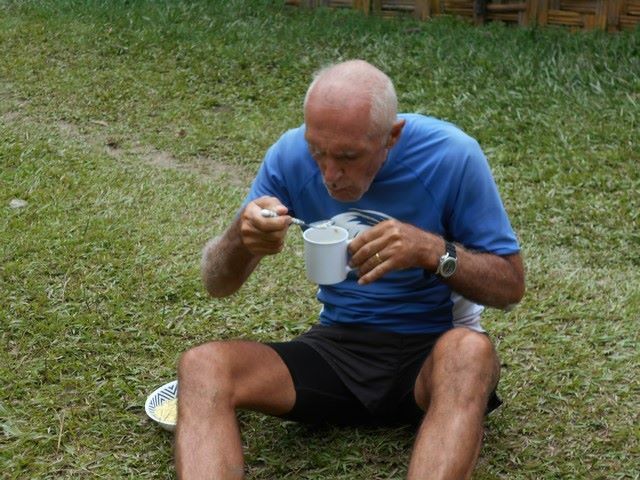 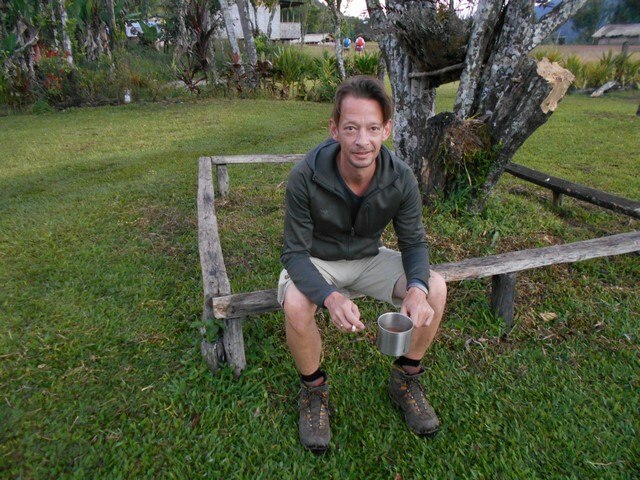 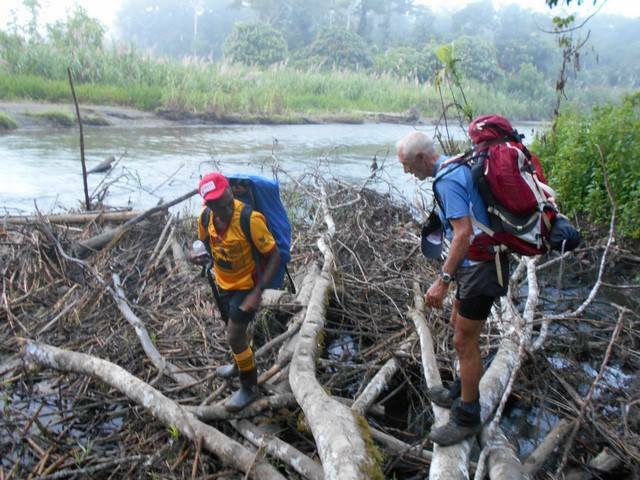 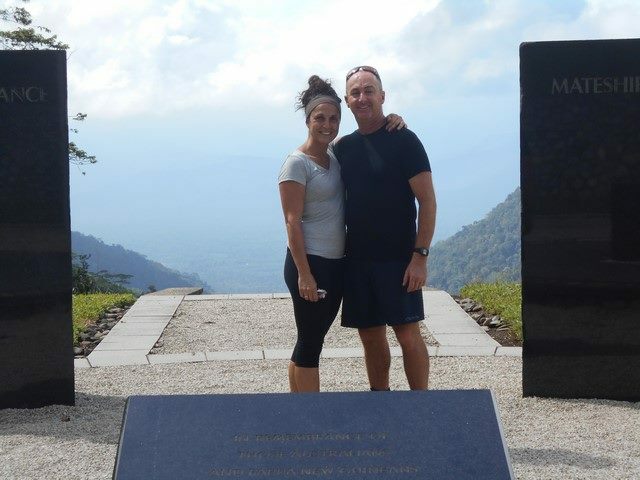 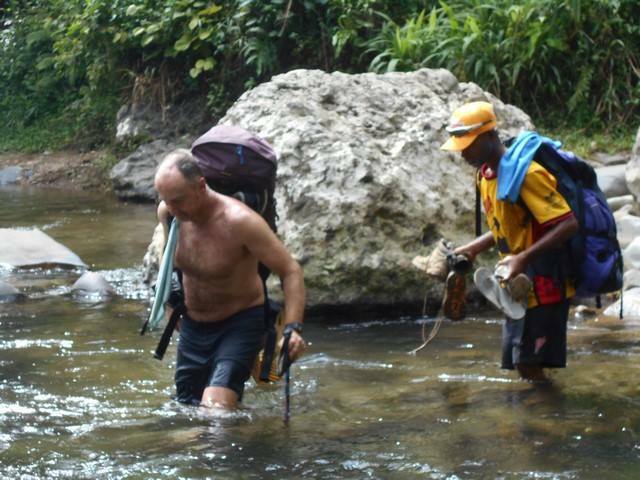 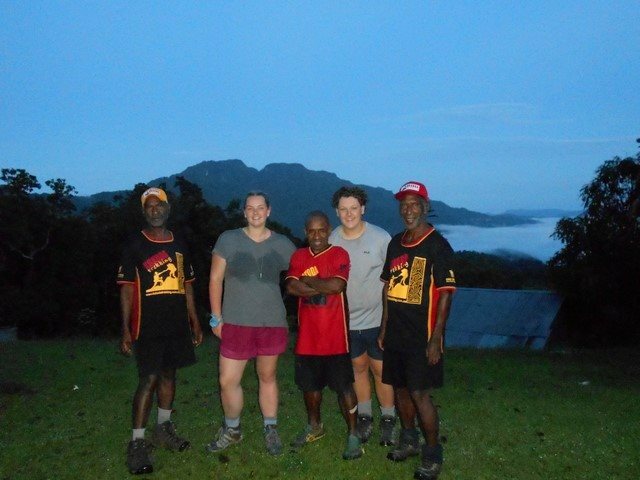 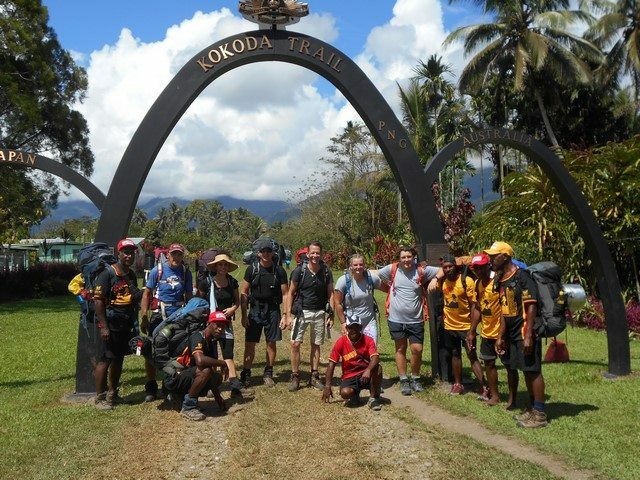 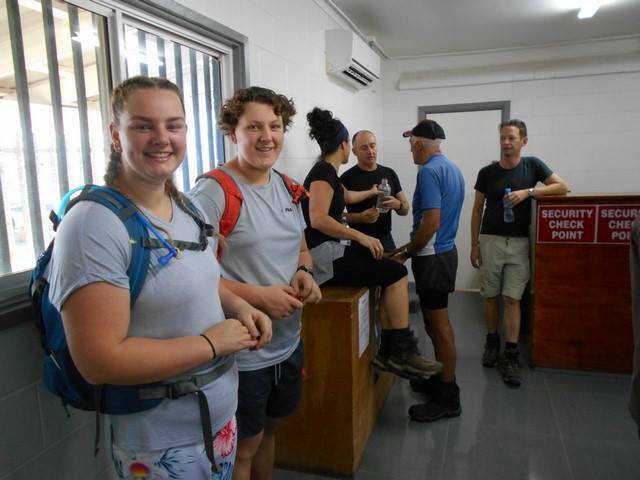 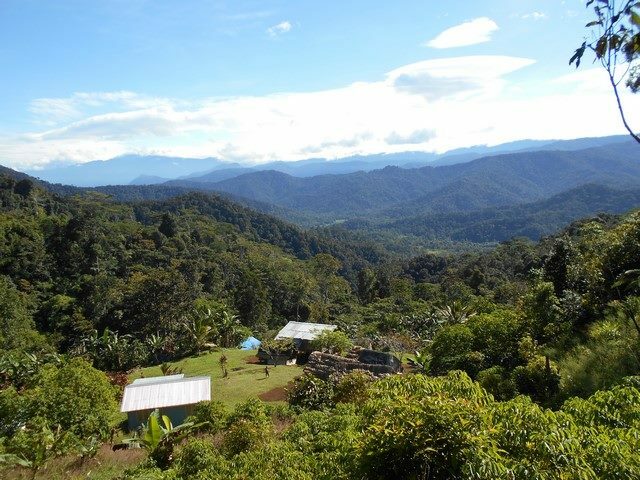 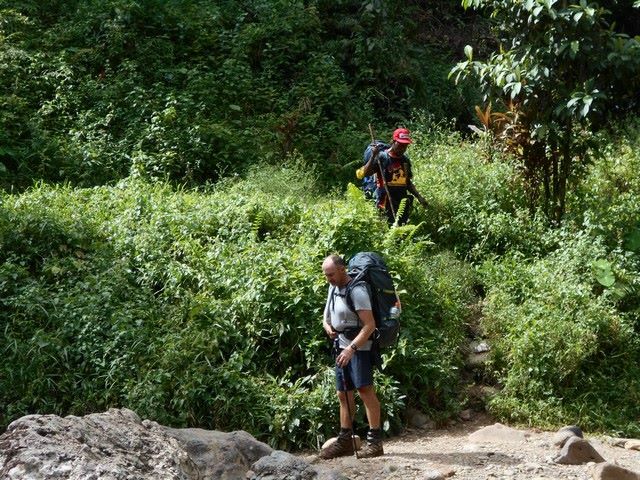 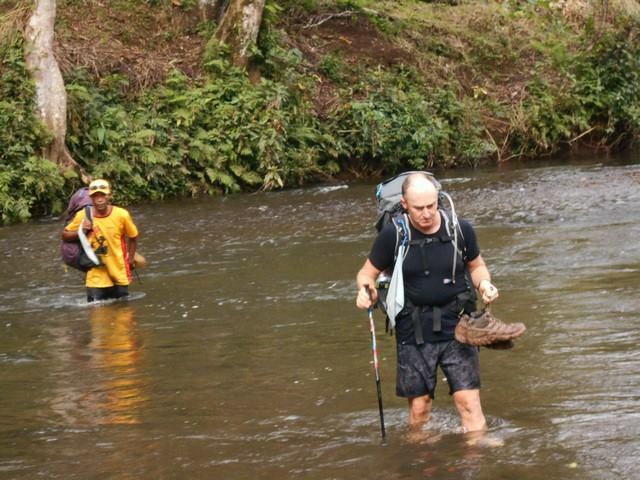 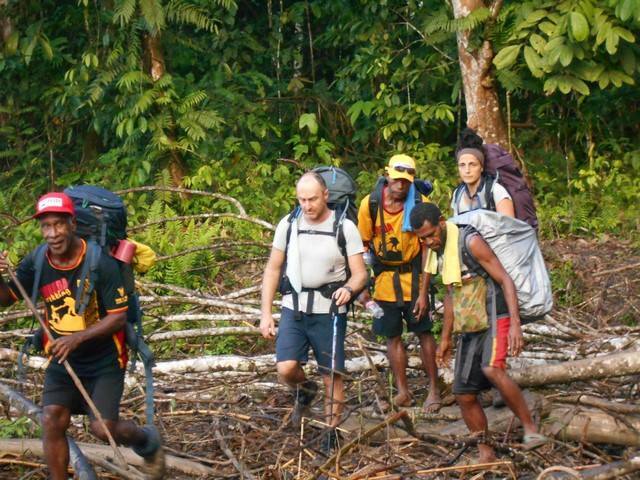 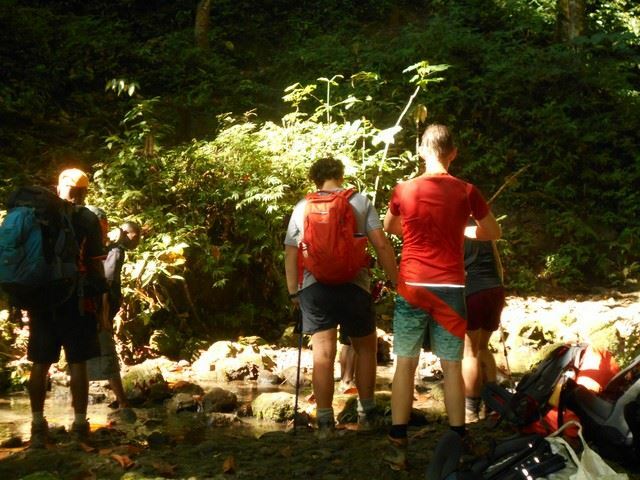 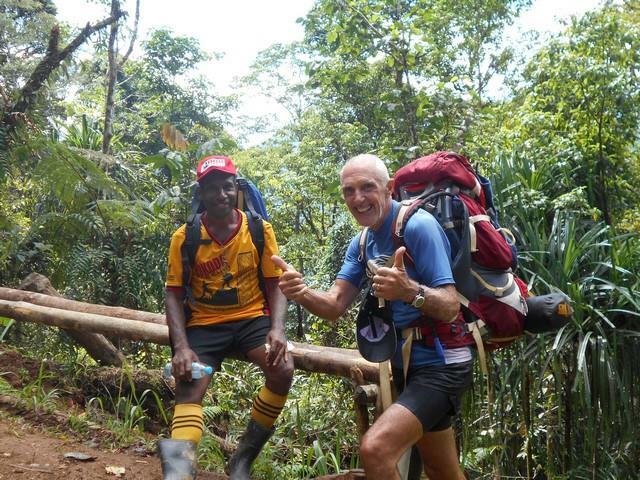 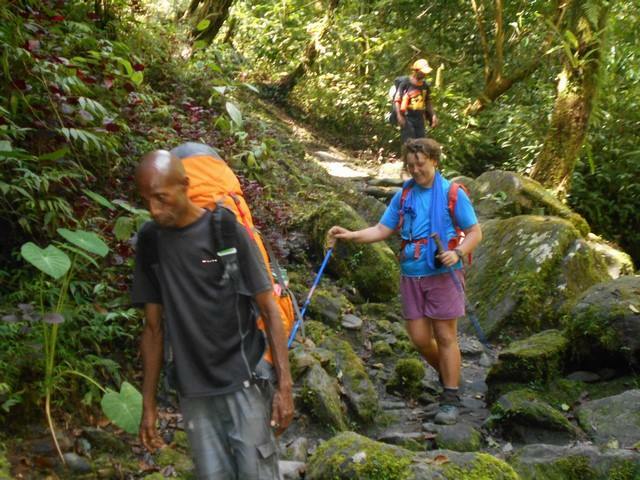 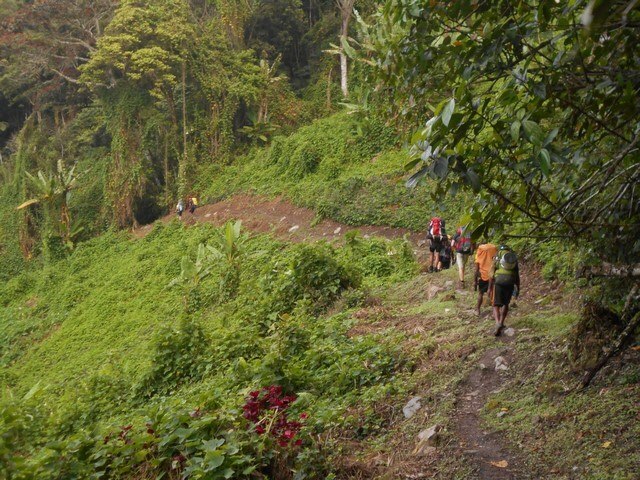 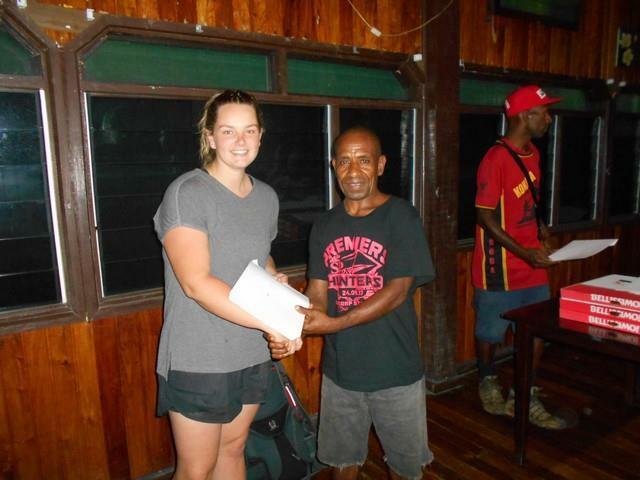 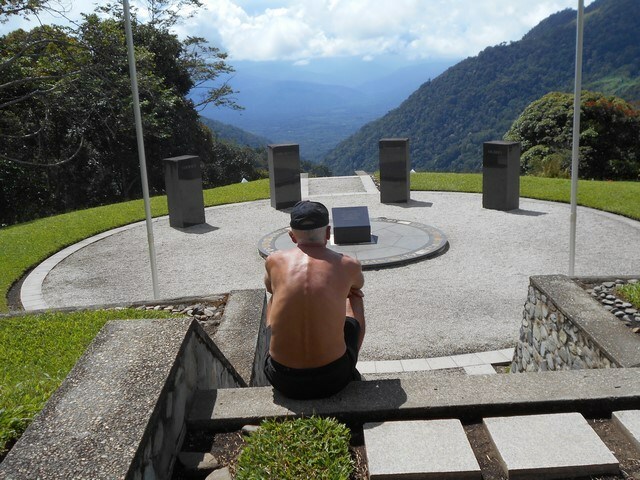 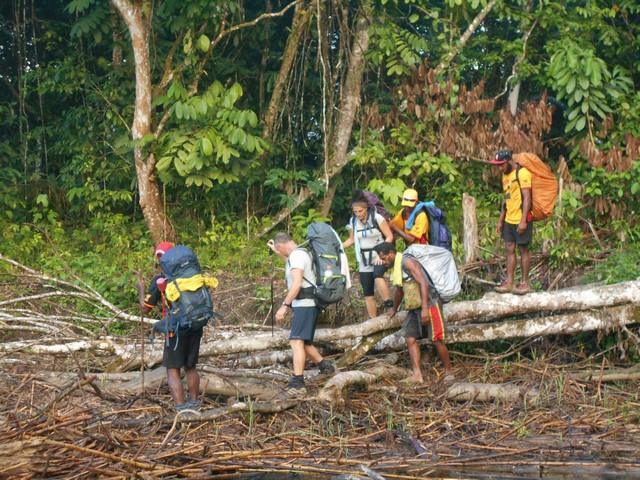 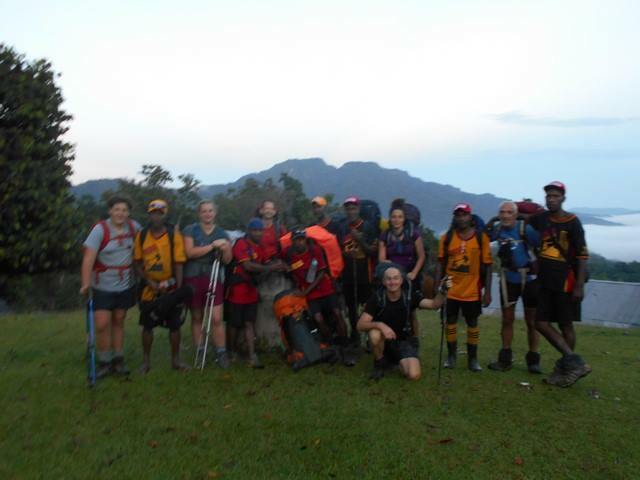 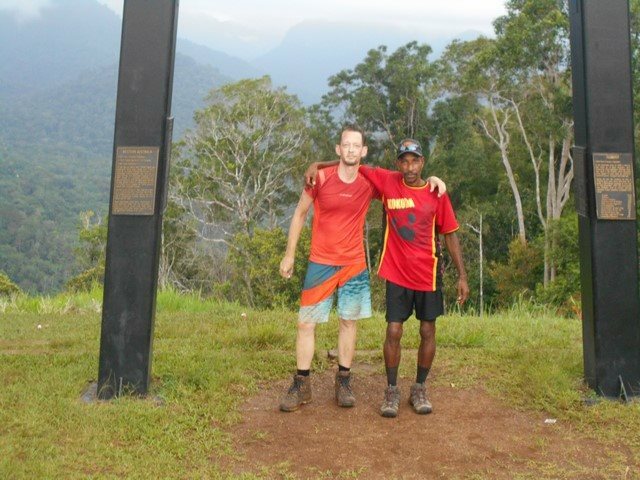 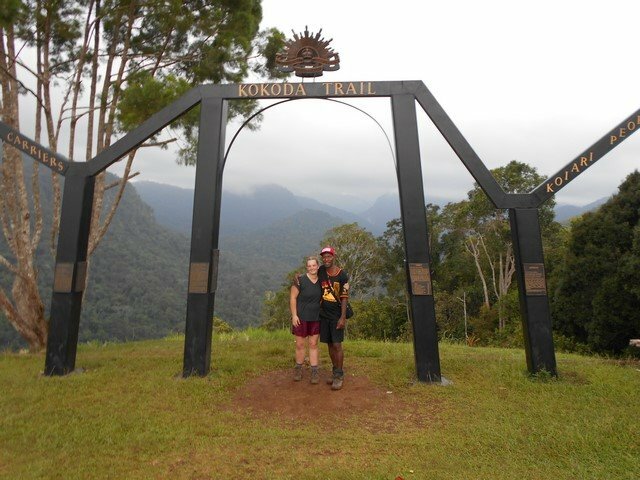 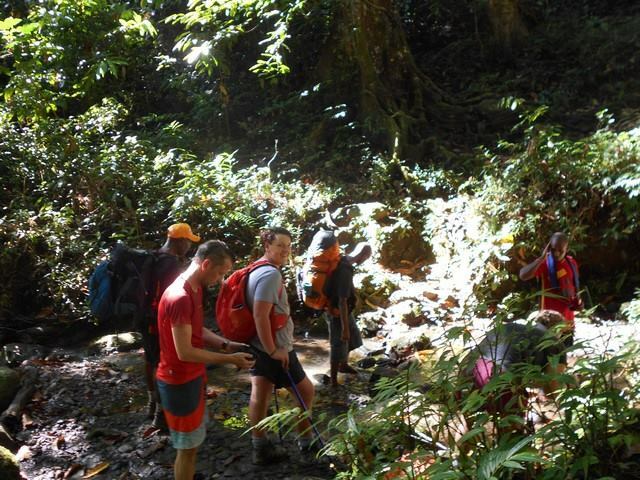 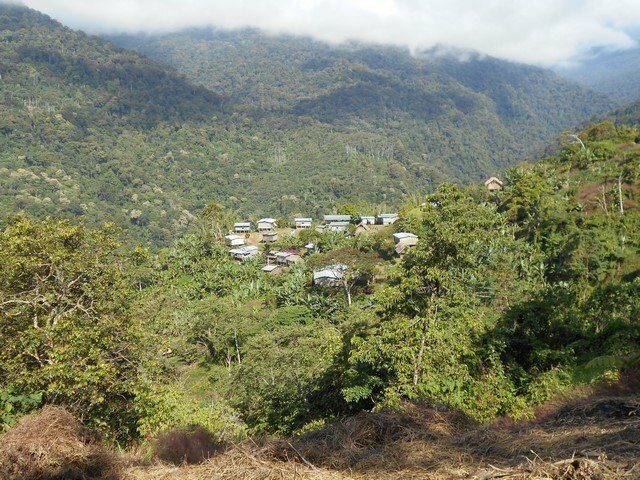 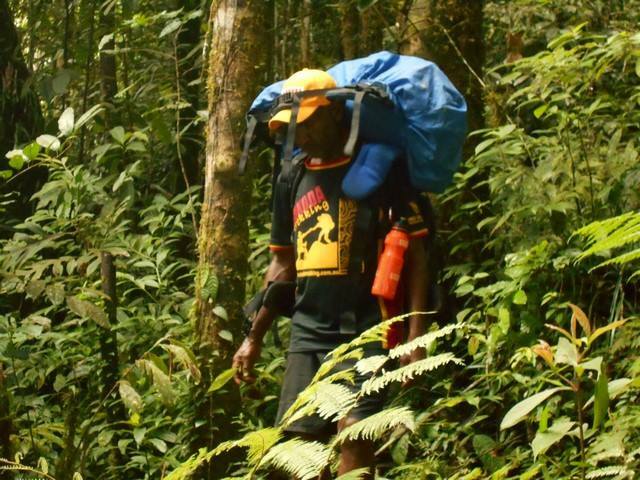 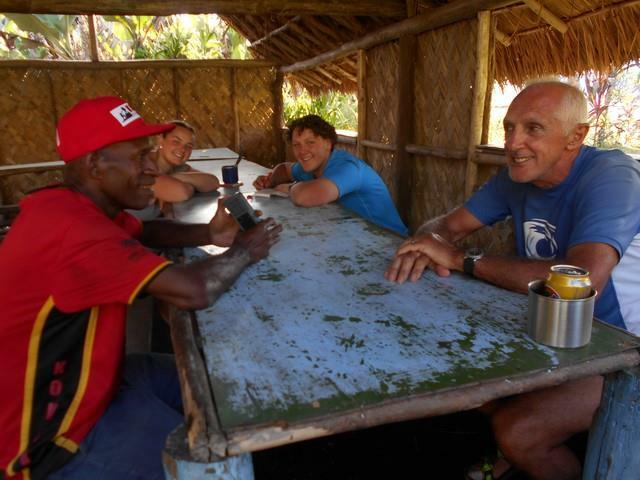 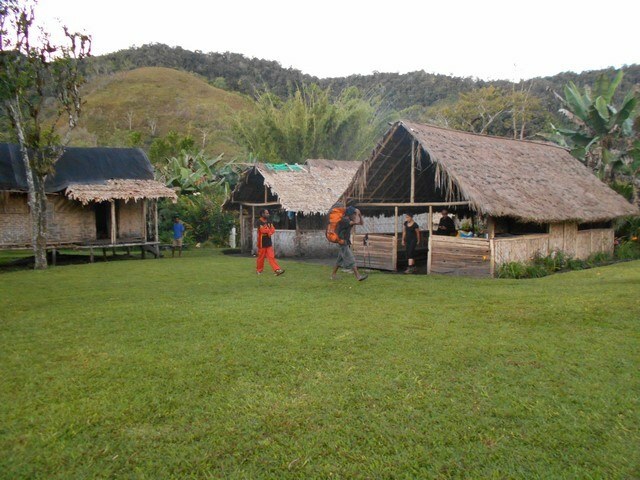 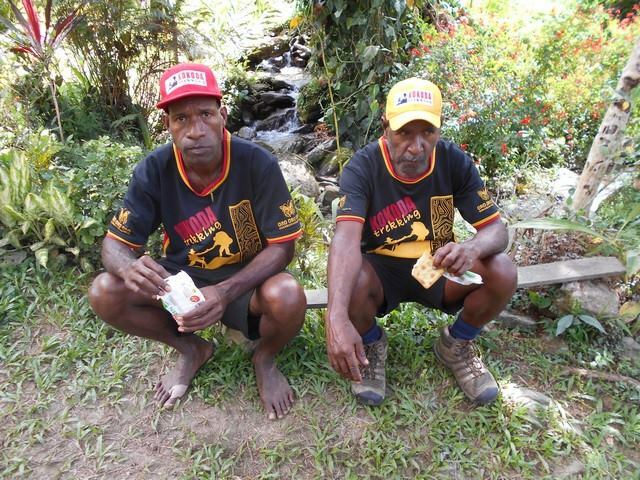 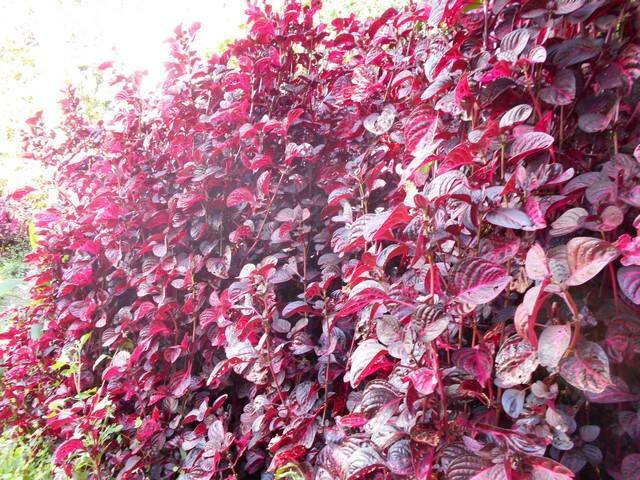 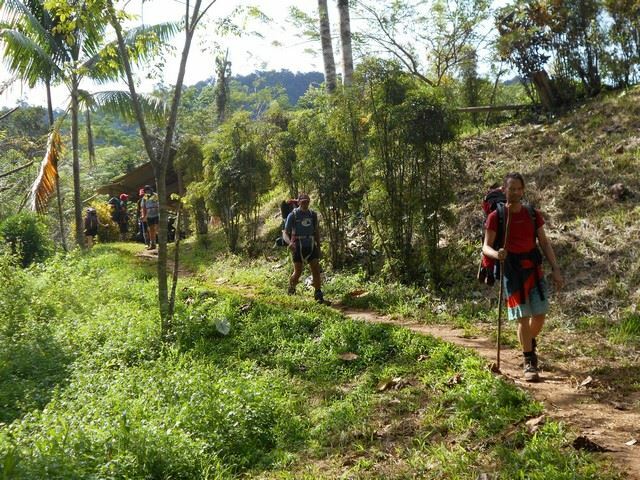 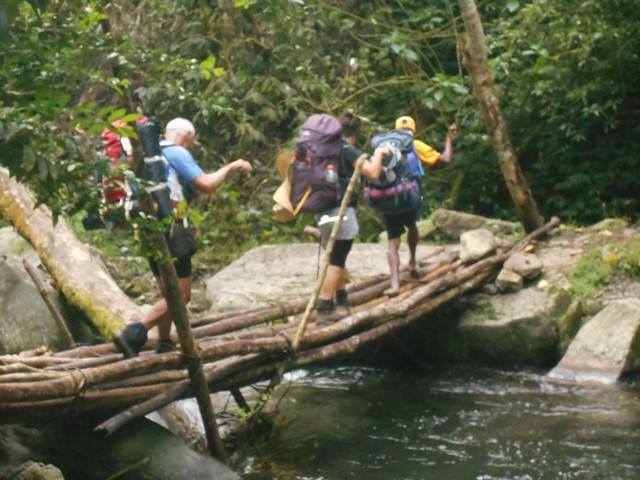 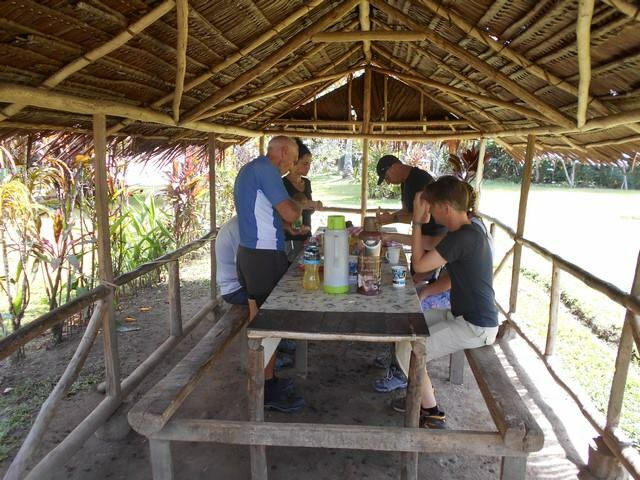 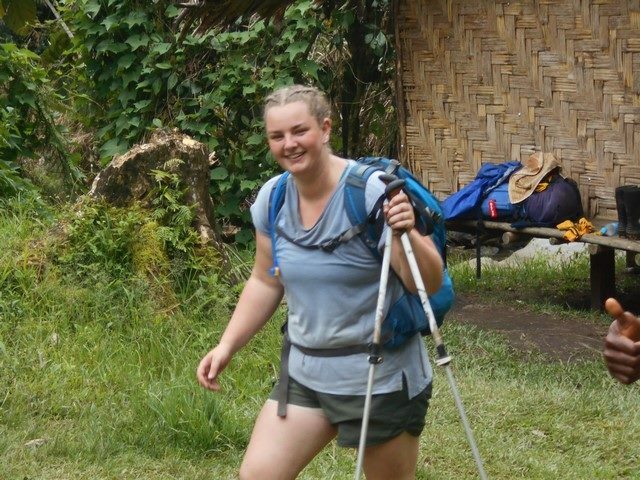 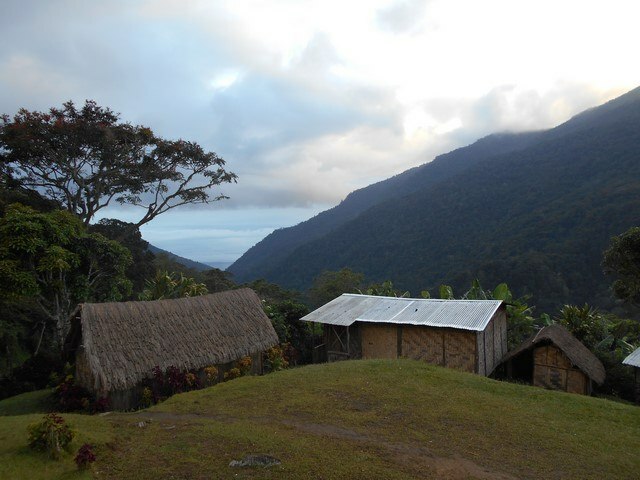 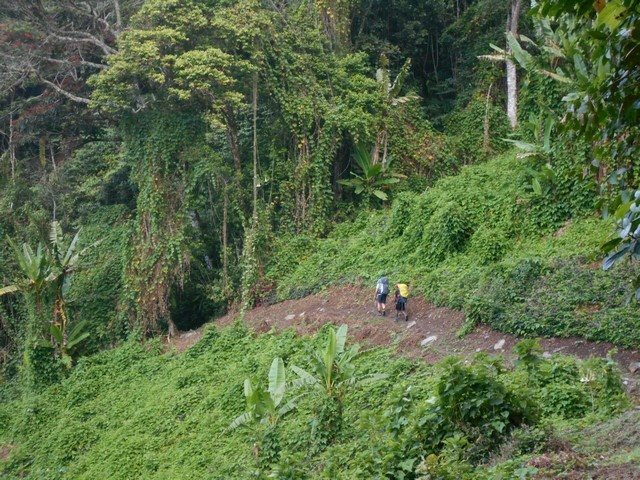 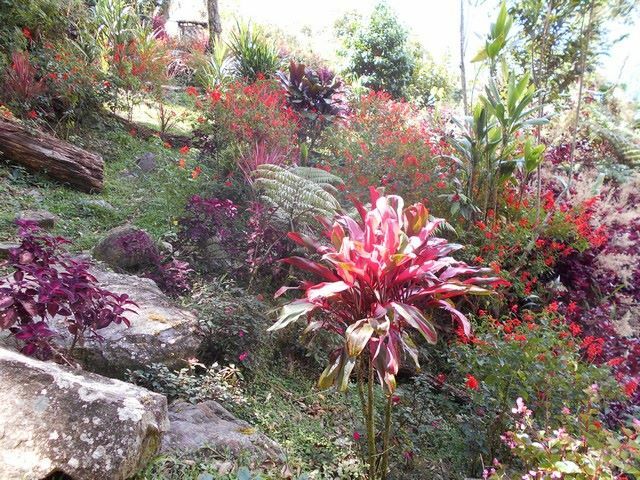 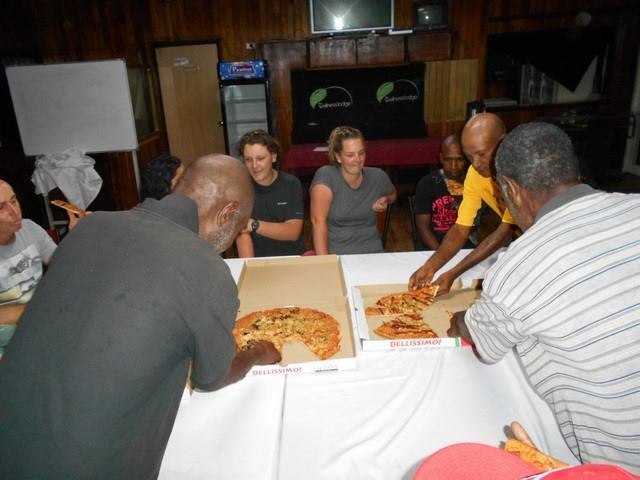 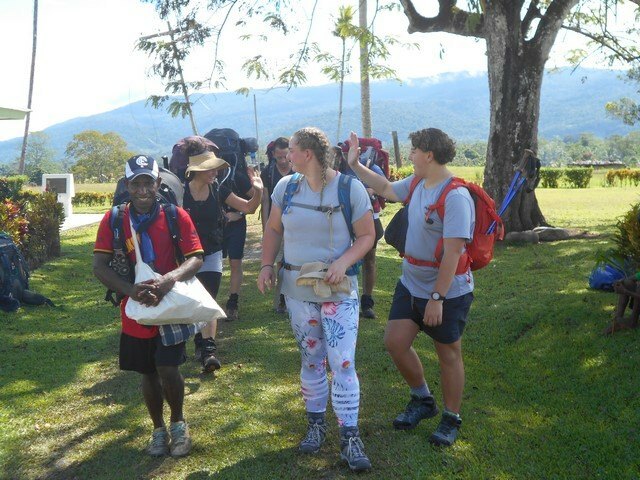 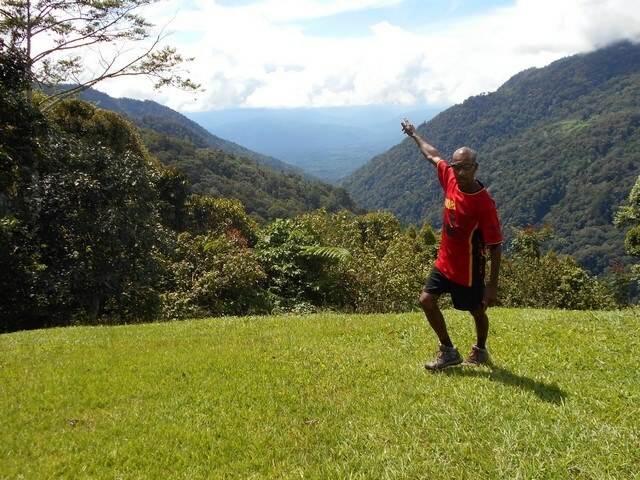 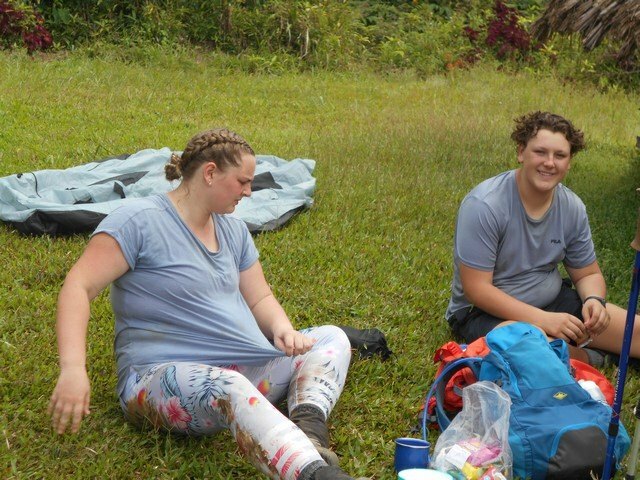 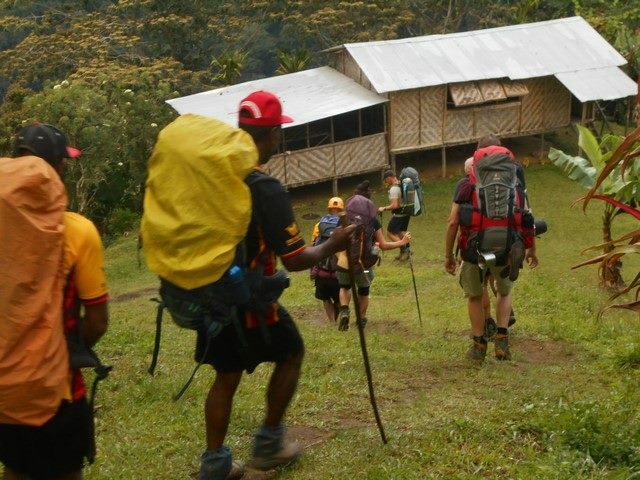 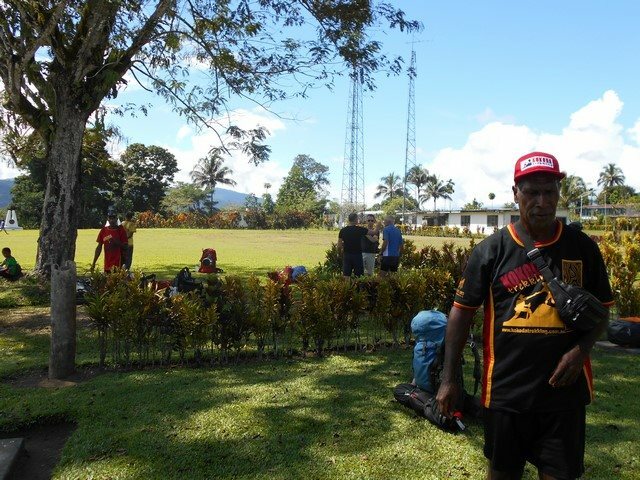 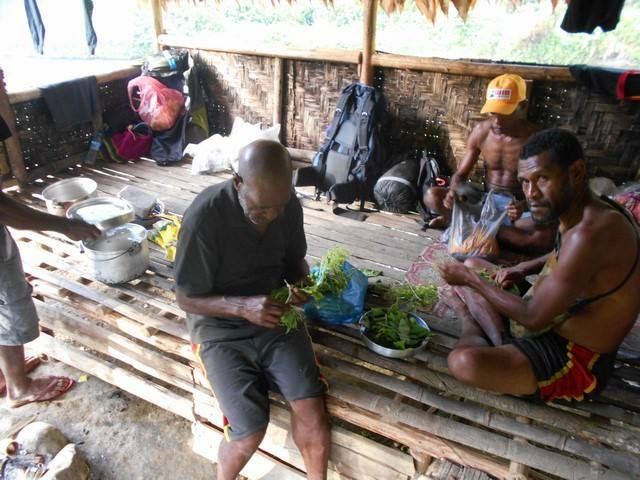 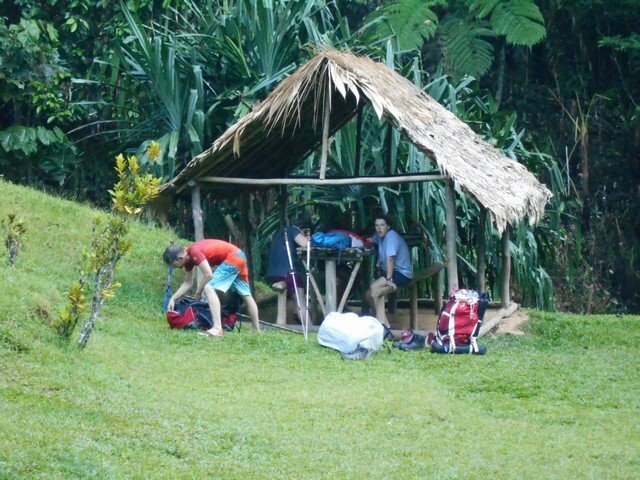 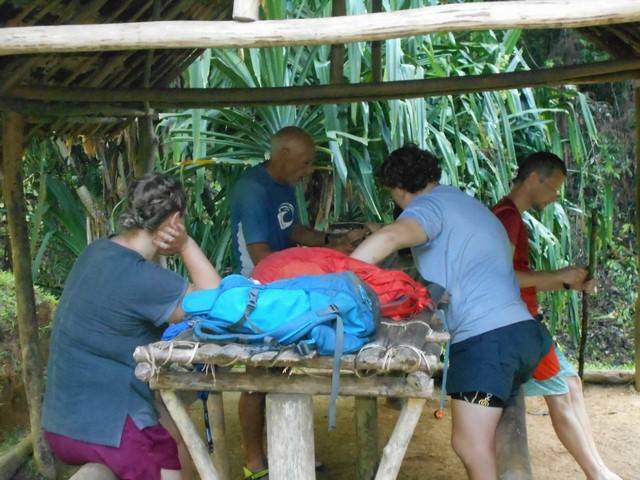 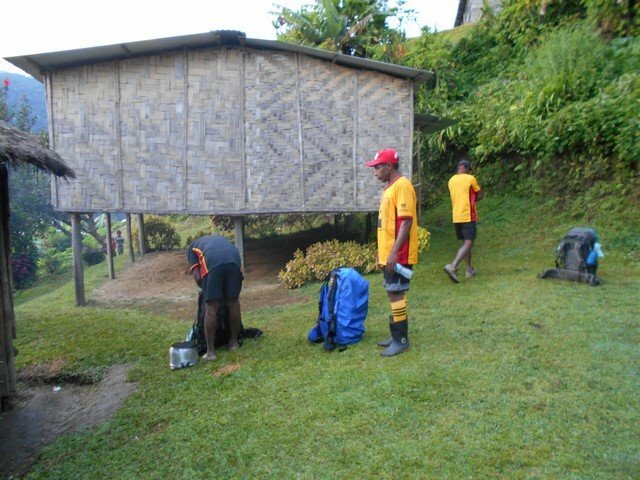 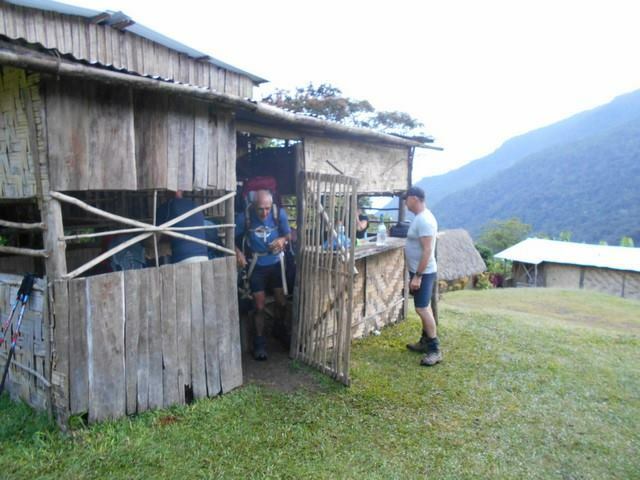 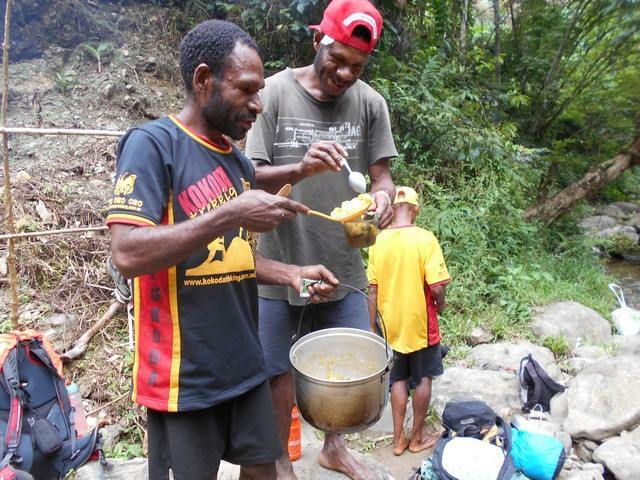 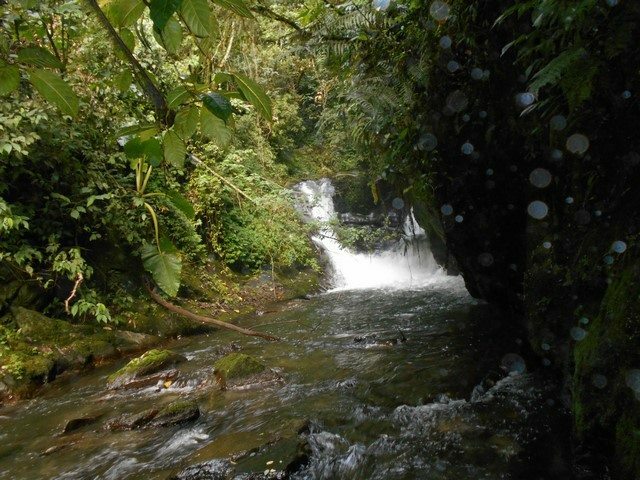 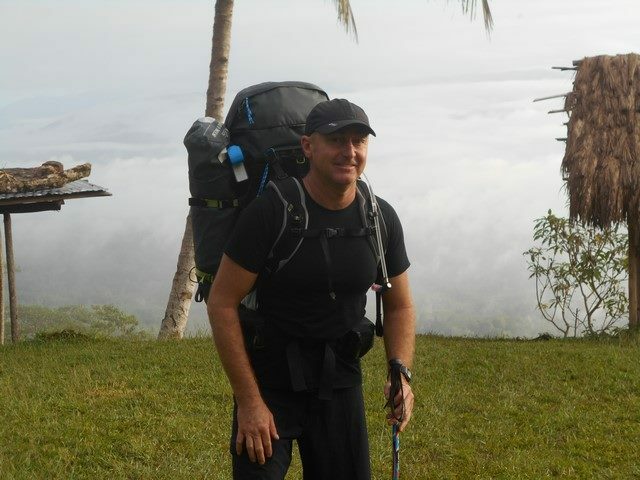 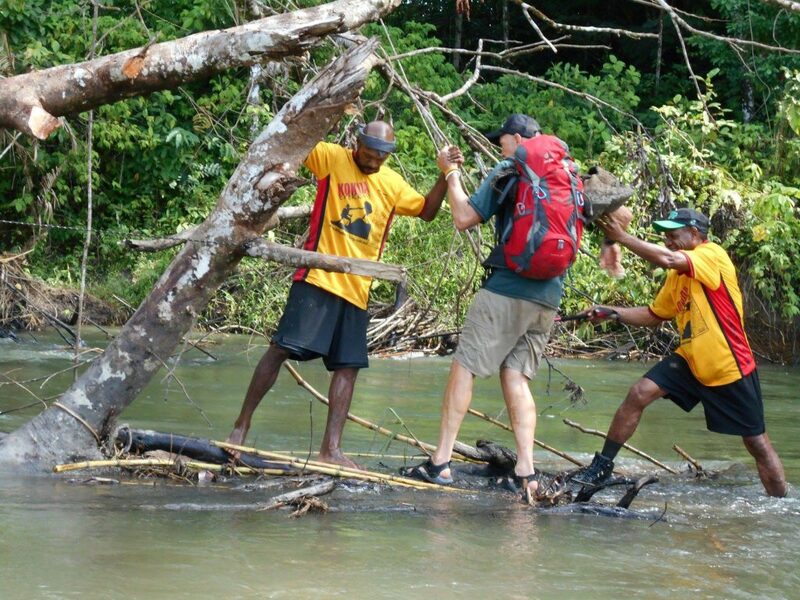 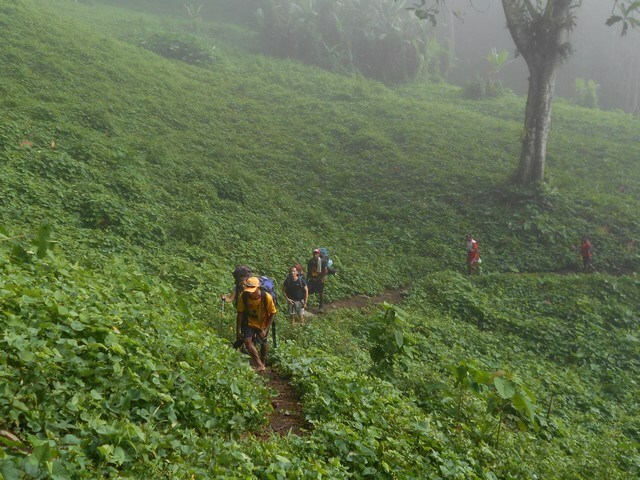 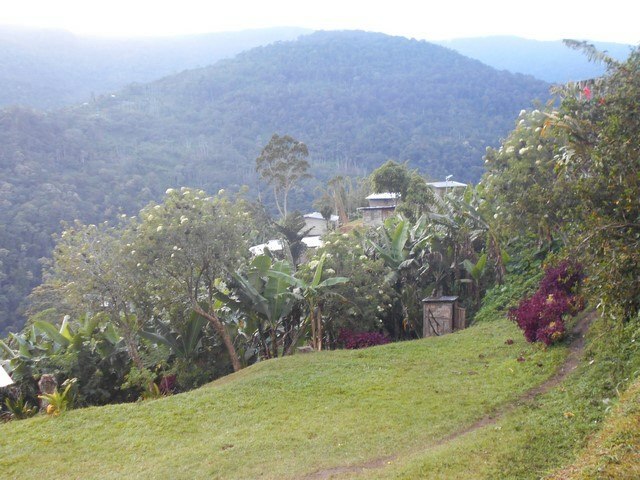 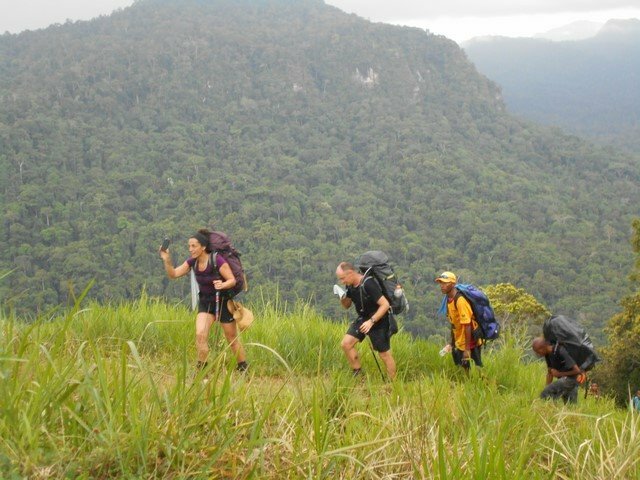 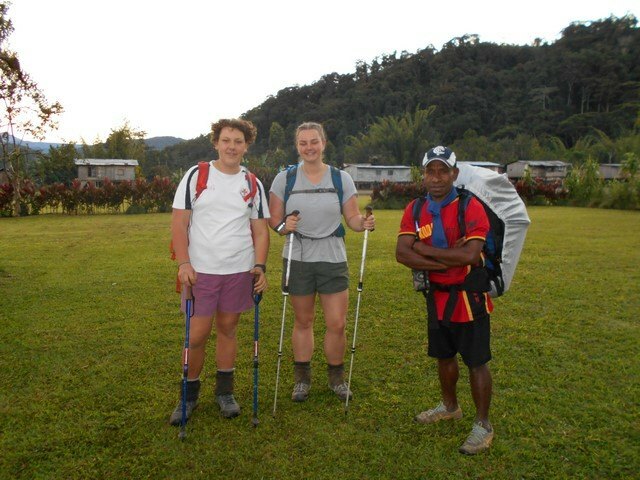 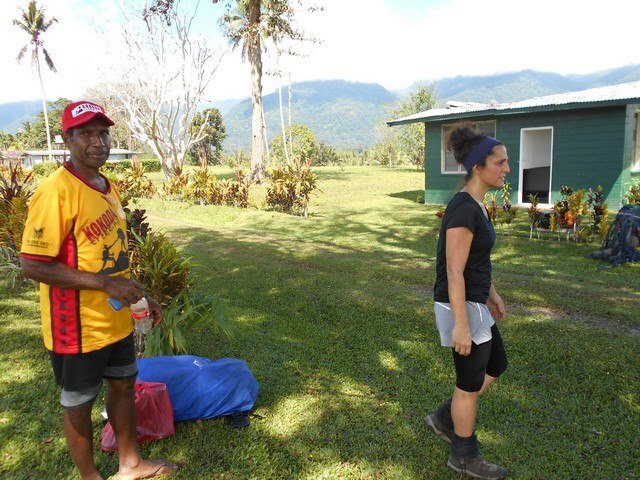 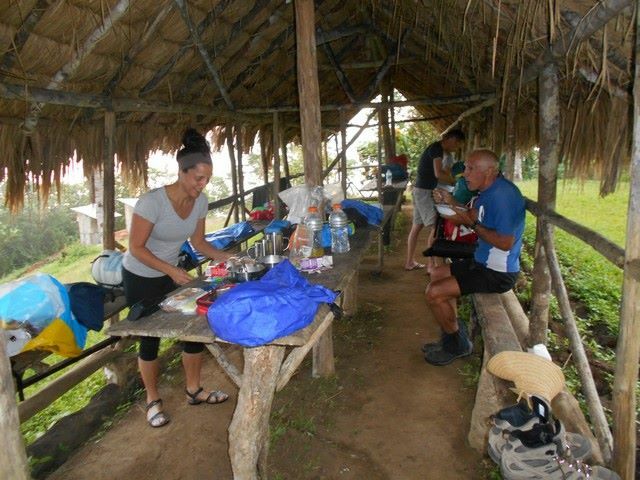 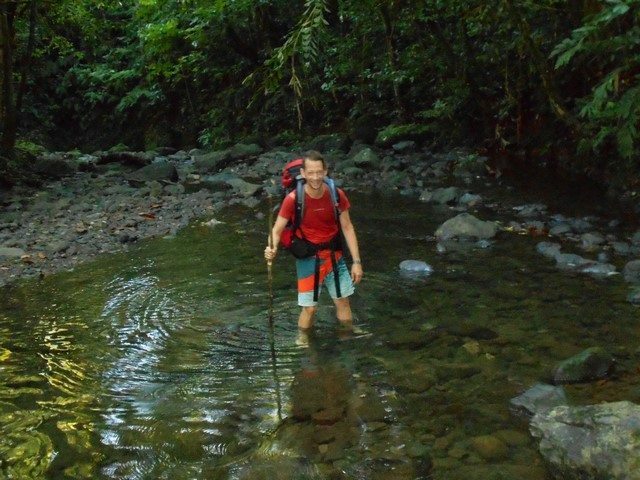 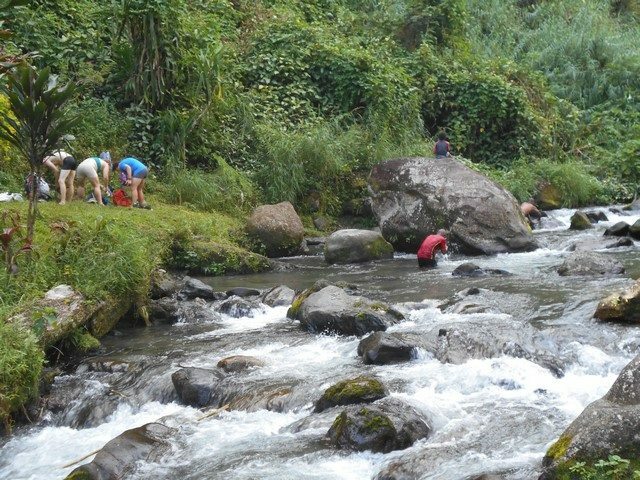 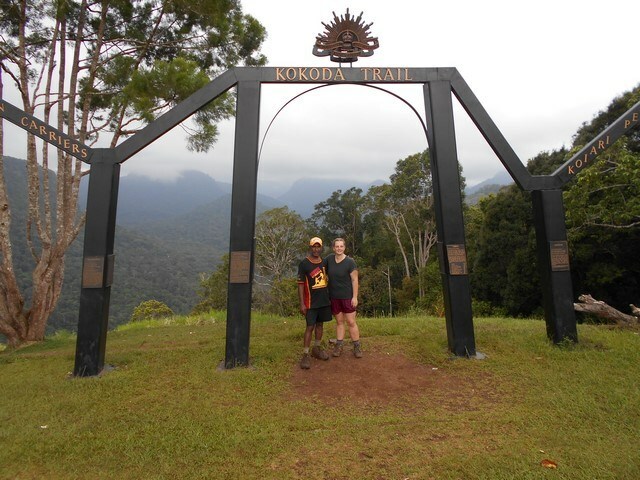 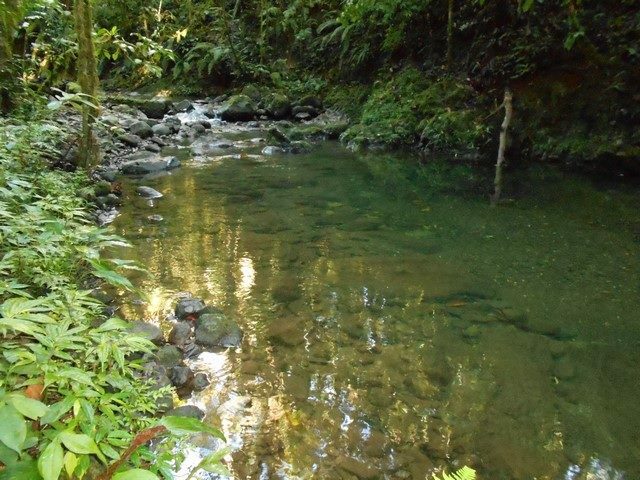 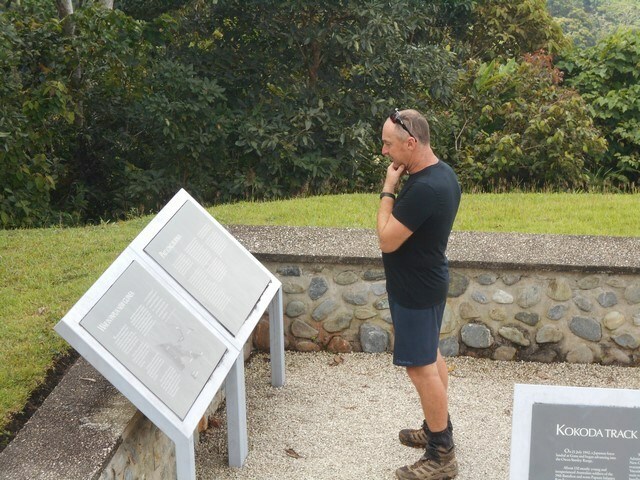 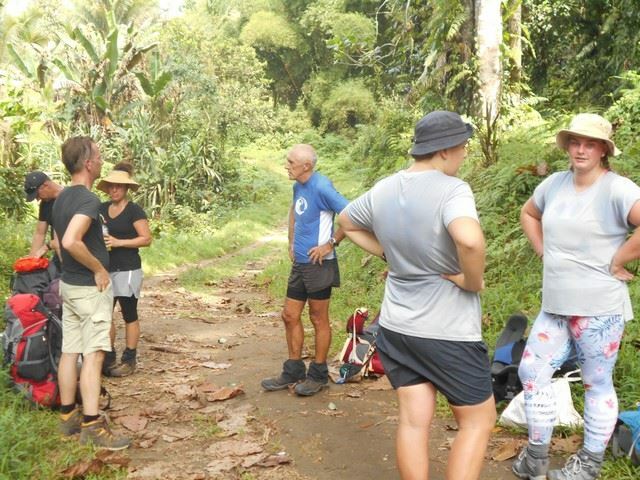 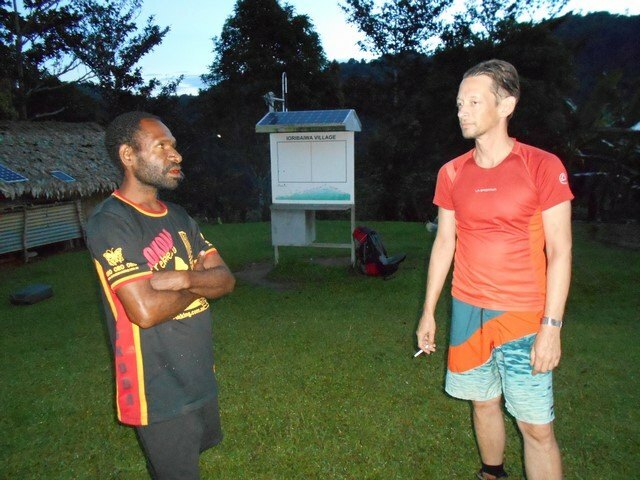 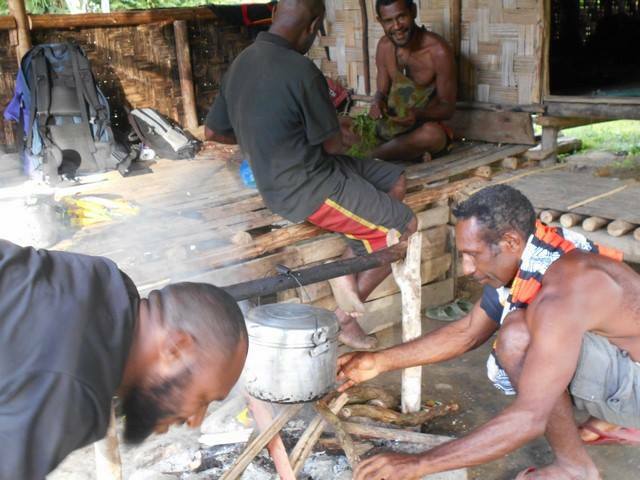 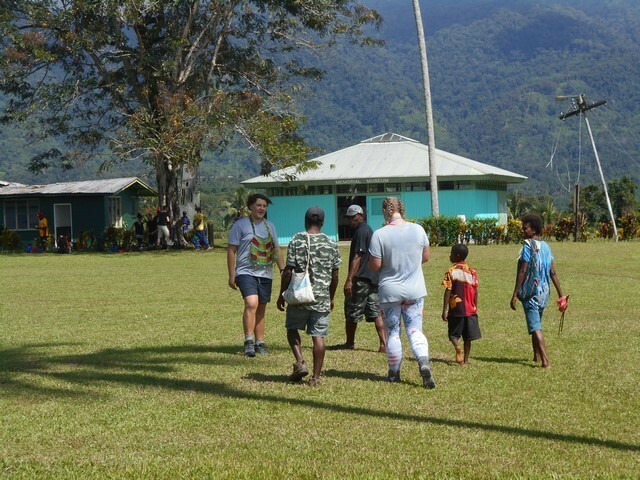 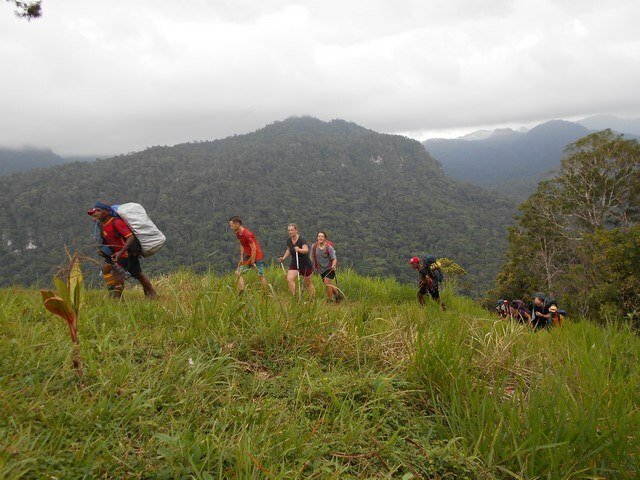 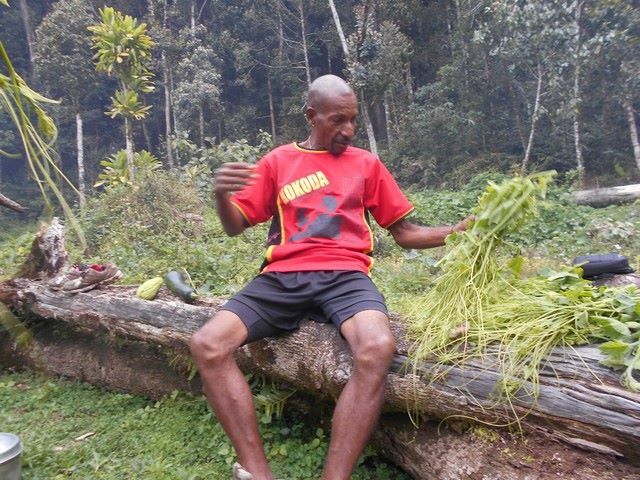 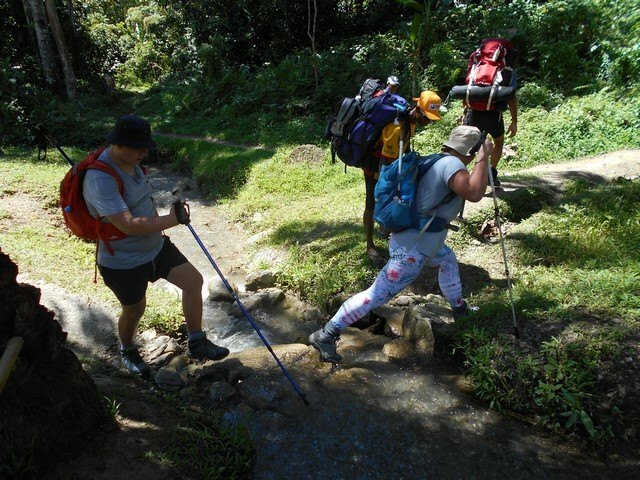 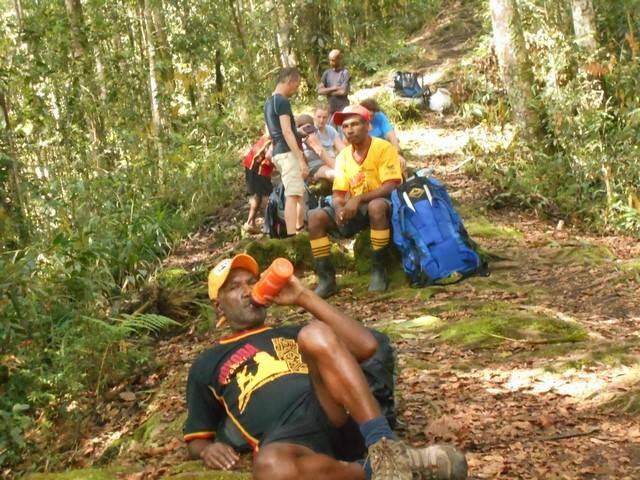 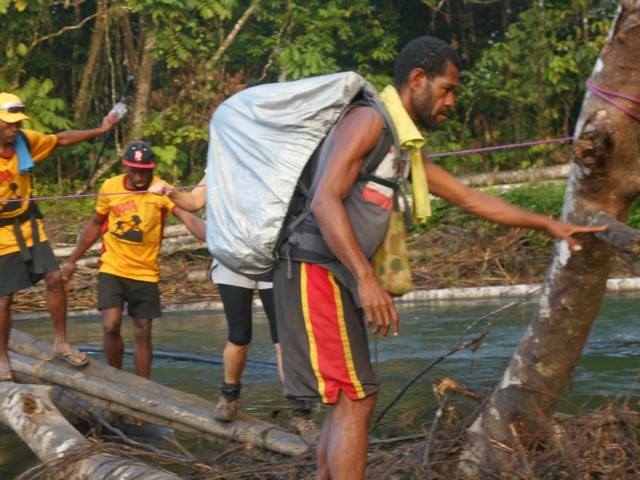 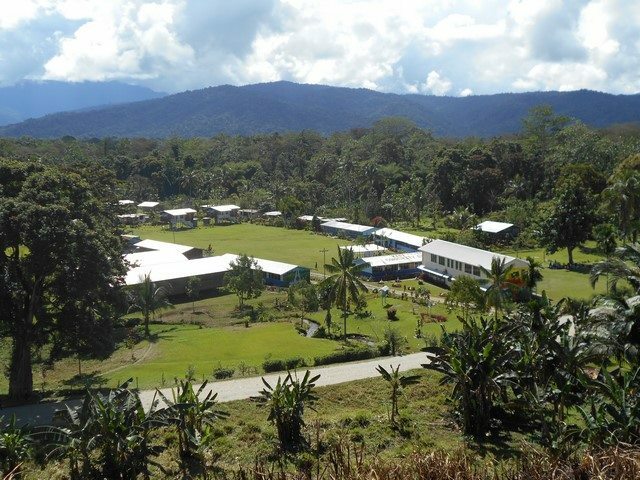 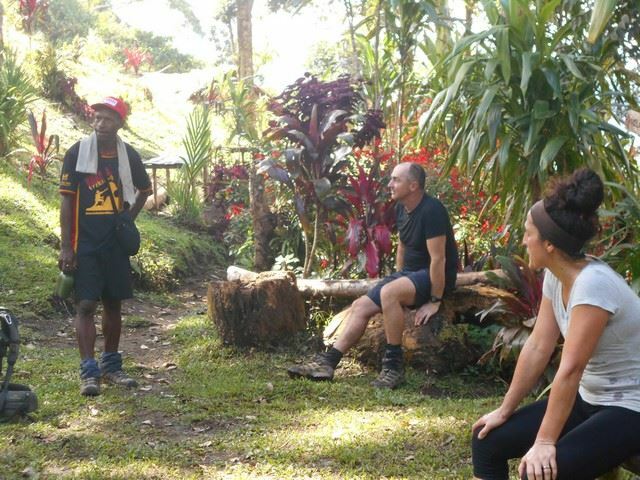 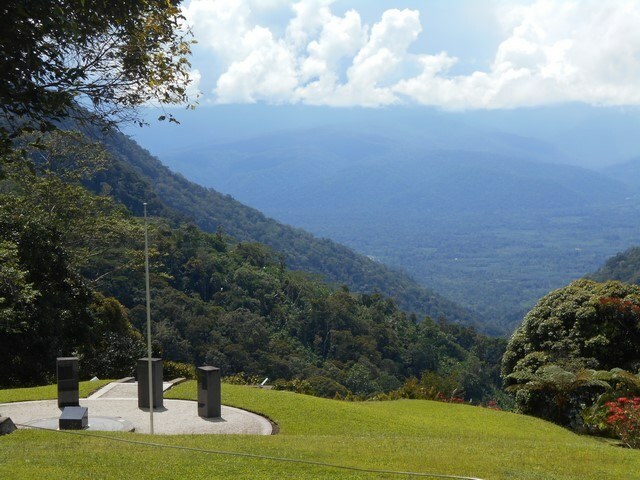 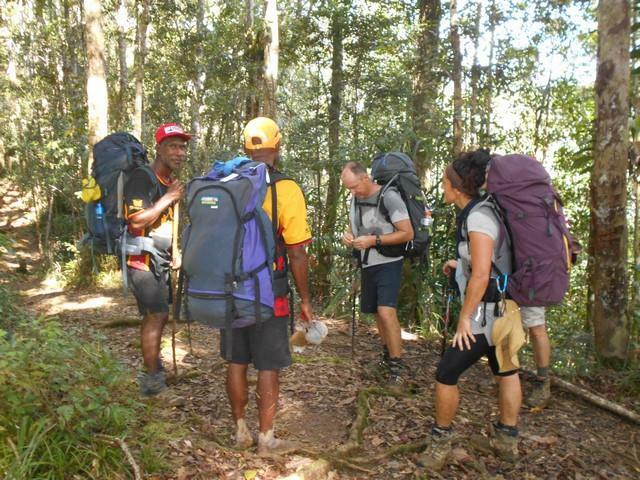 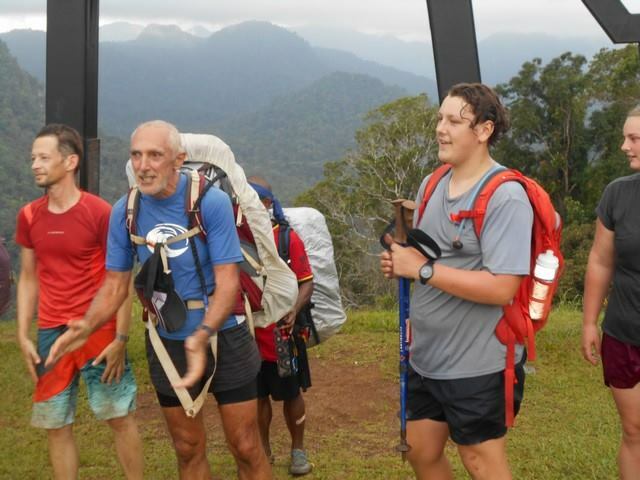 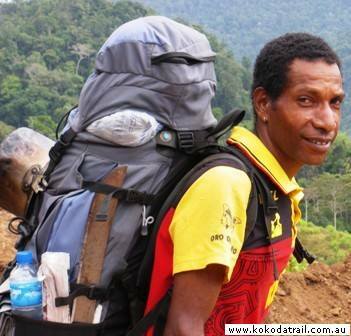 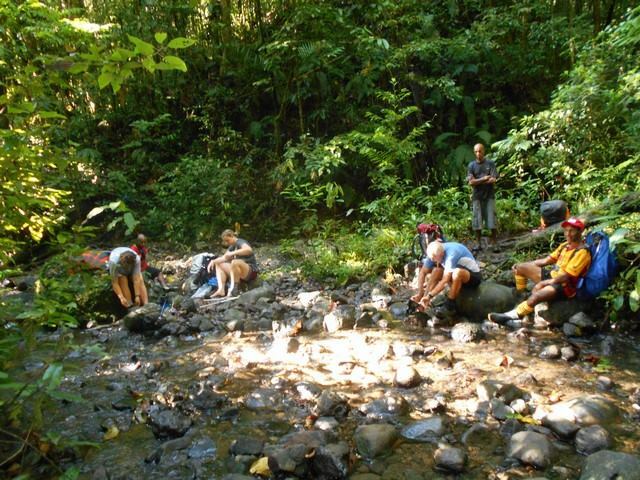 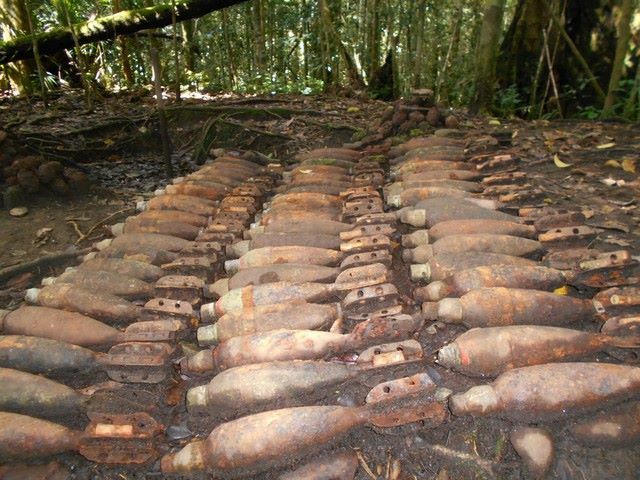 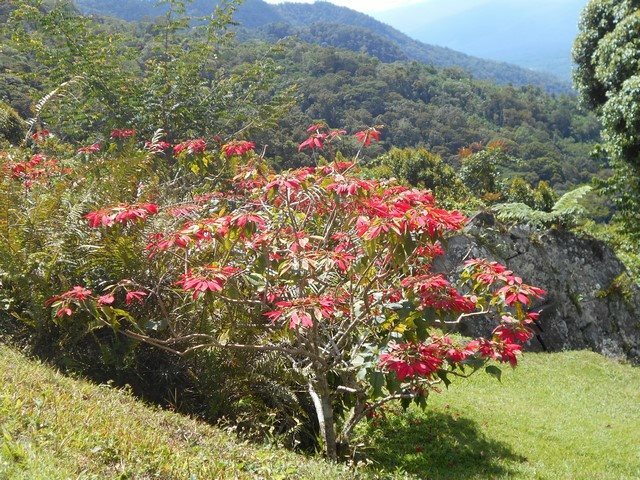 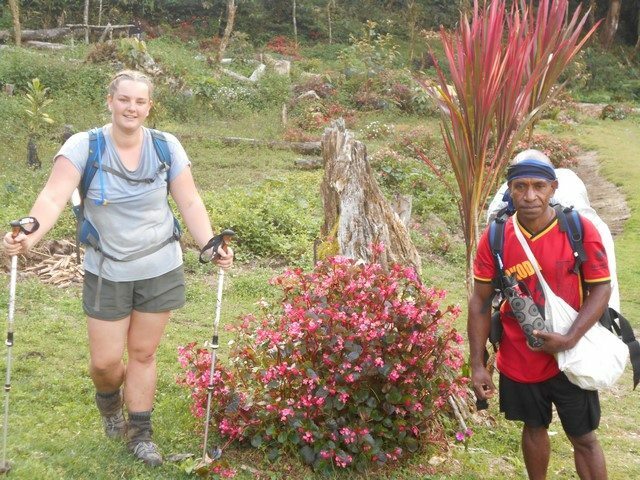 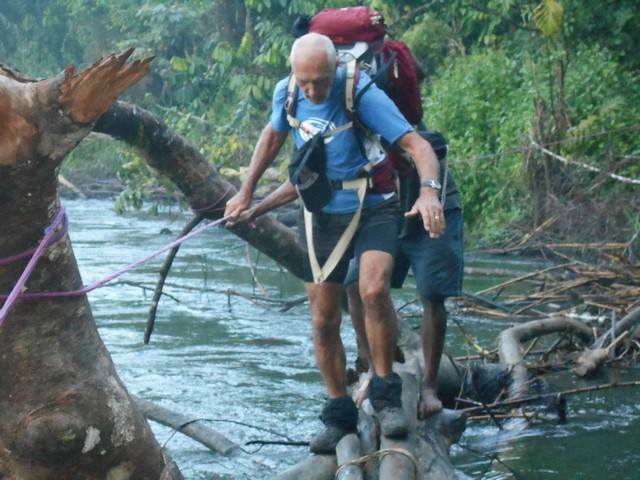 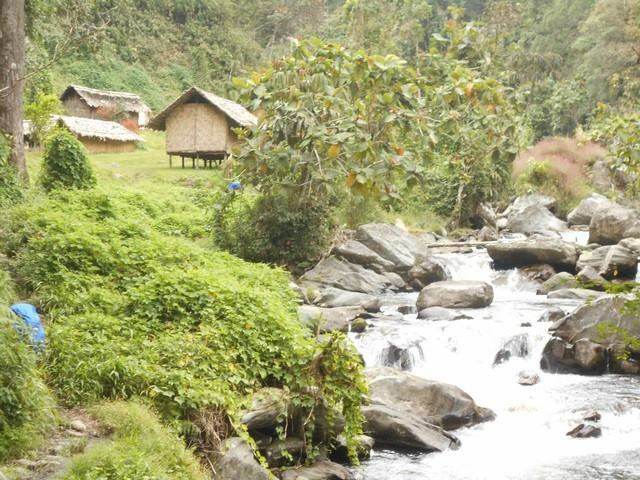 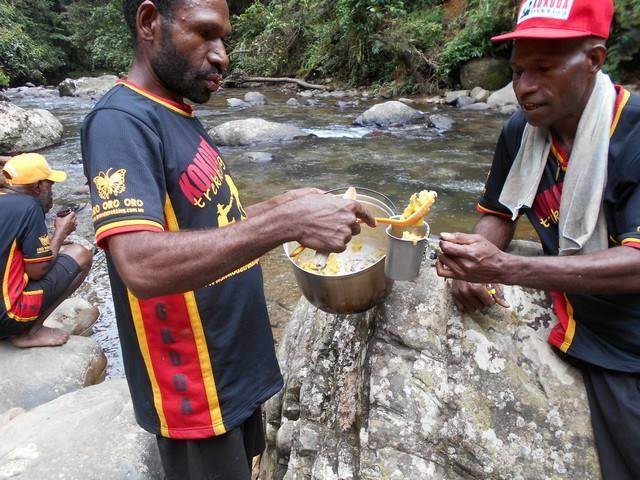 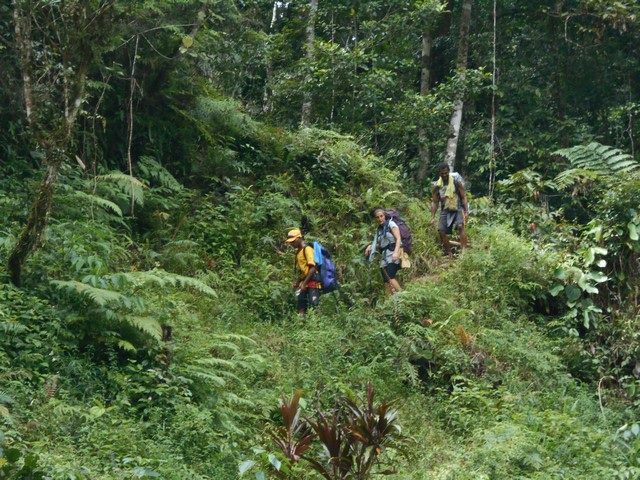 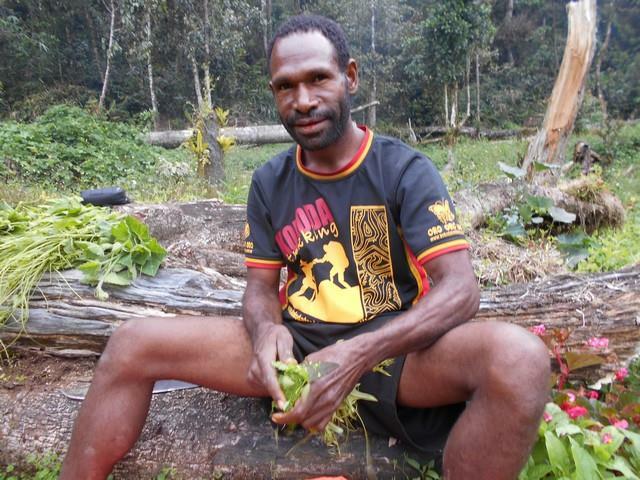 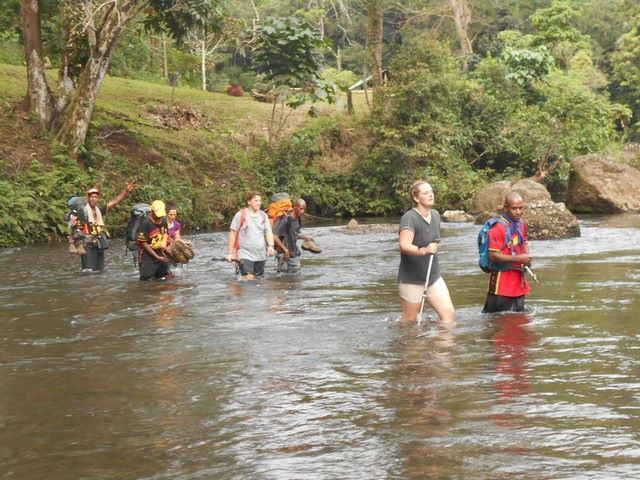 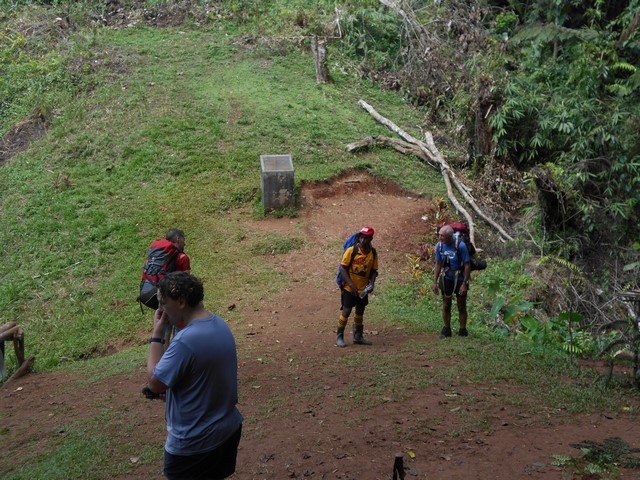 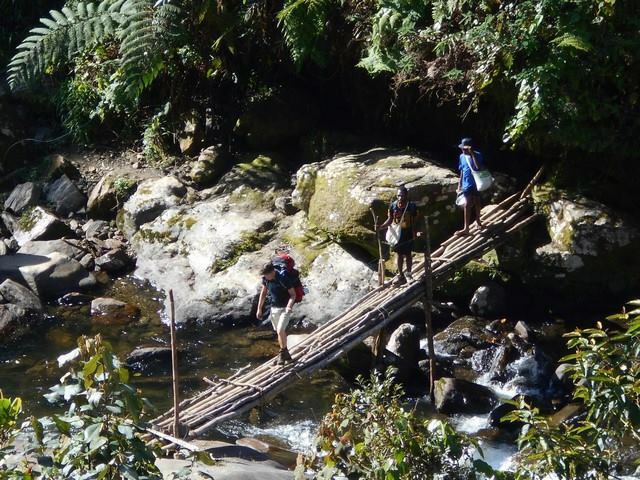 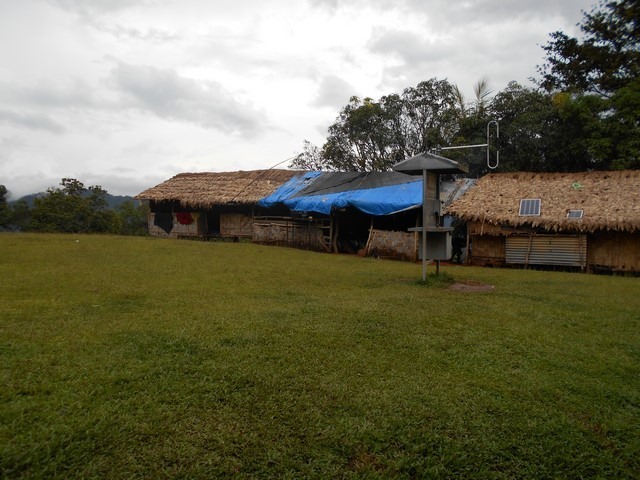 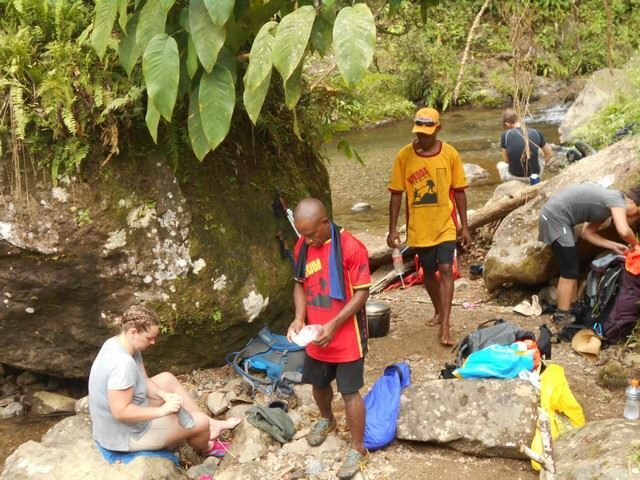 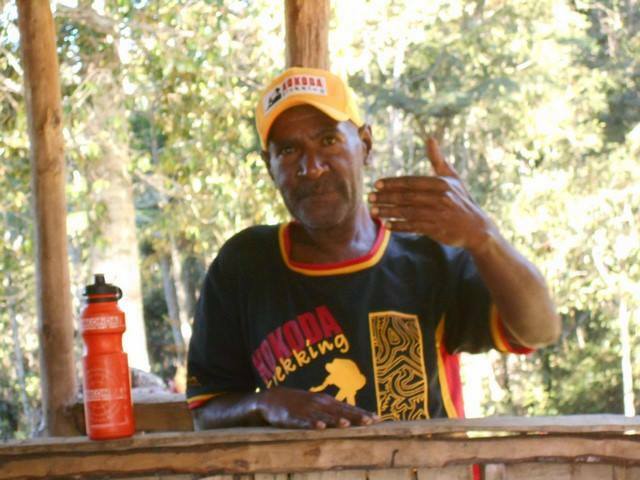 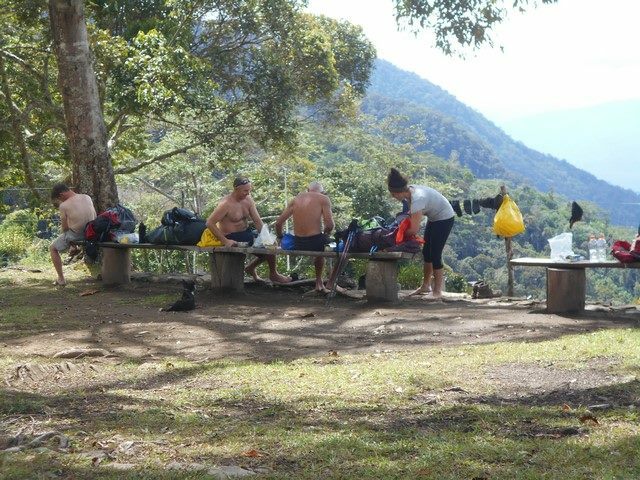 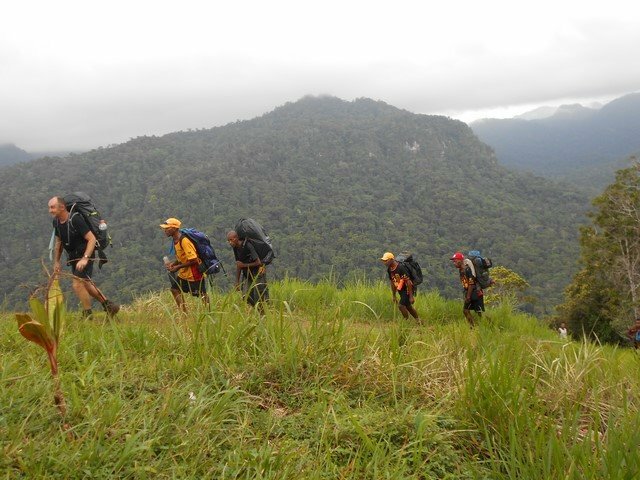 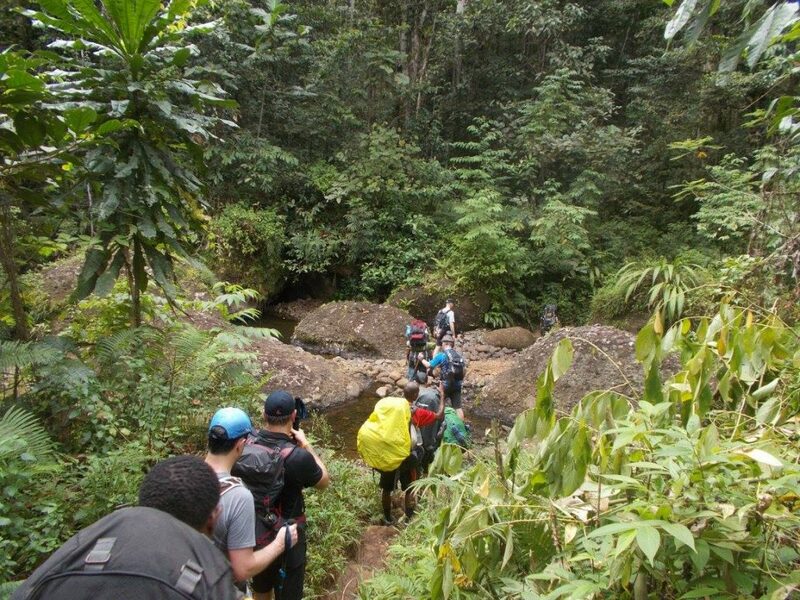 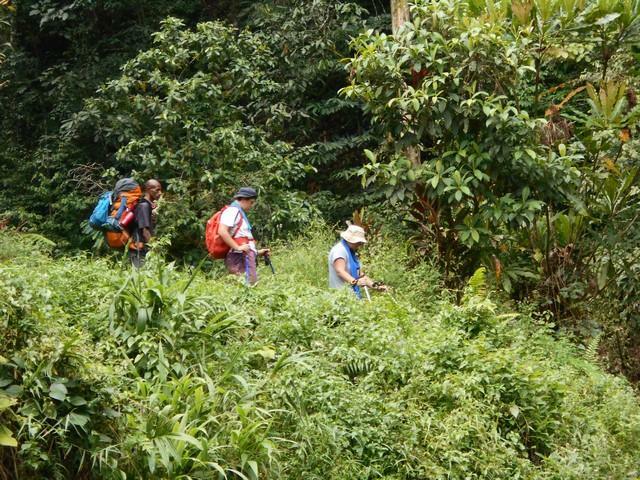 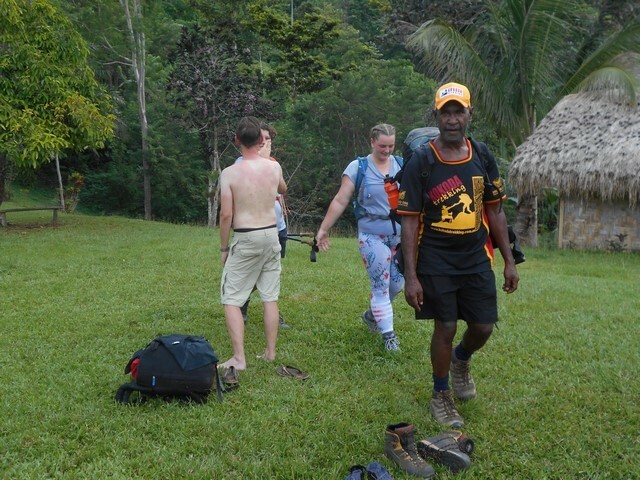 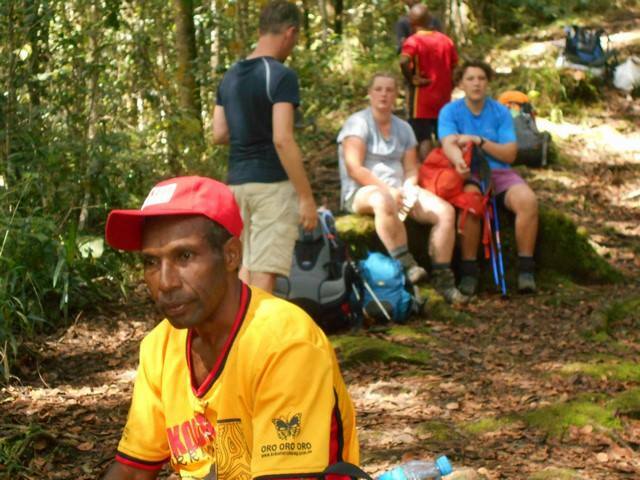 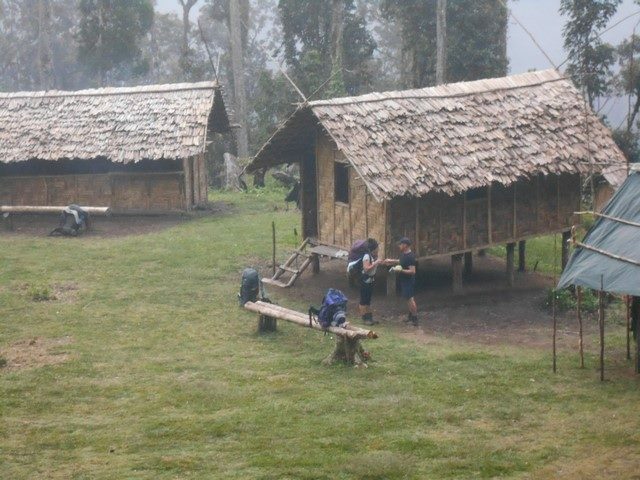 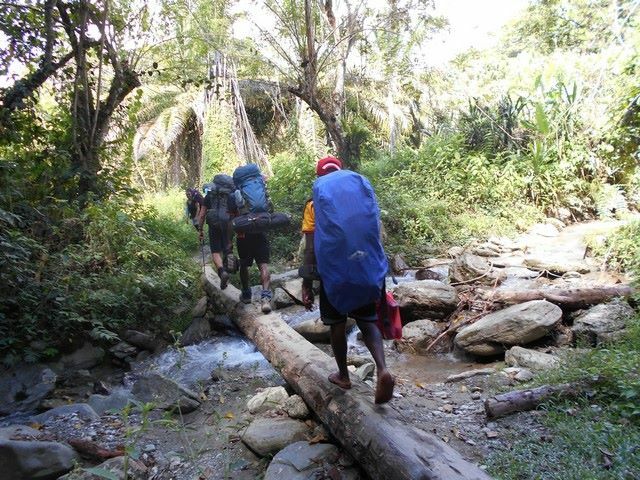 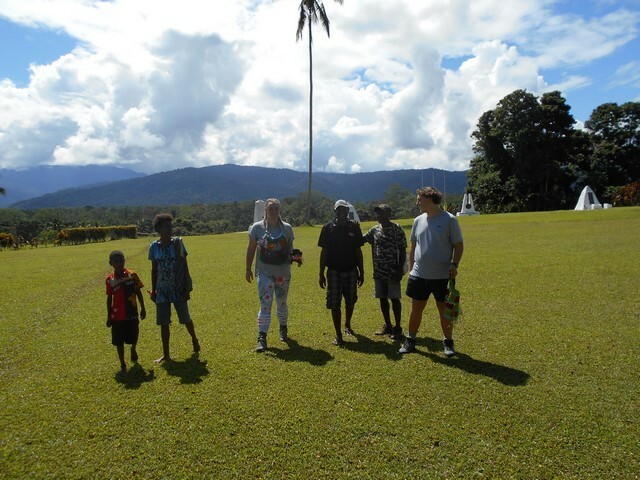 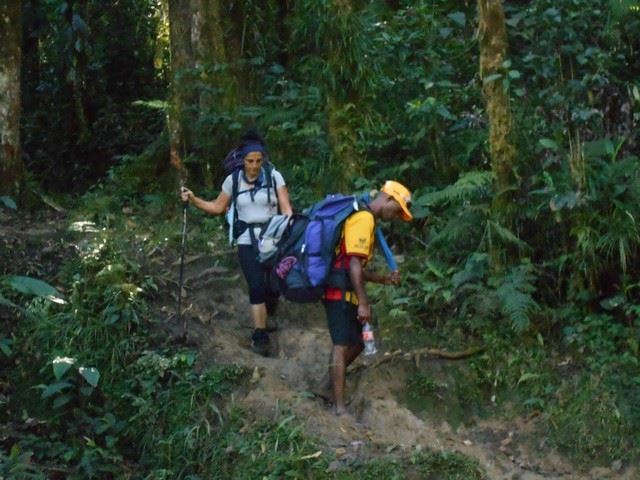 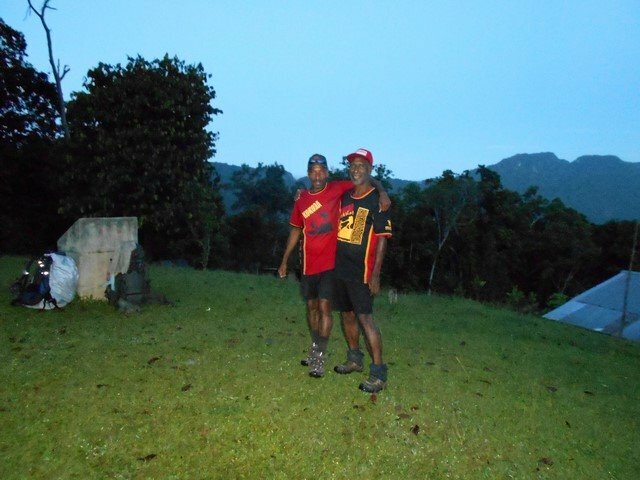 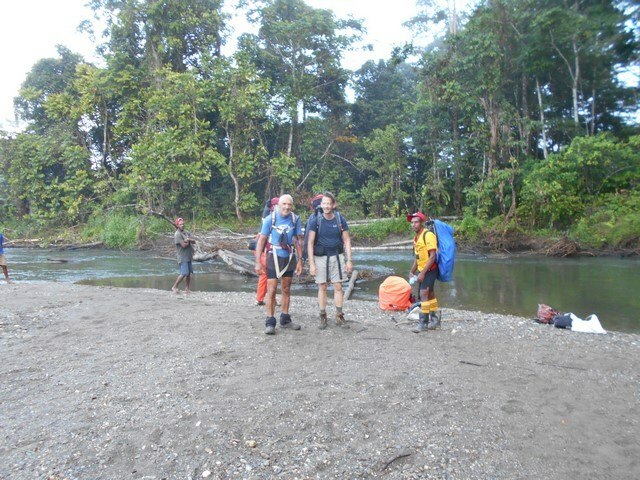 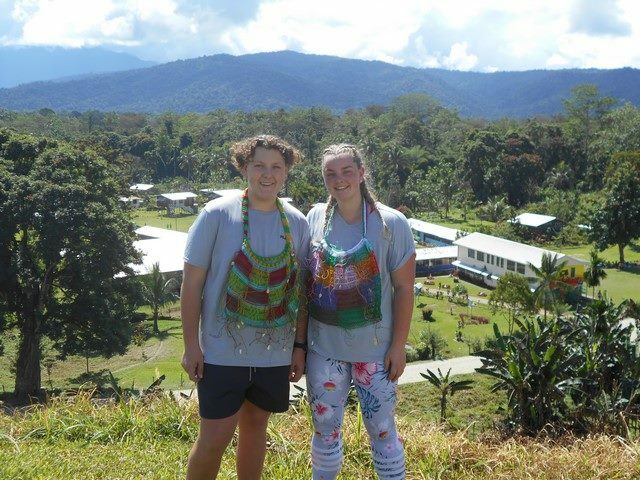 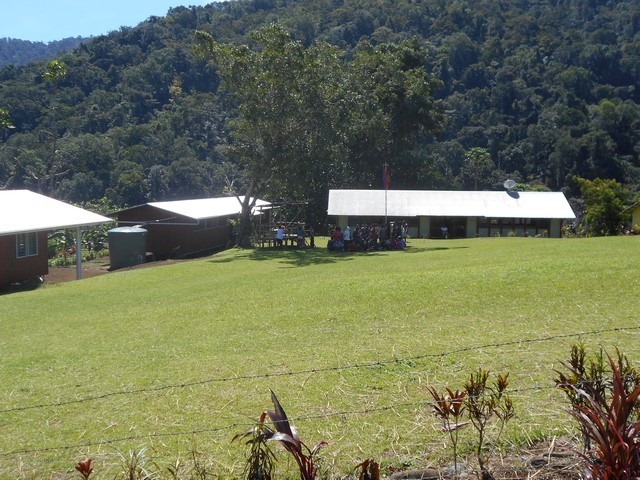 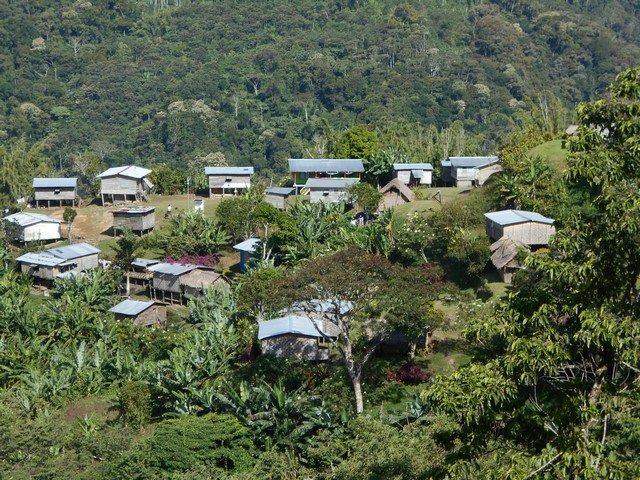 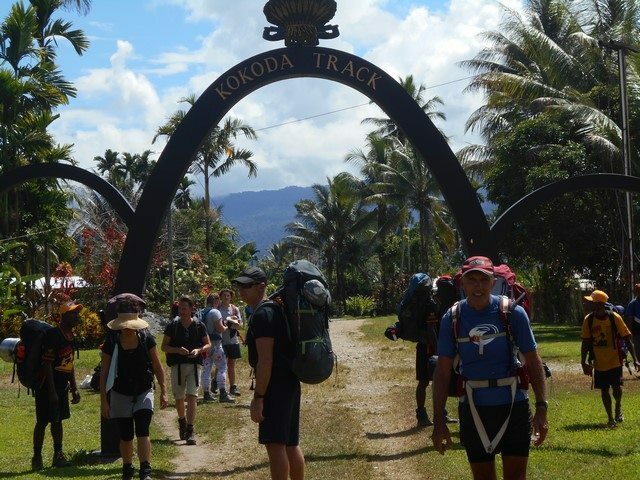 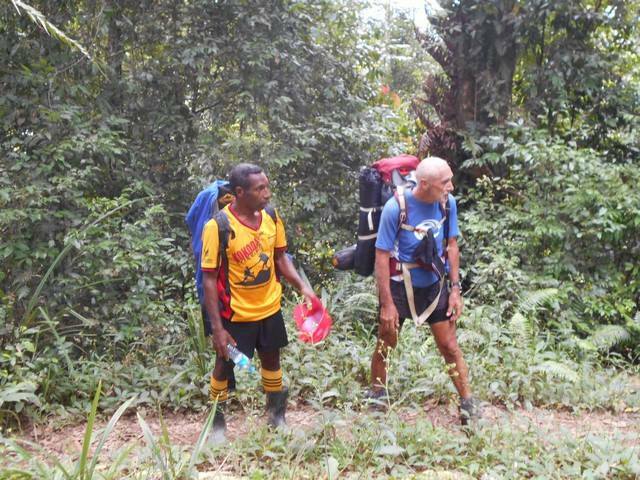 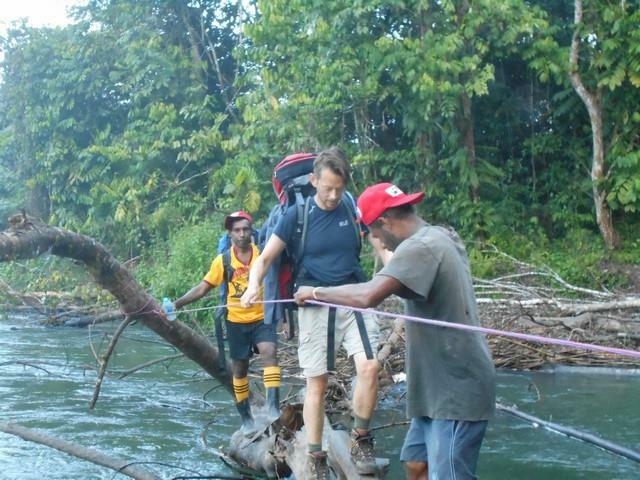 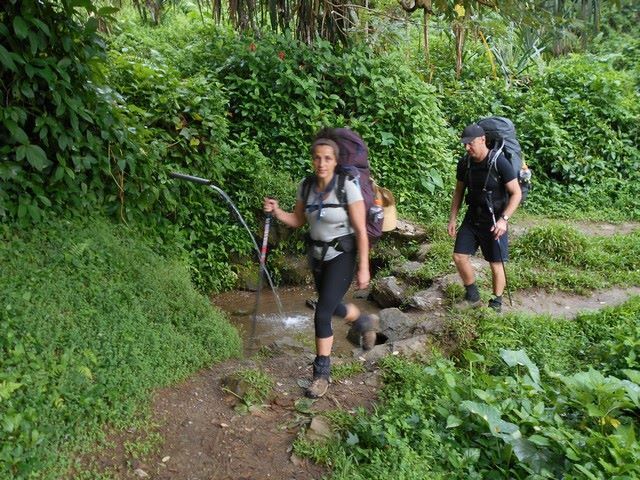 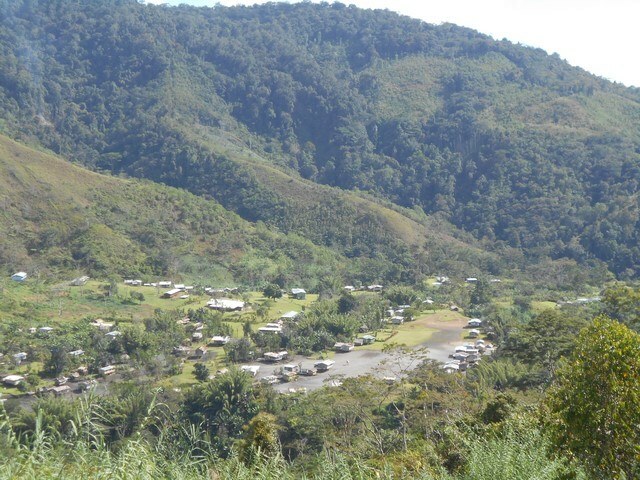 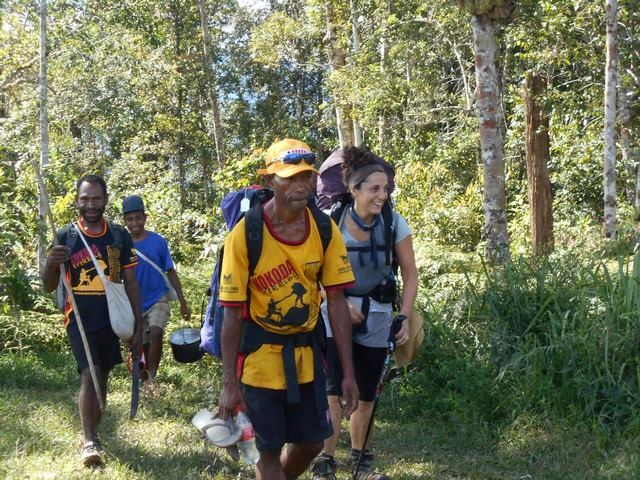 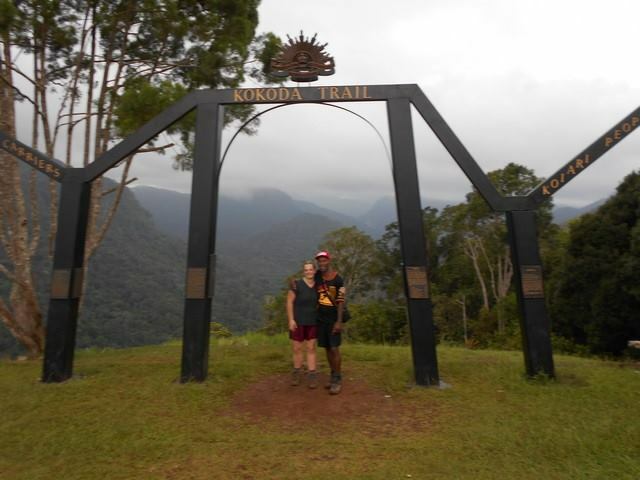 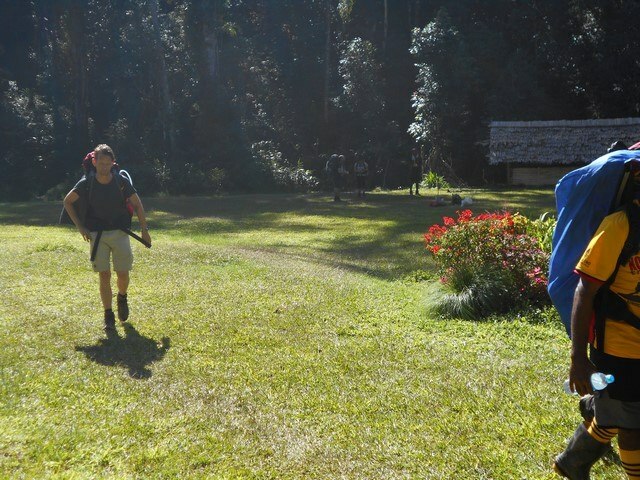 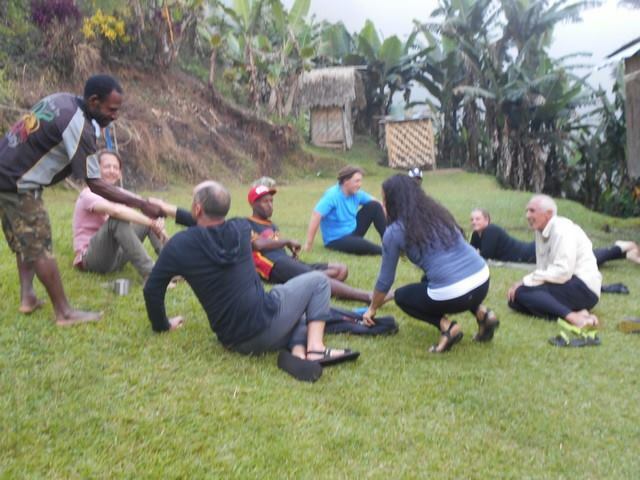 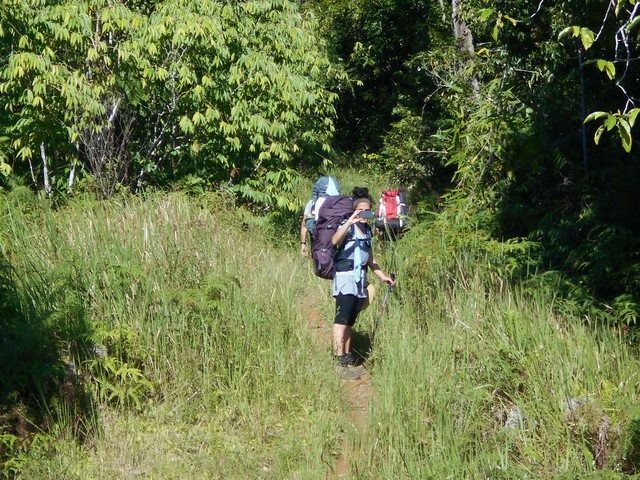 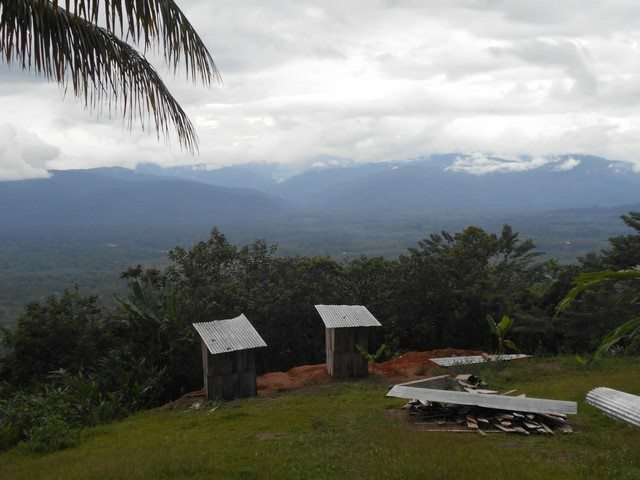 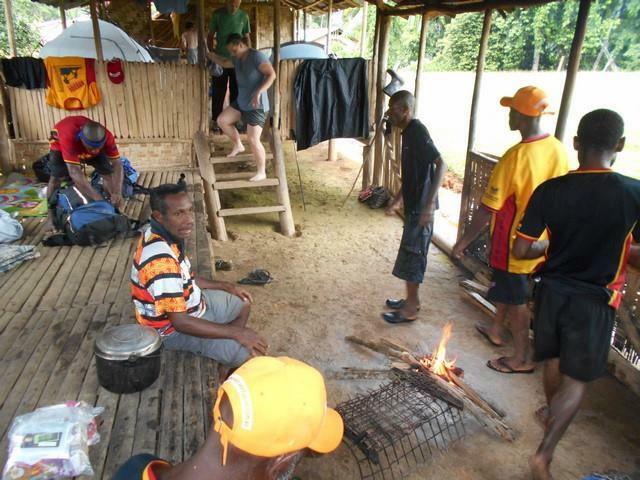 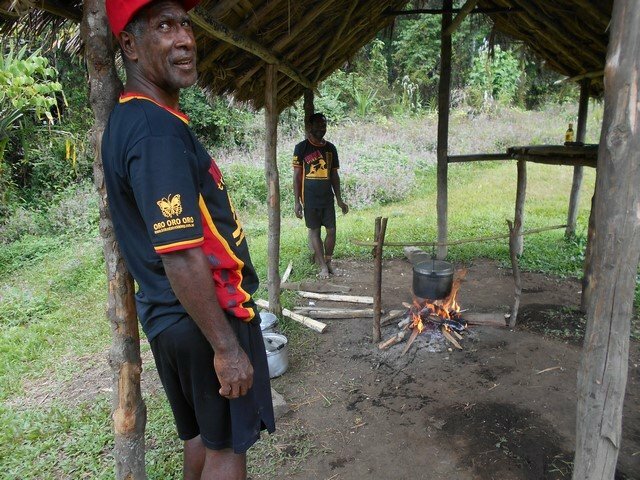 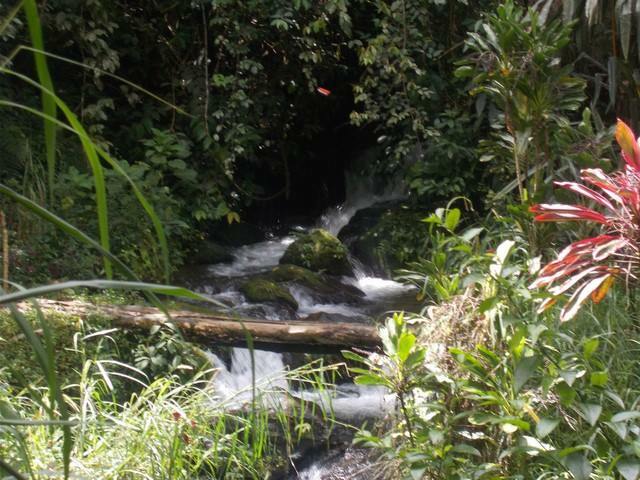 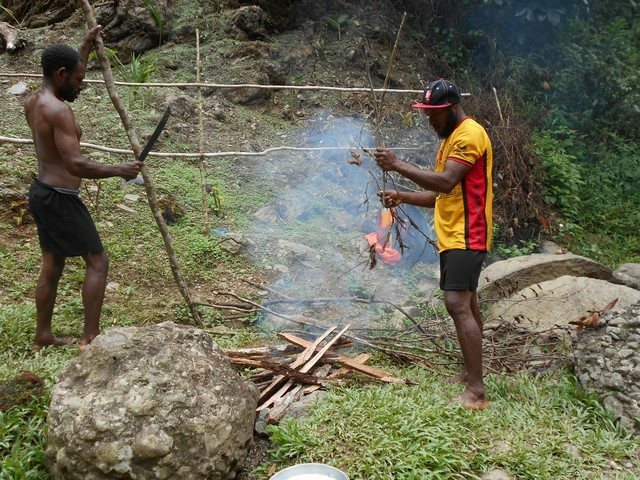 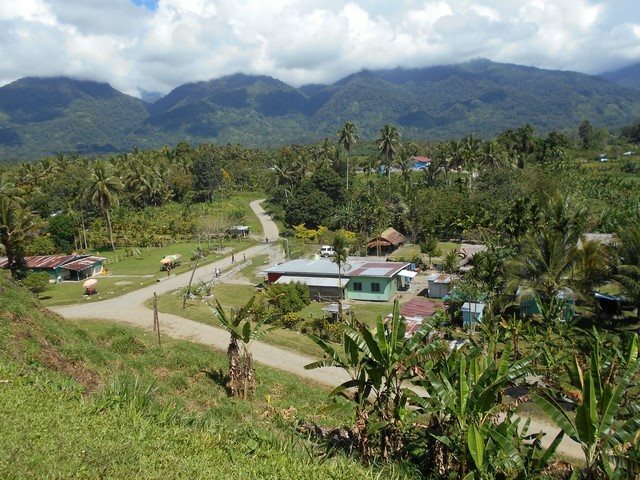 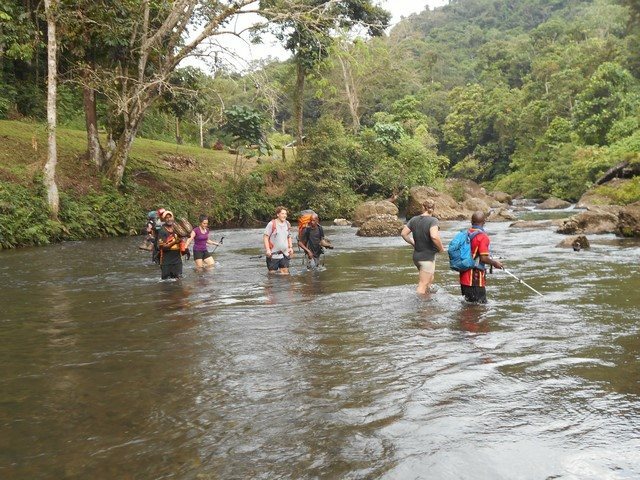 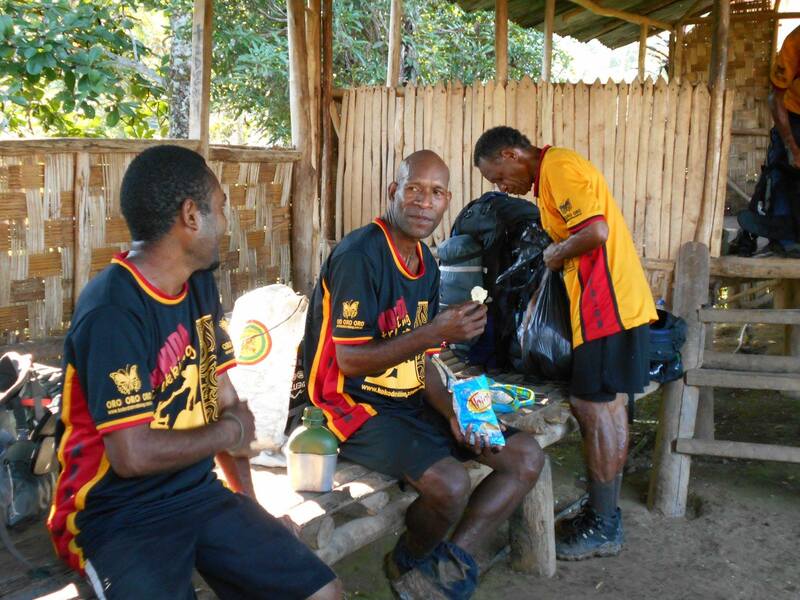 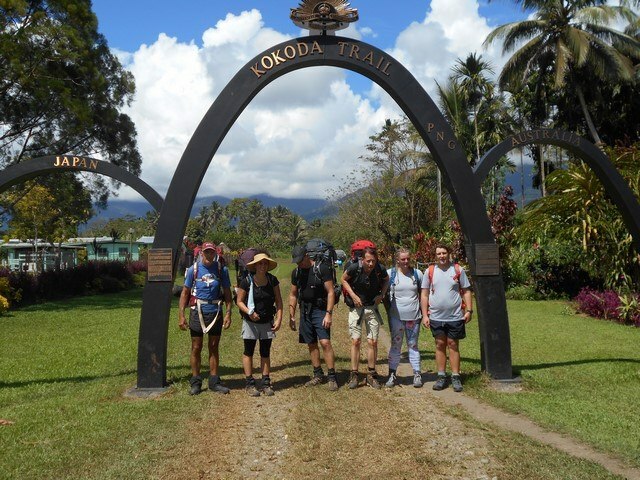 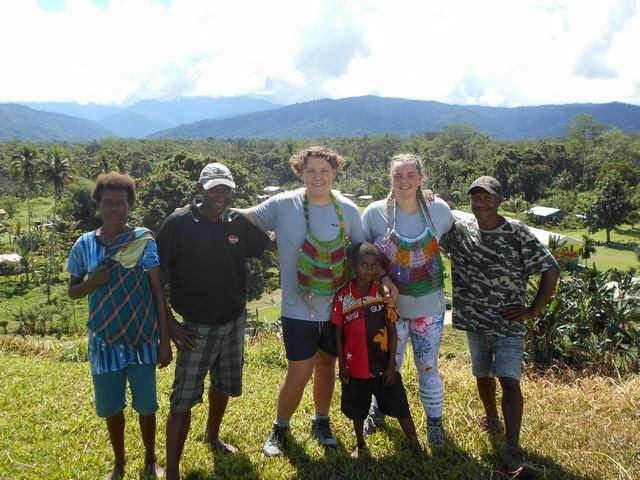 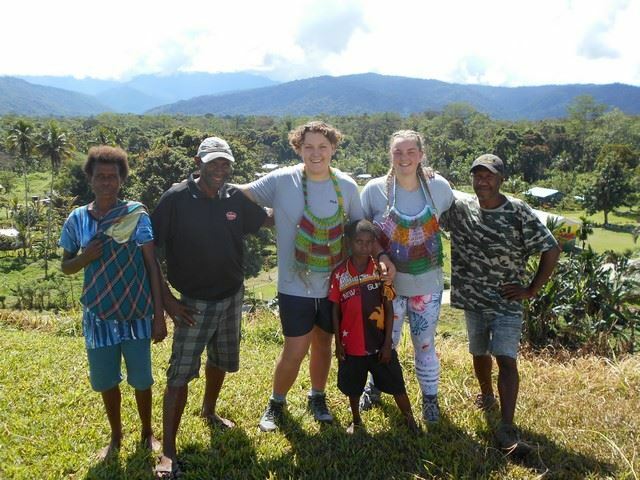 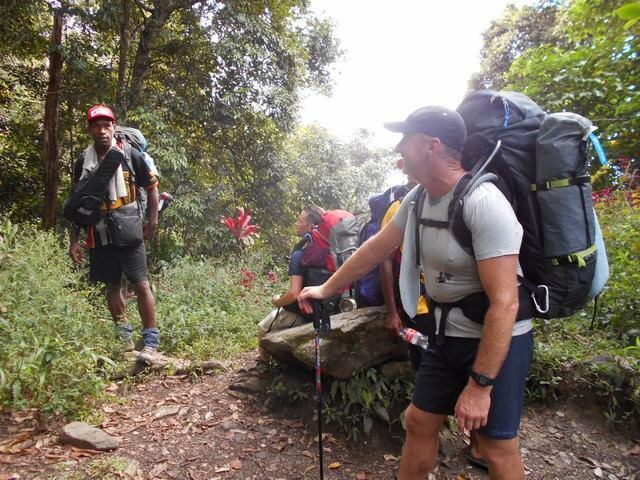 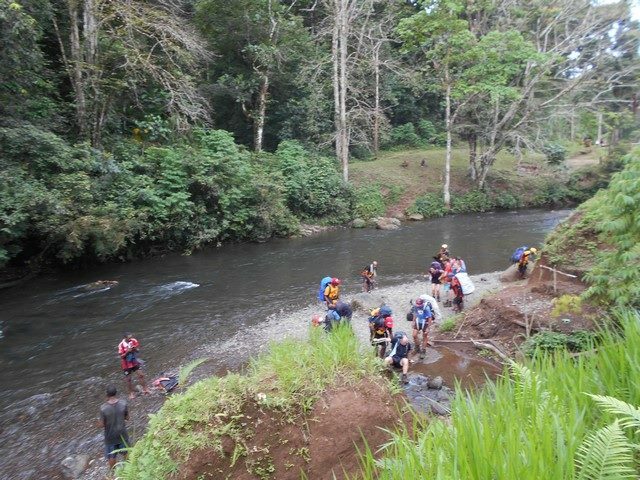 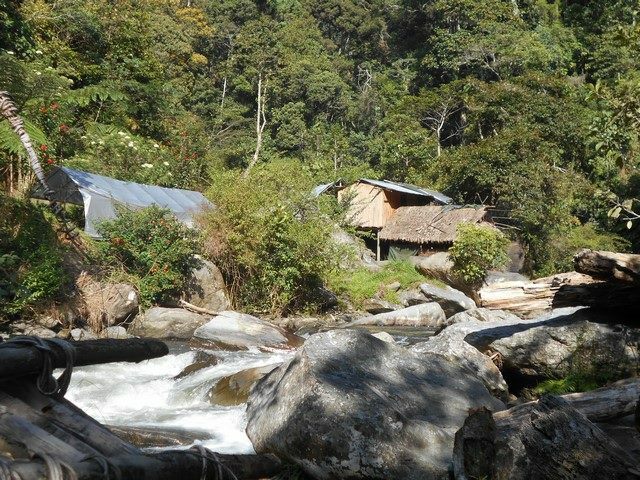 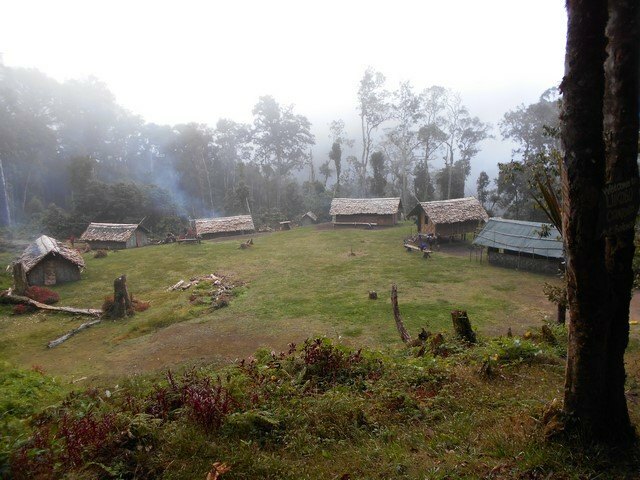 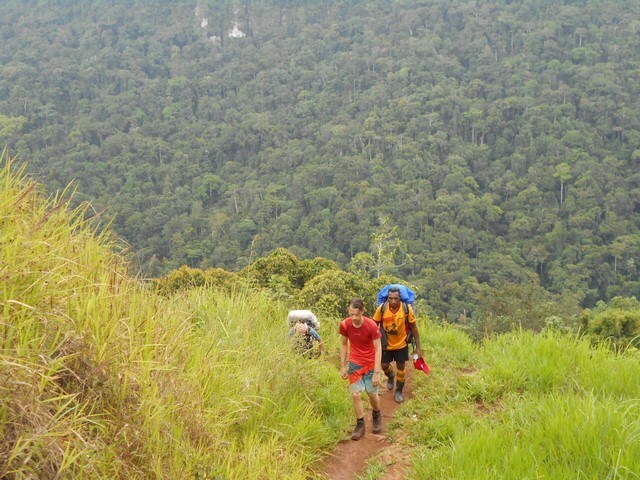 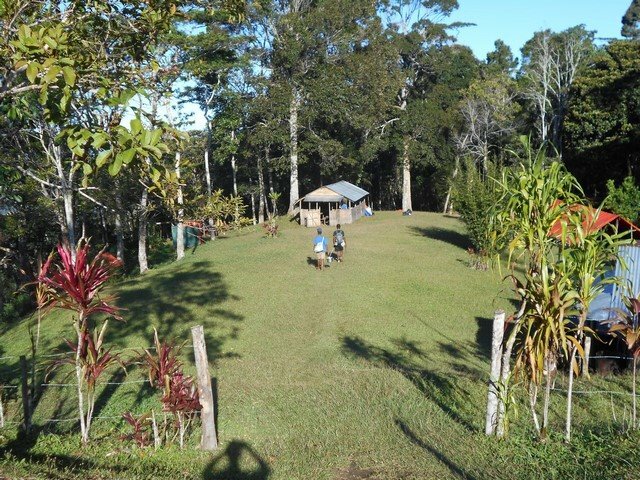 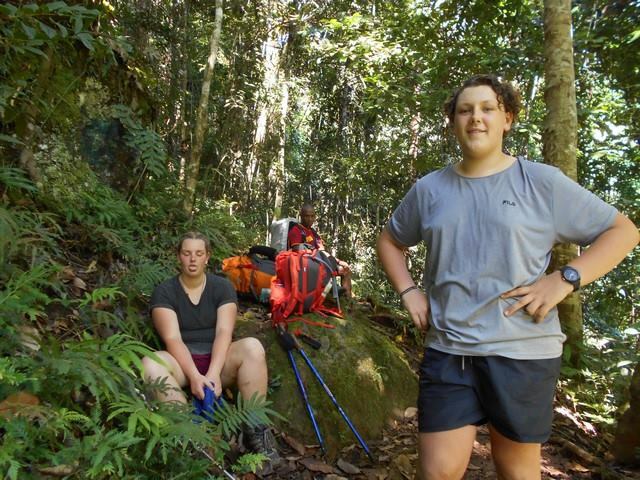 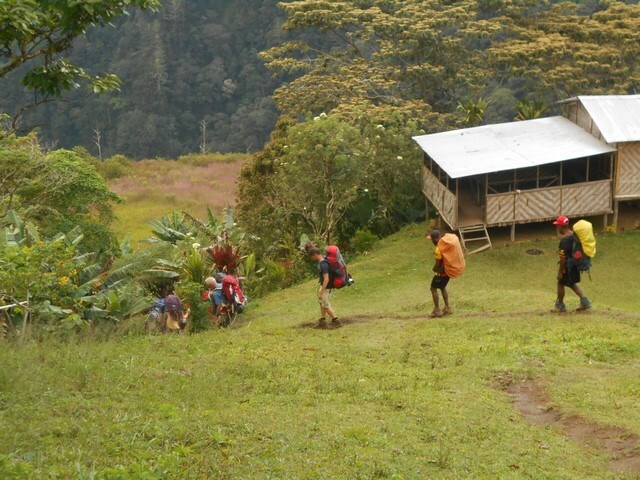 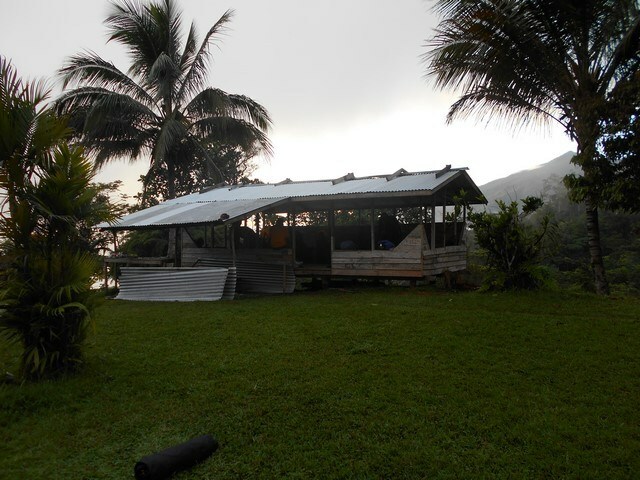 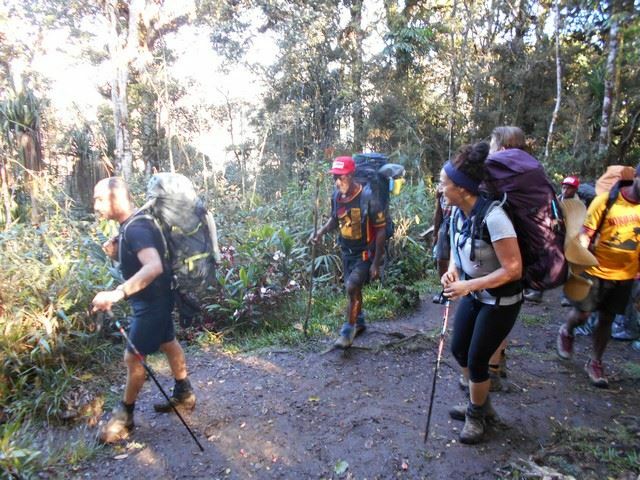 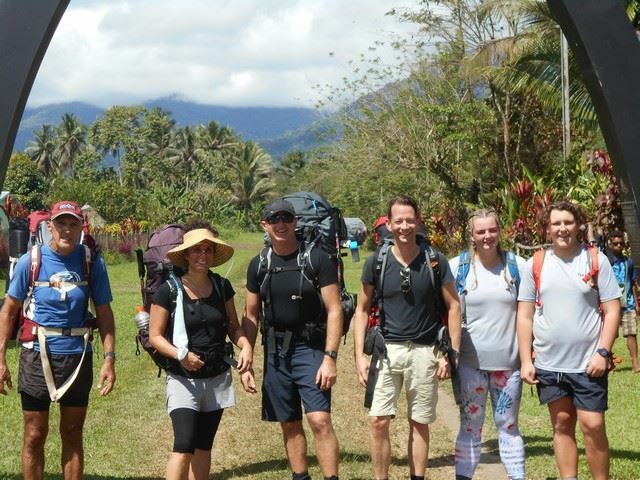 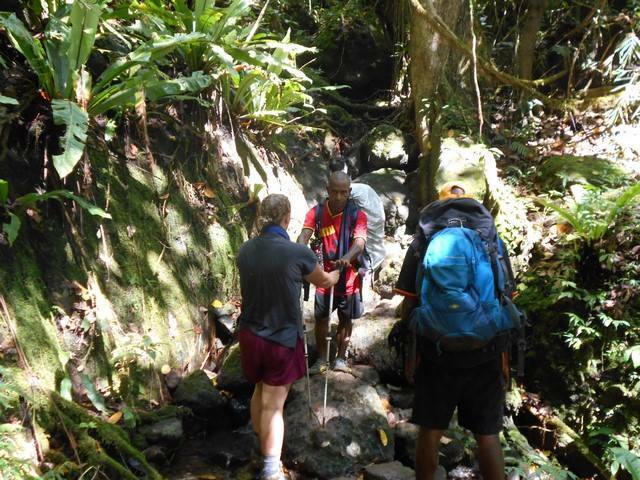 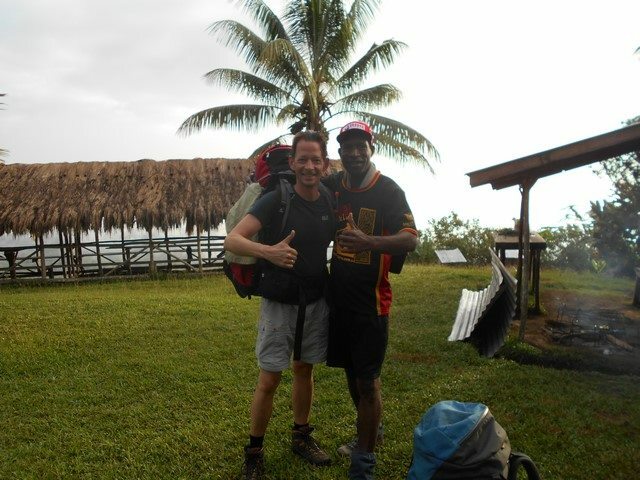 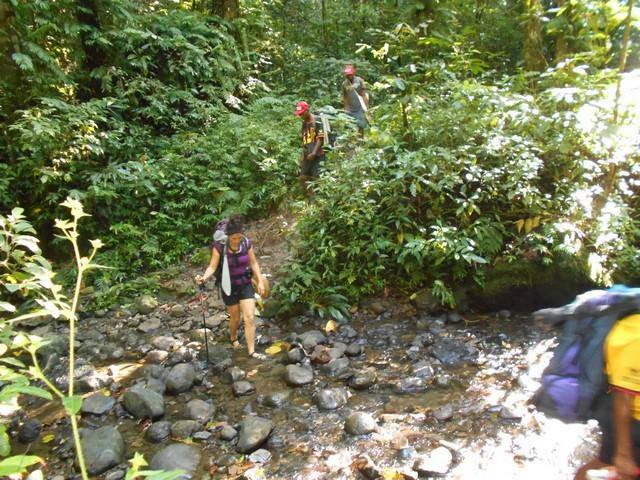 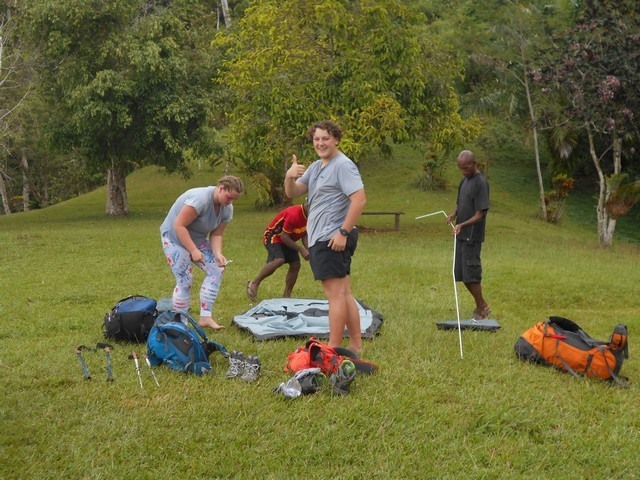 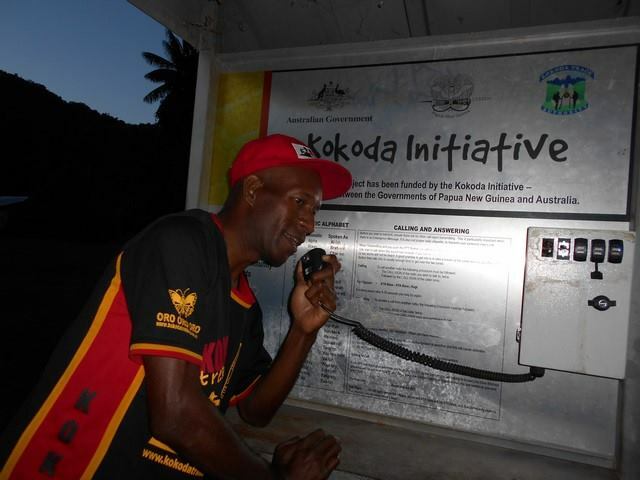 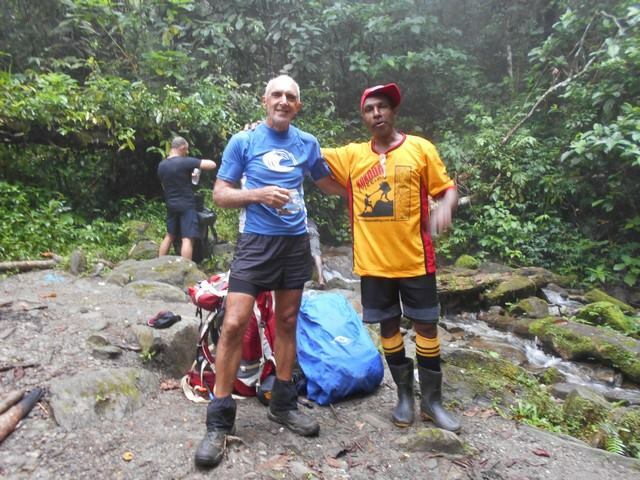 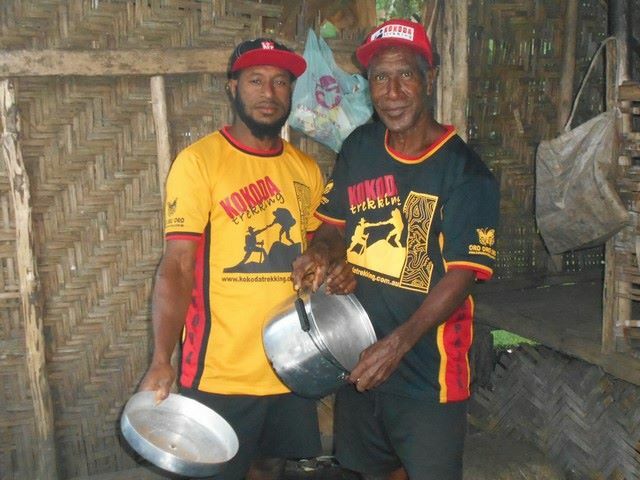 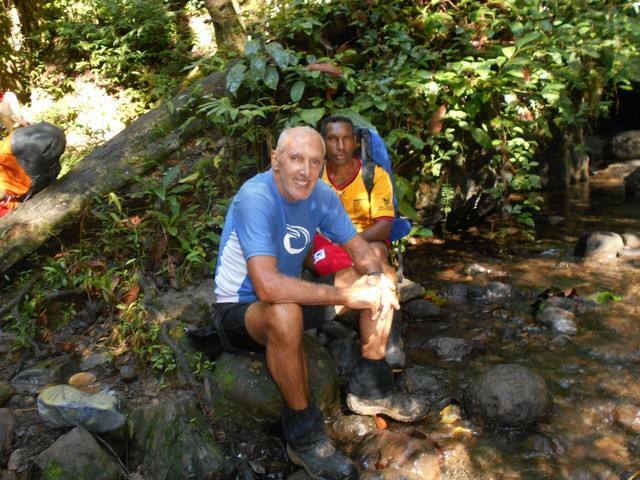 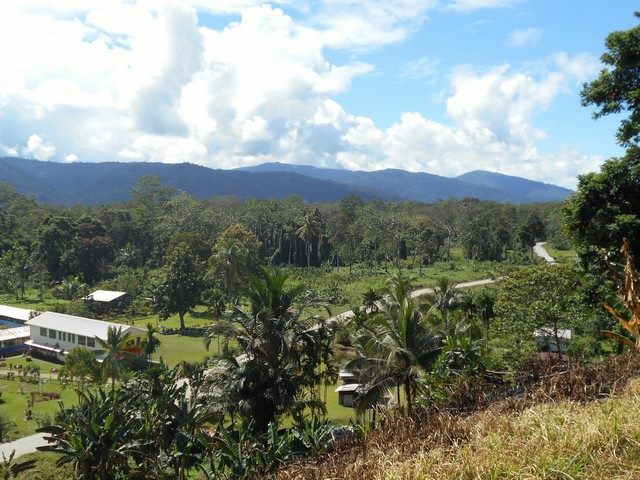 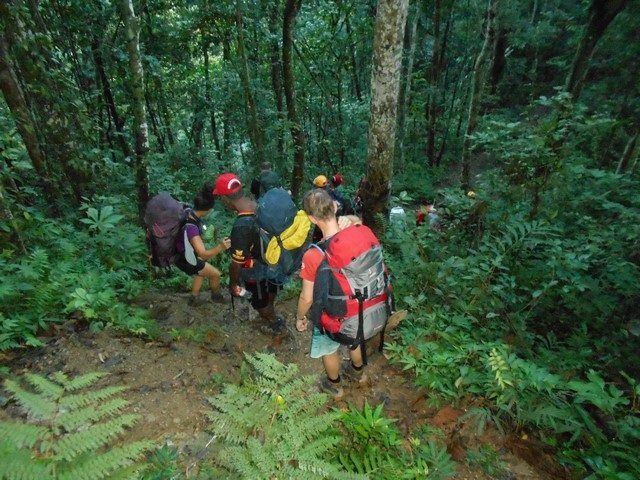 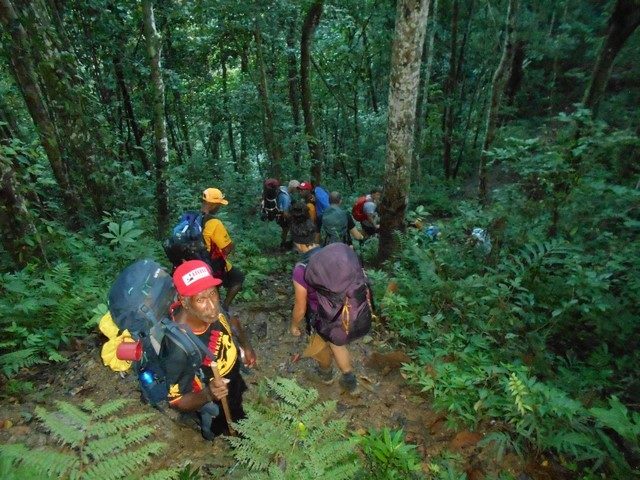 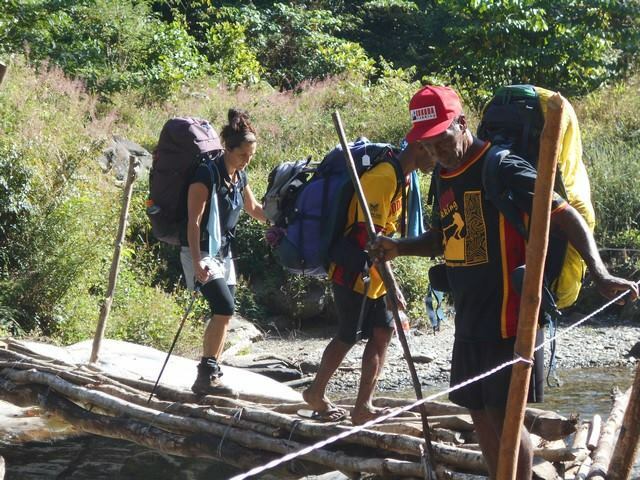 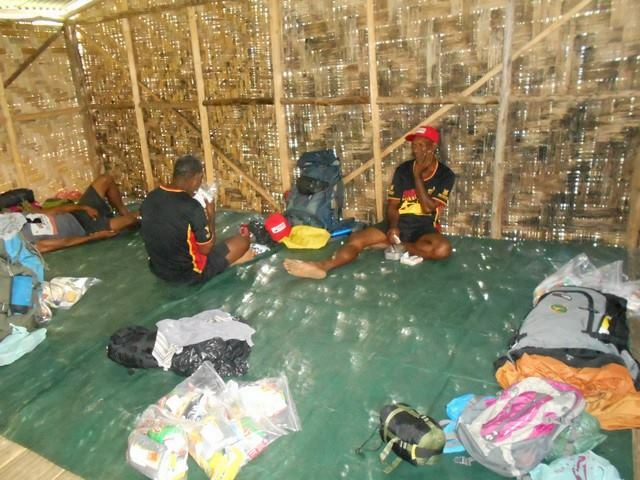 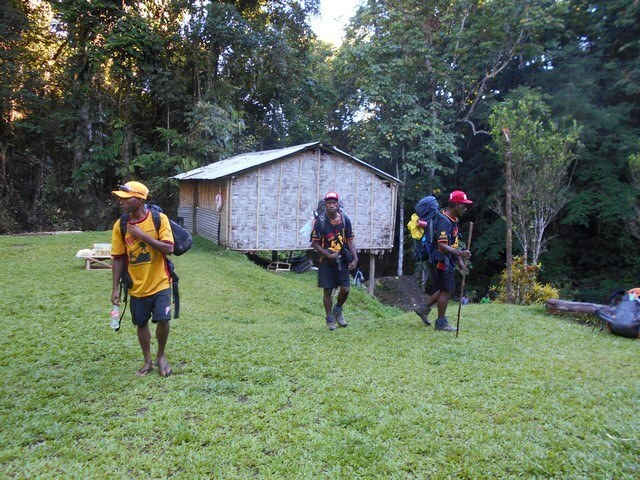 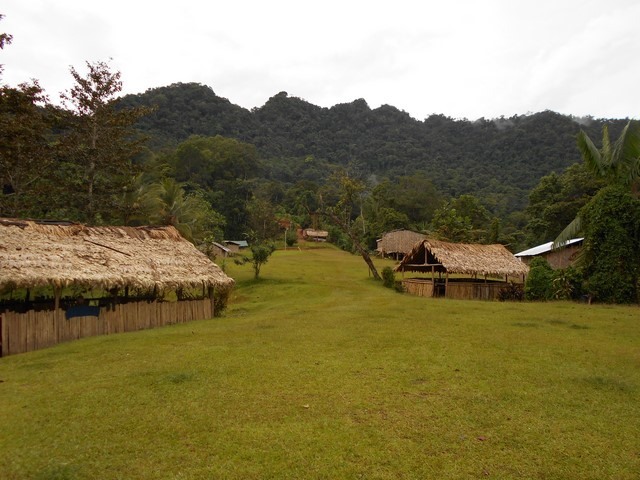 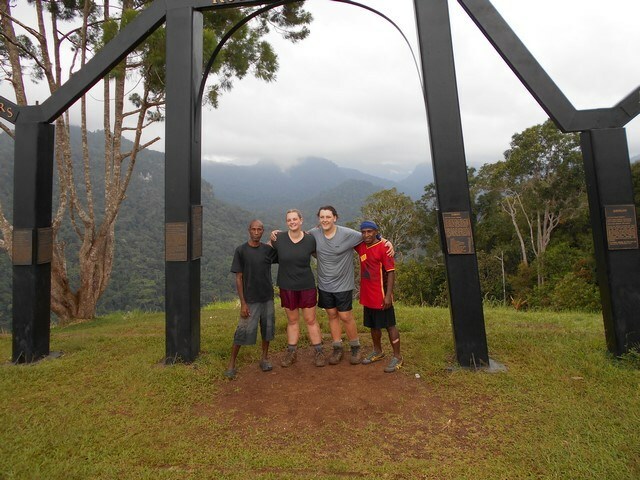 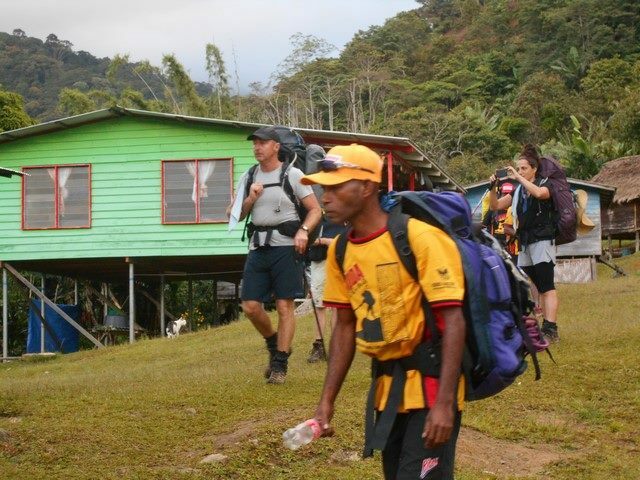 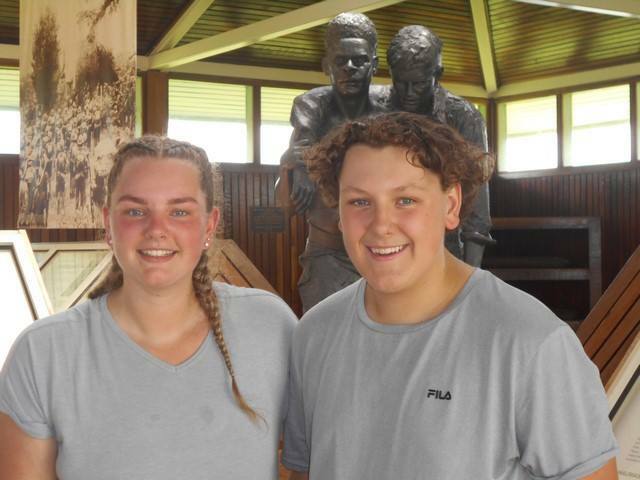 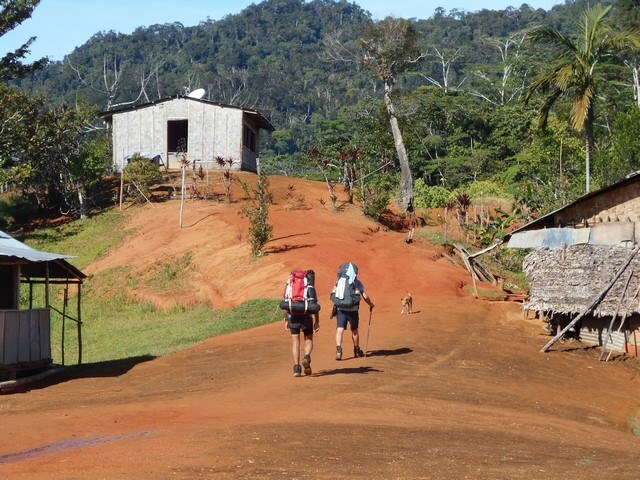 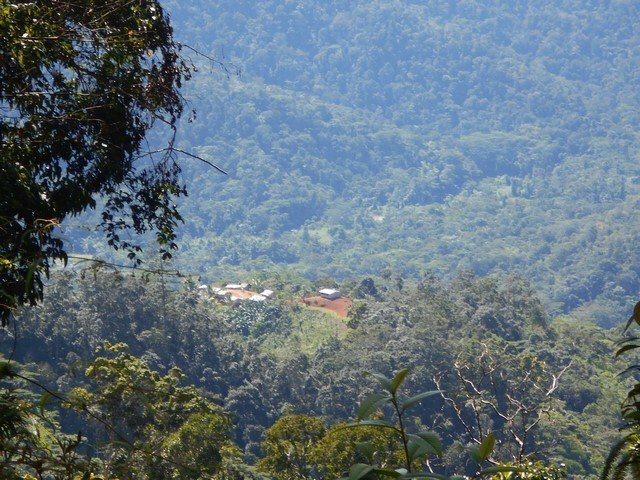 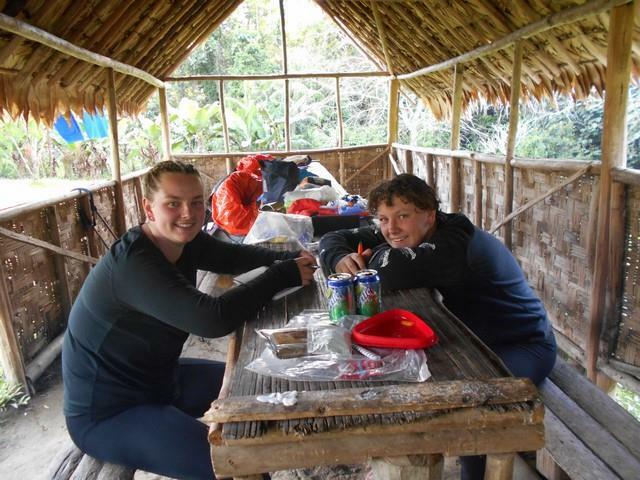 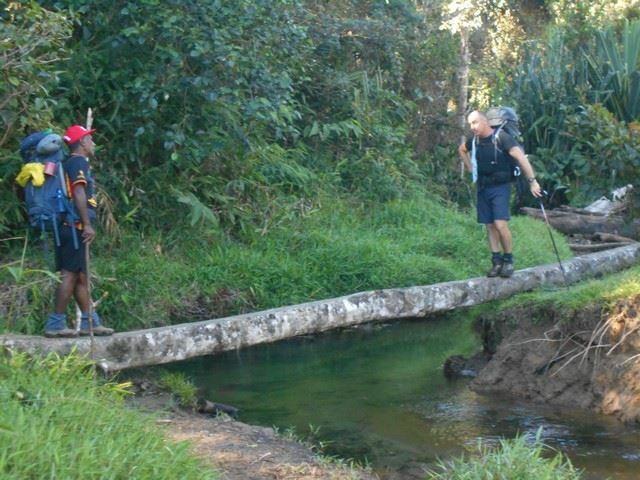 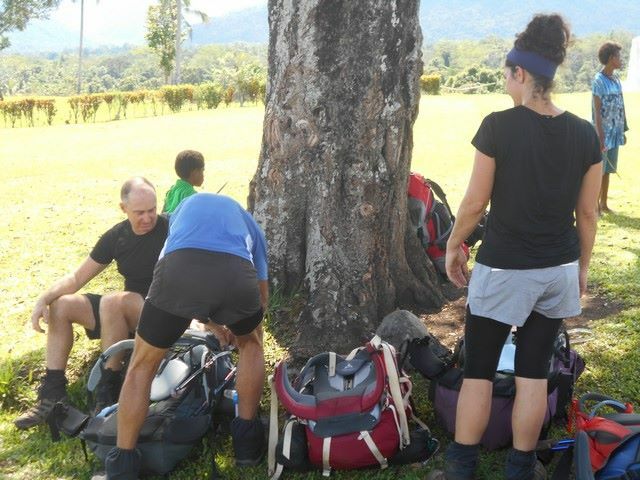 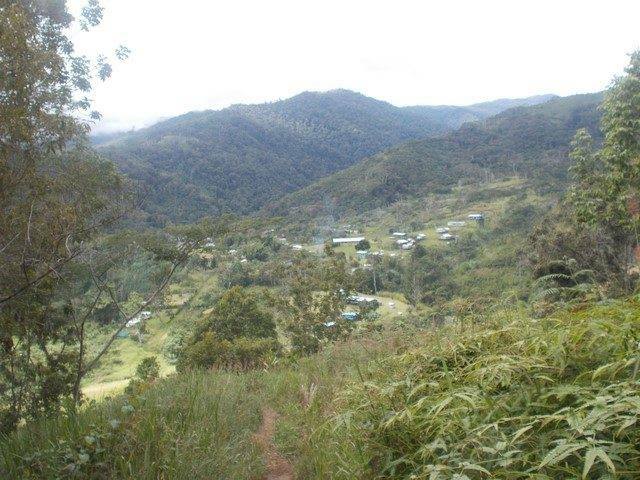 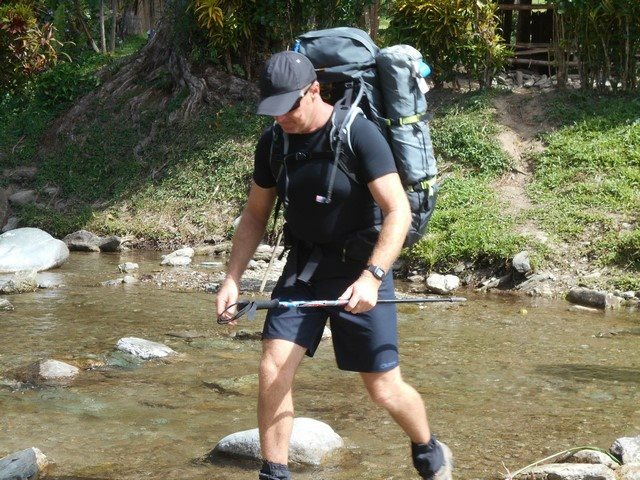 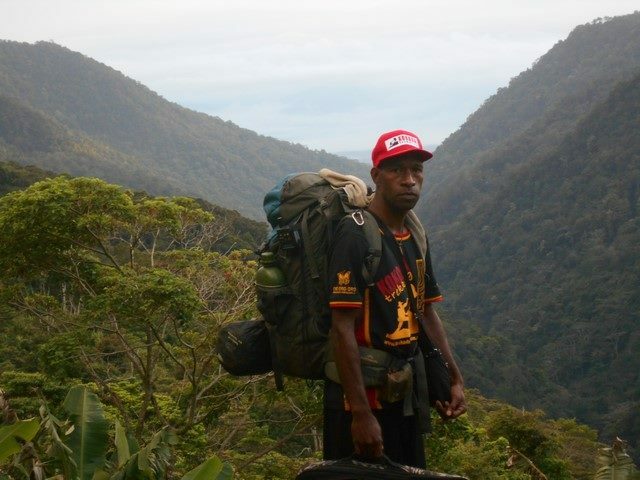 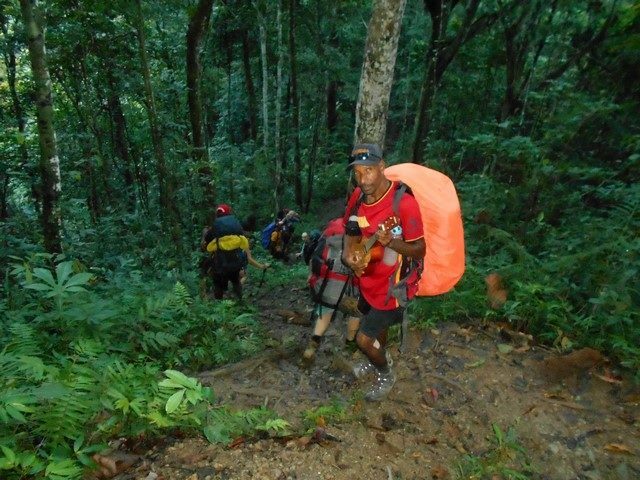 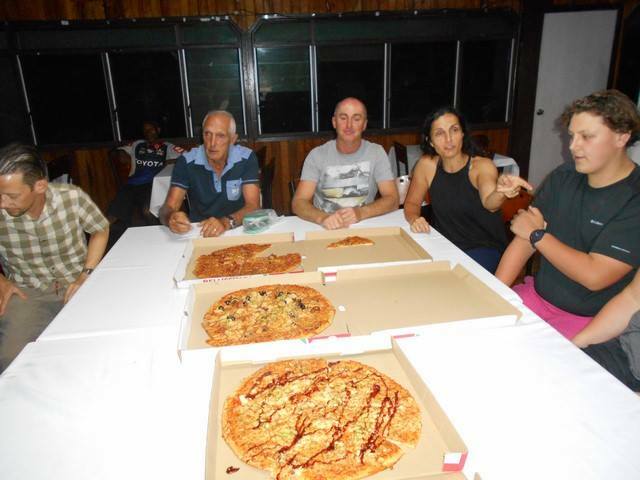 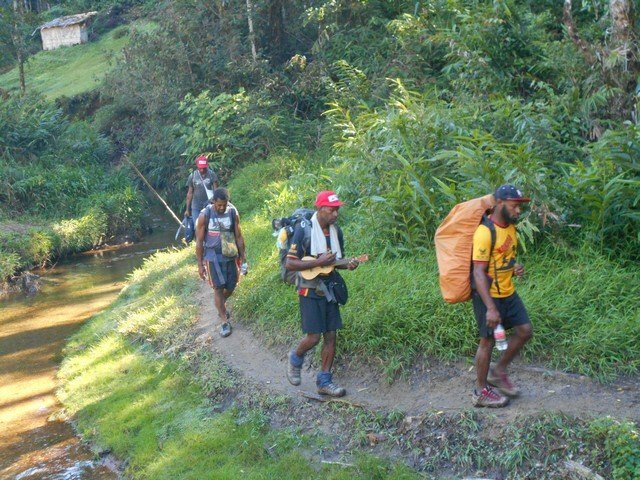 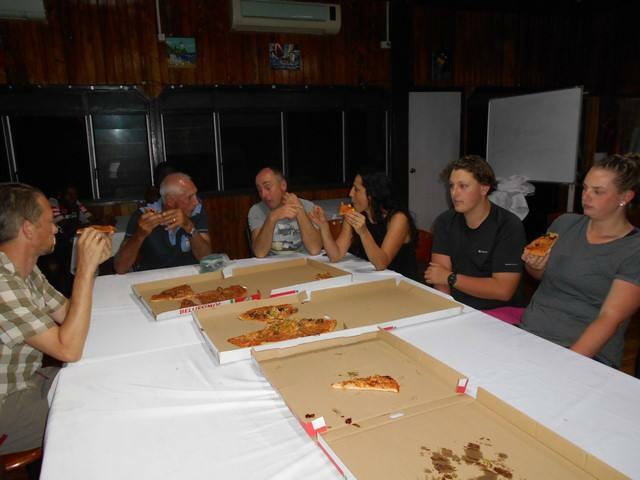 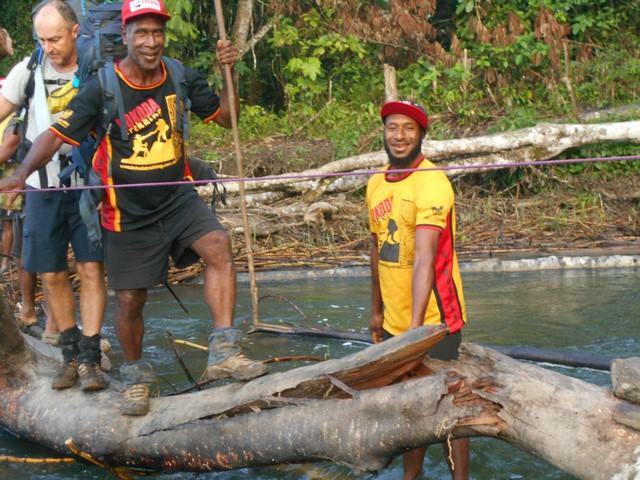 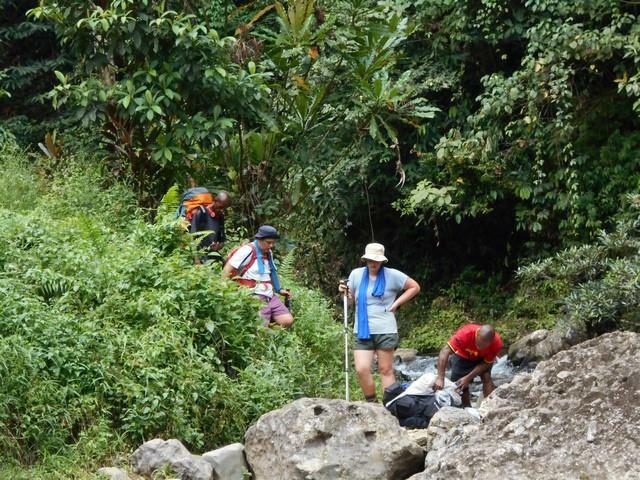 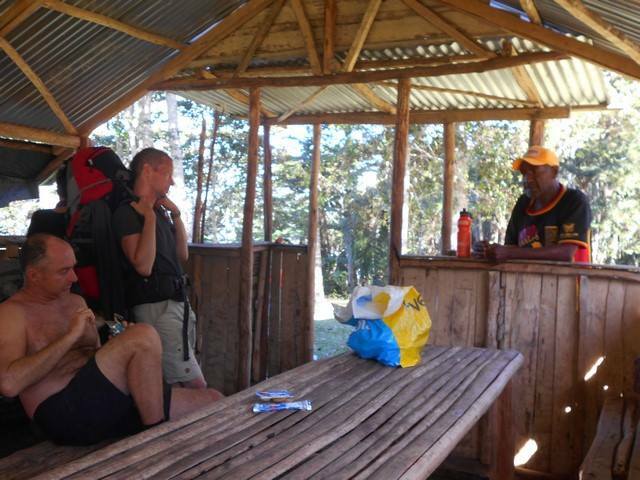 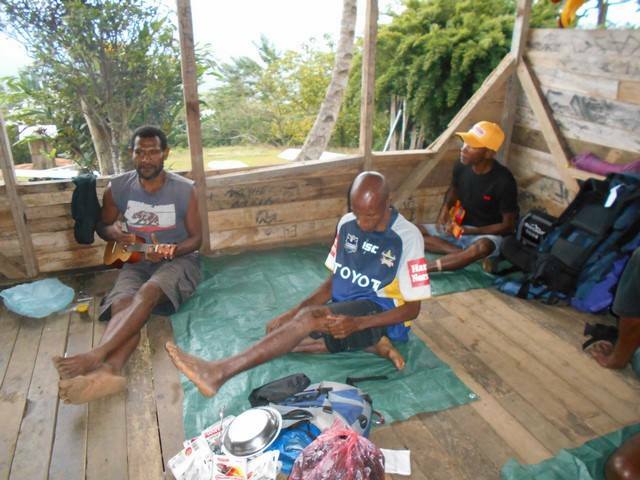 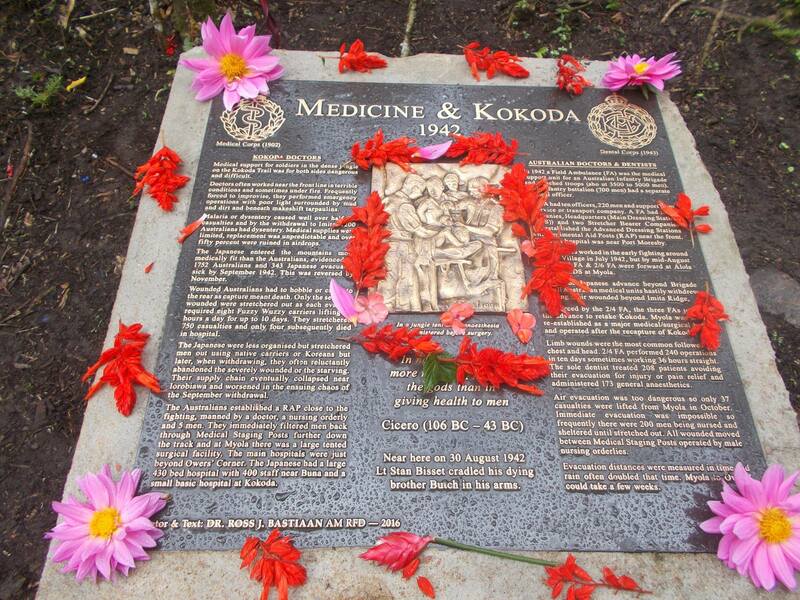 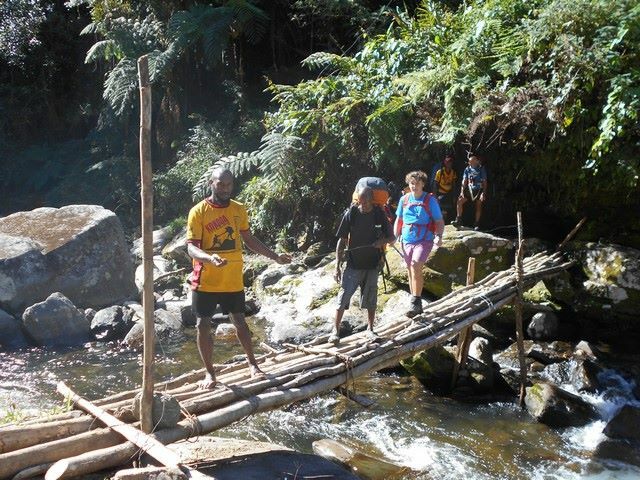 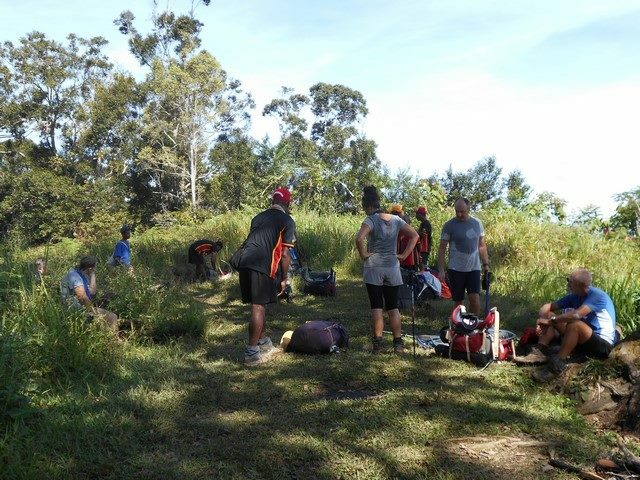 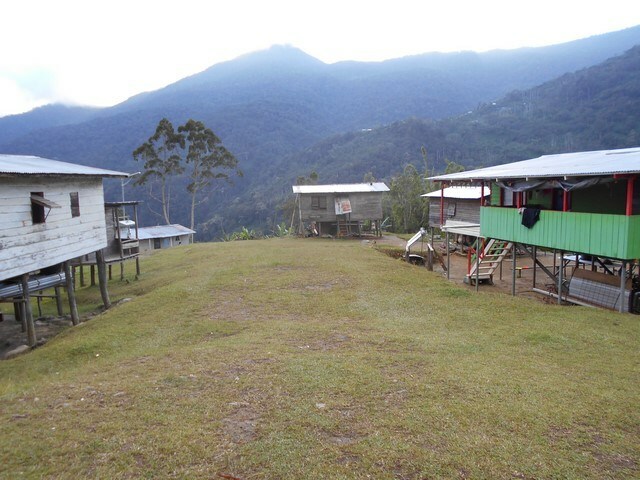 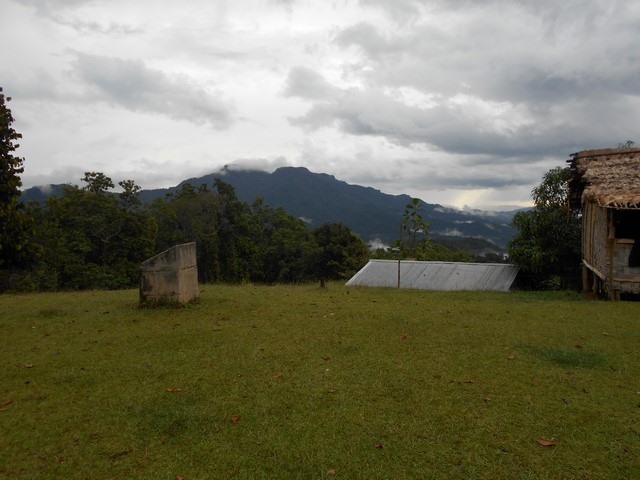 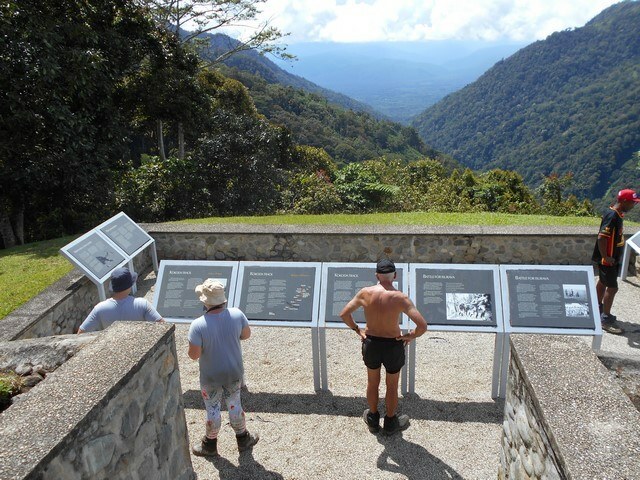 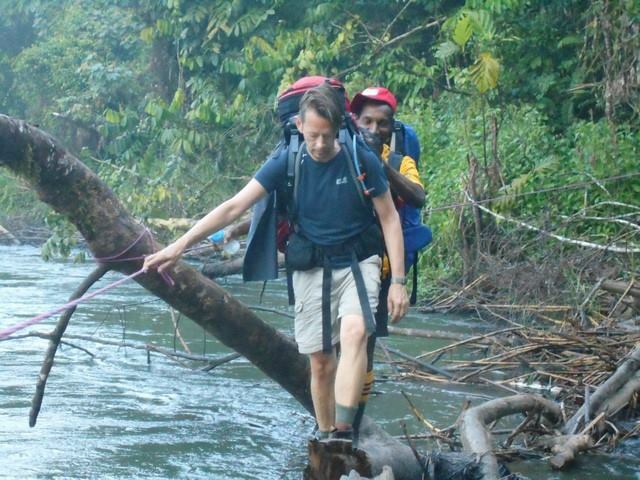 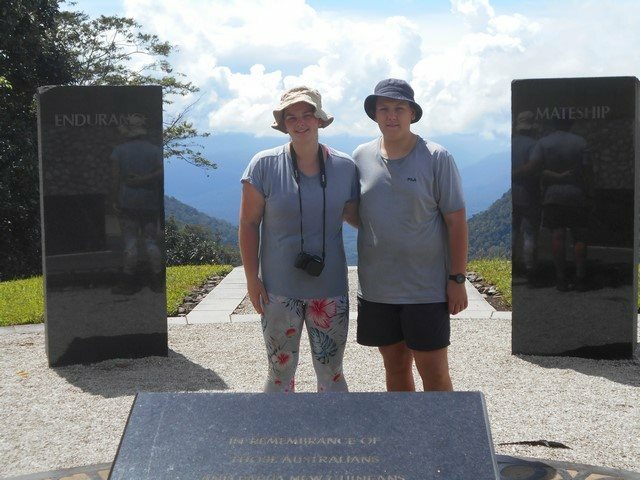 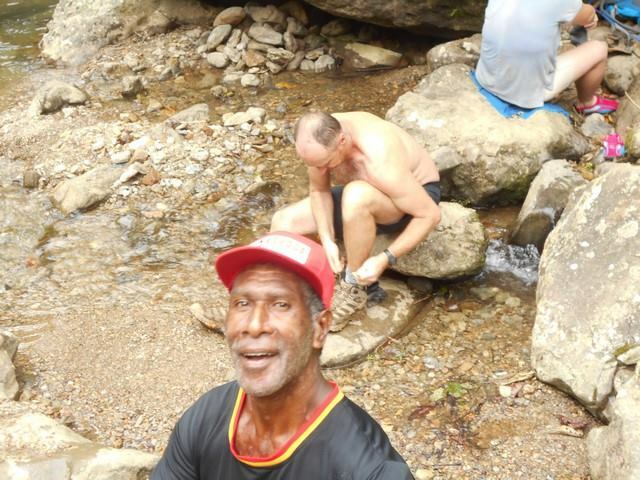 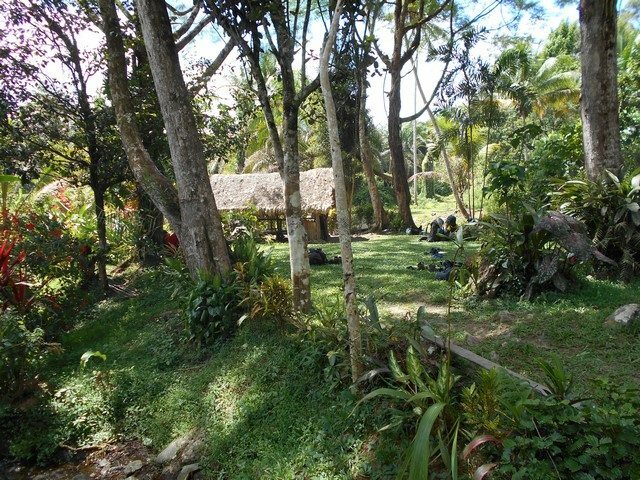 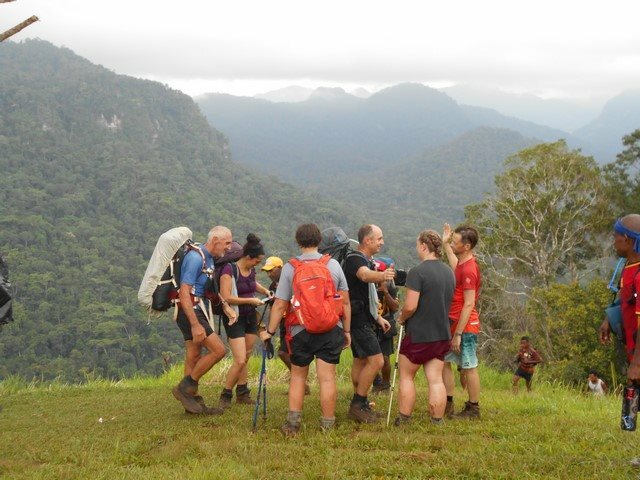 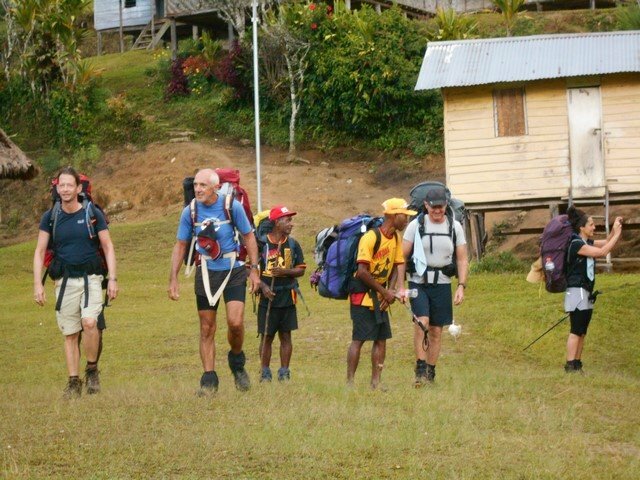 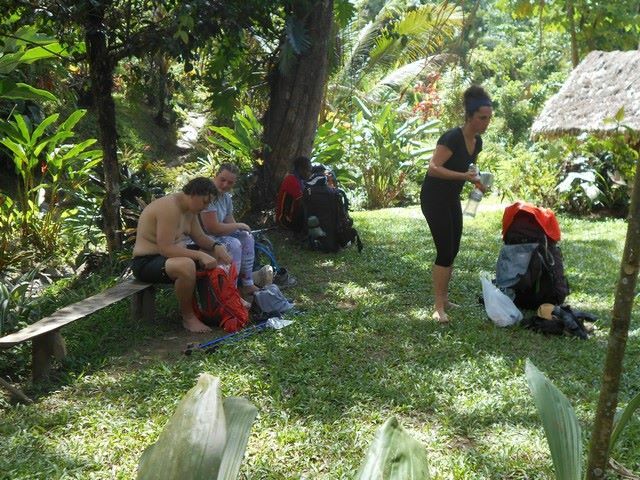 Trekkers arrived in Kokoda and went for some refreshments at Clement Harika’s guesthouse area before making their way up to the Kokoda Station. 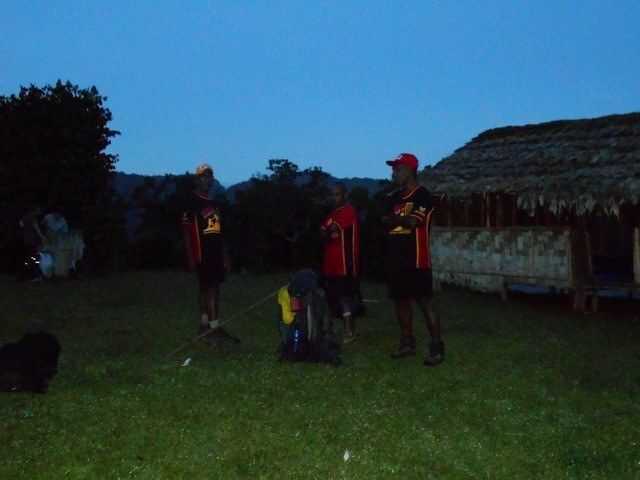 Once on the track they had a short day and are now at Deniki for the night. 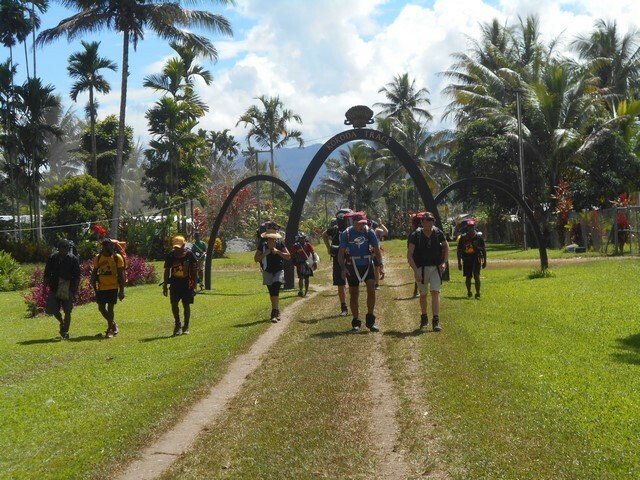 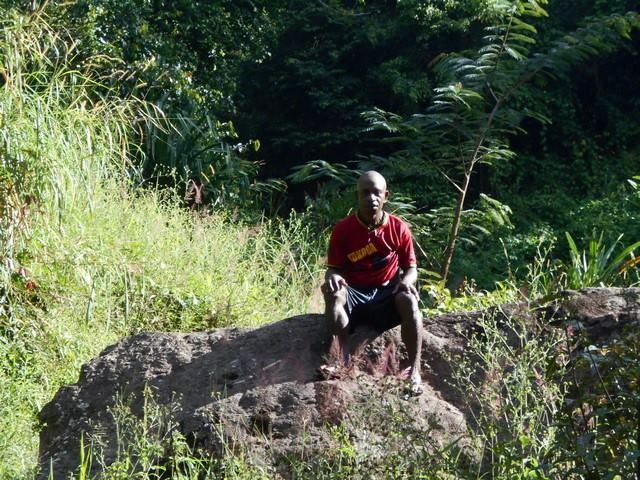 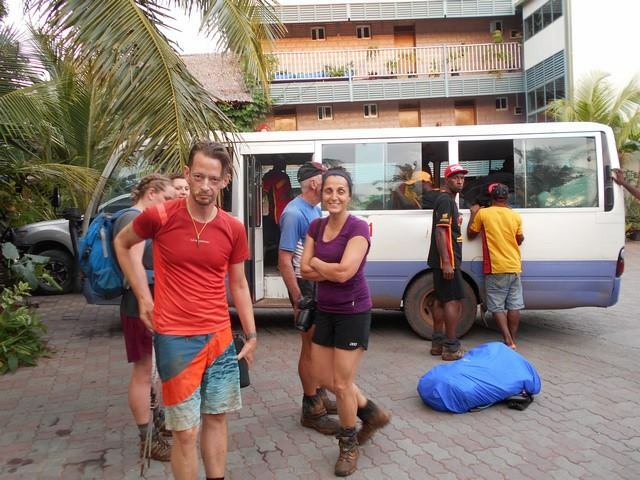 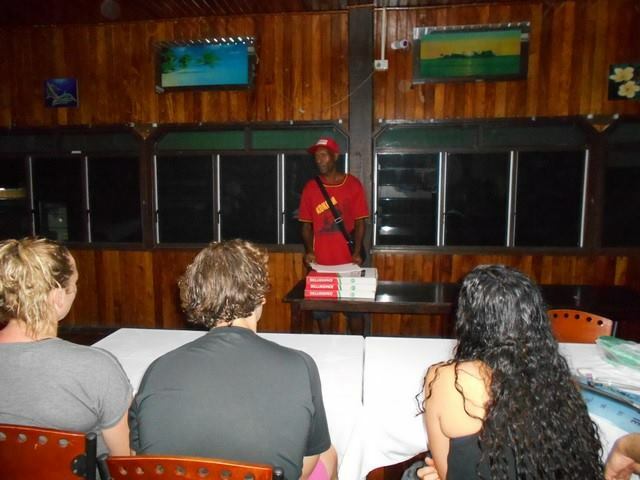 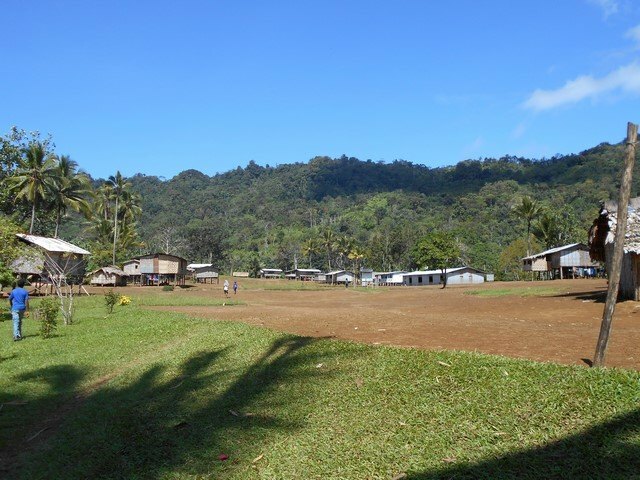 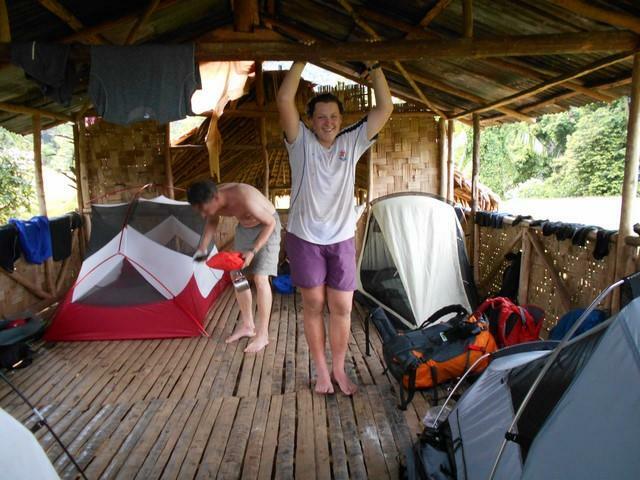 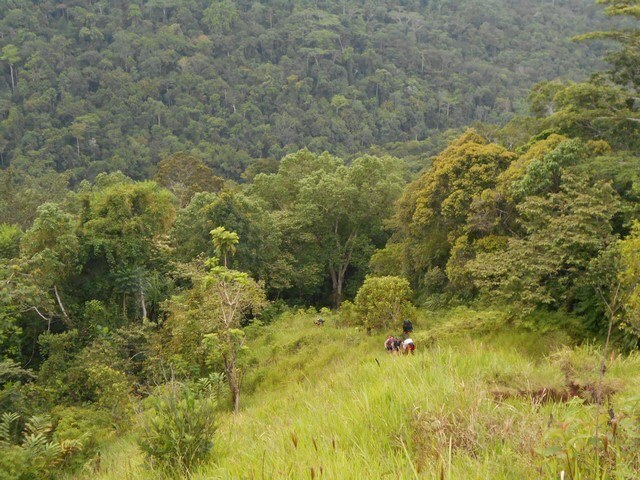 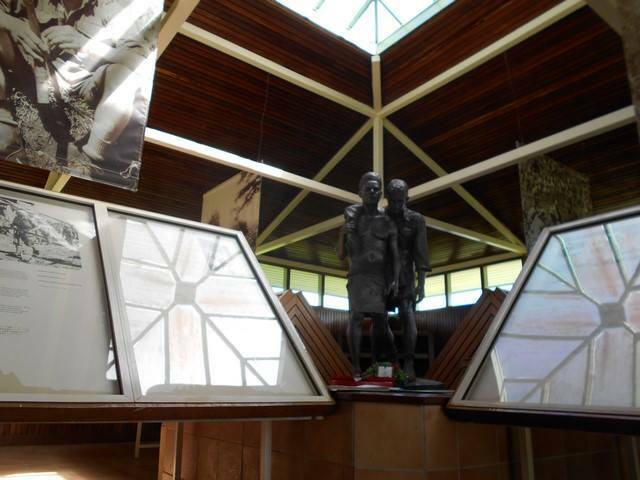 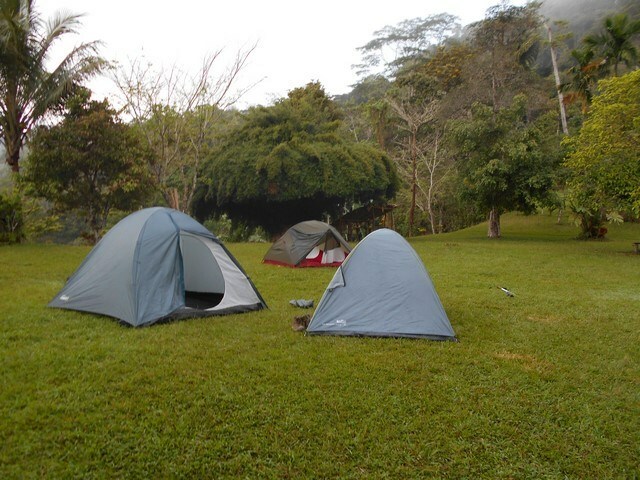 Trek 1112: Trekkers have now reached Alola Village so all going according to plan. 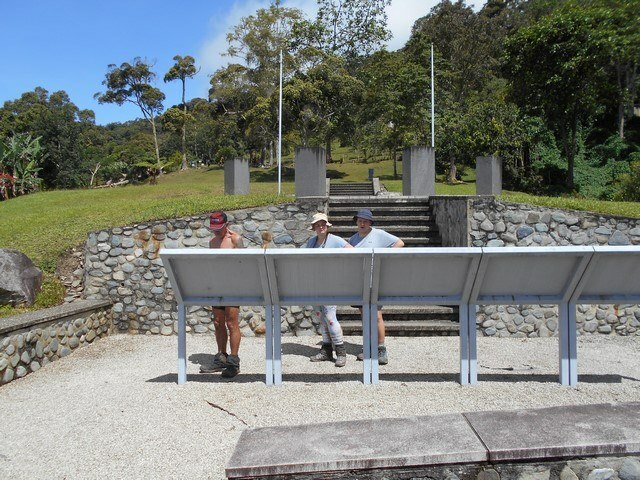 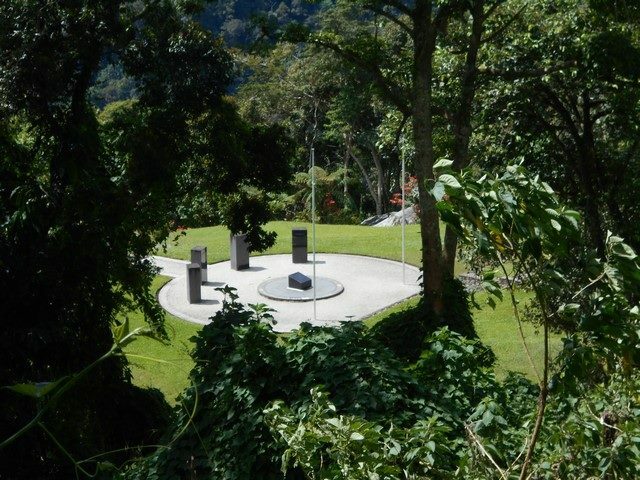 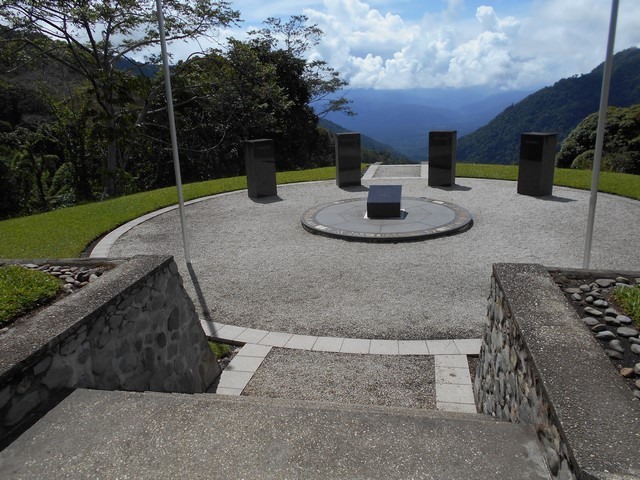 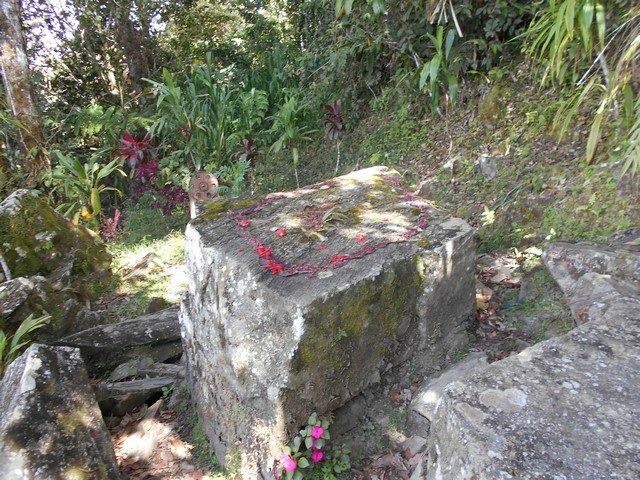 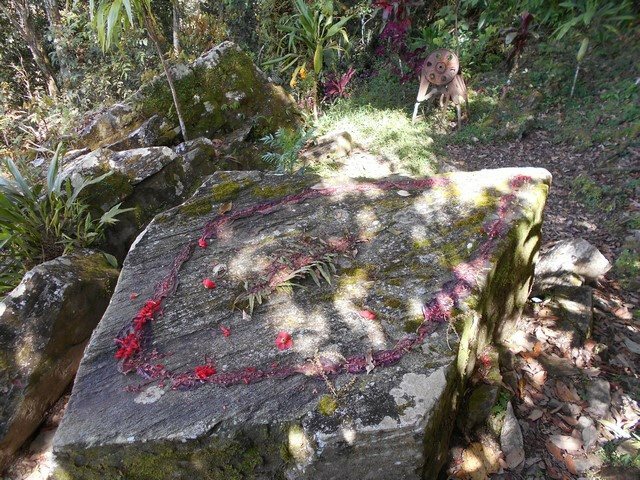 Earlier today the group stopped at Isurava Memorial to pay their respects before moving on to Alola. 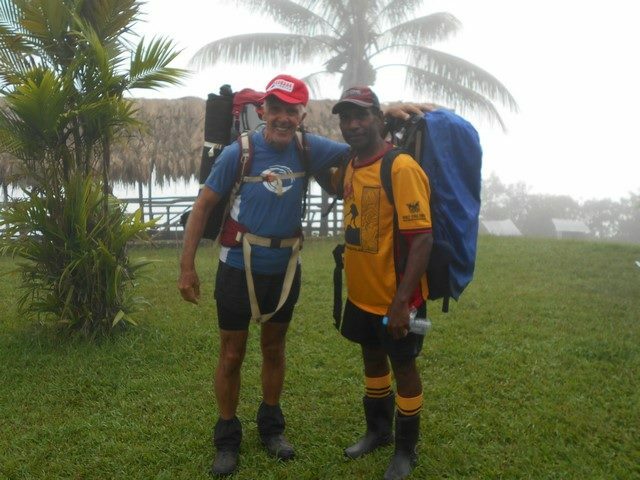 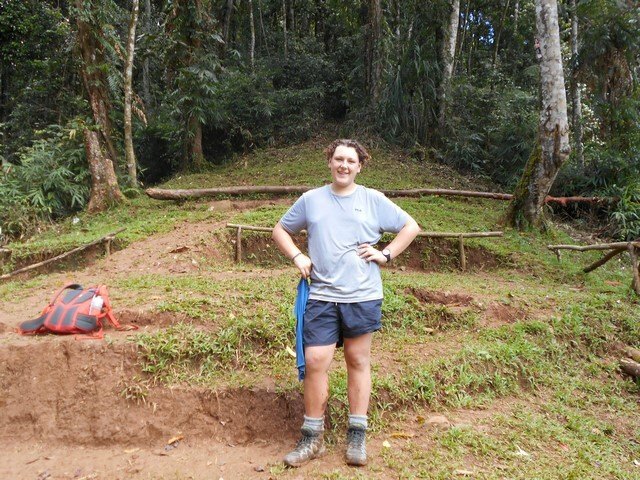 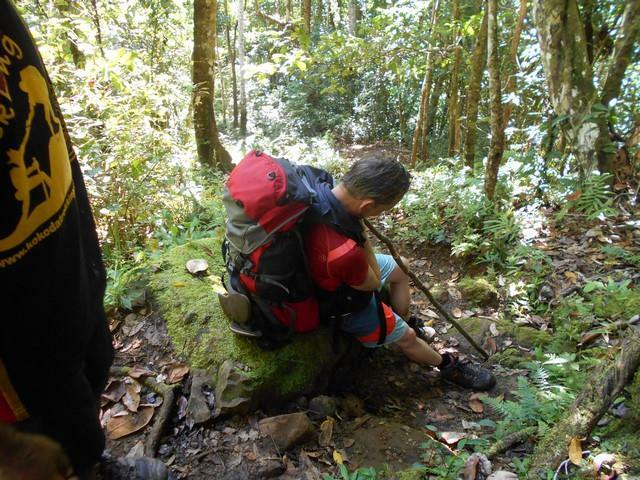 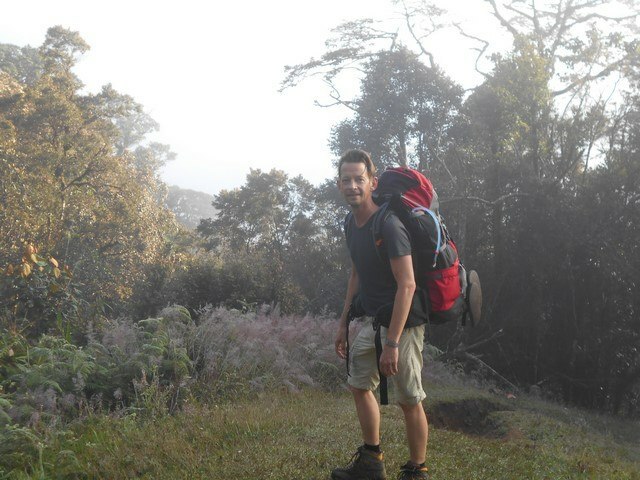 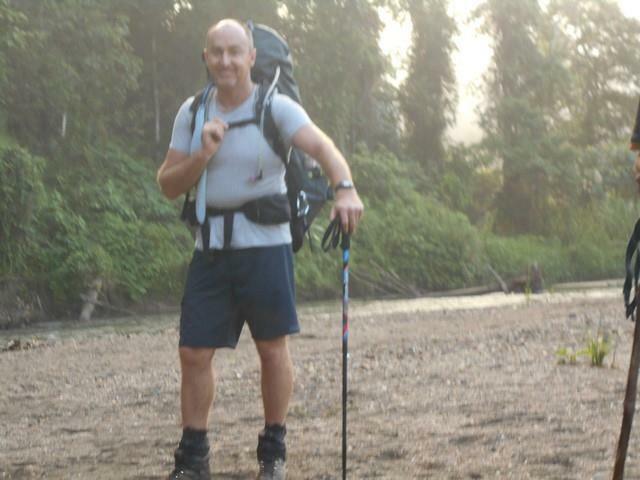 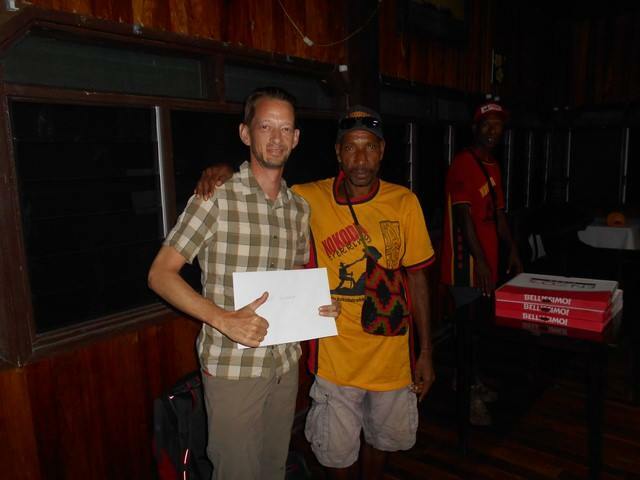 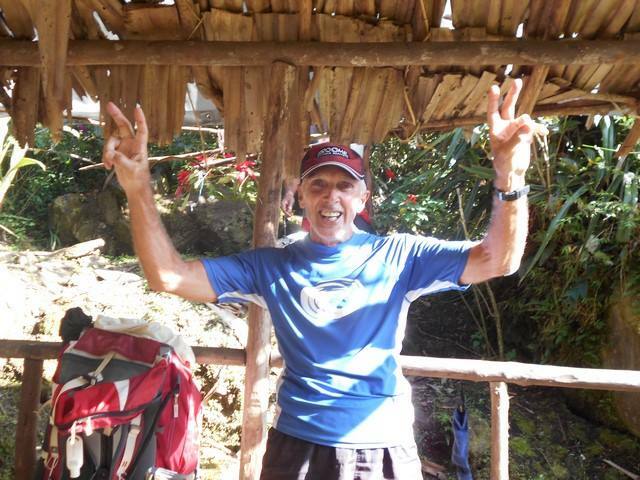 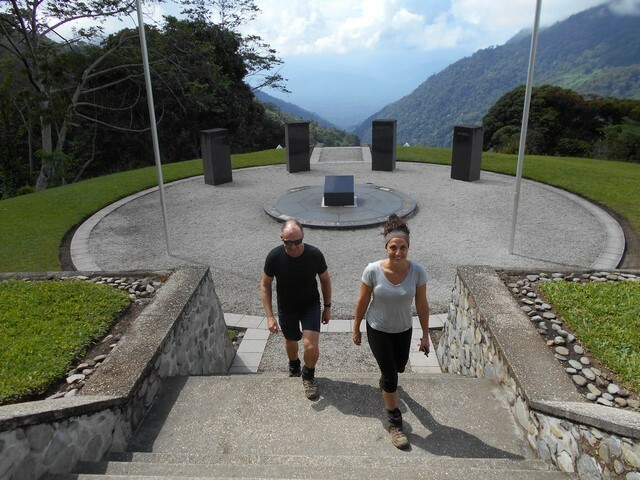 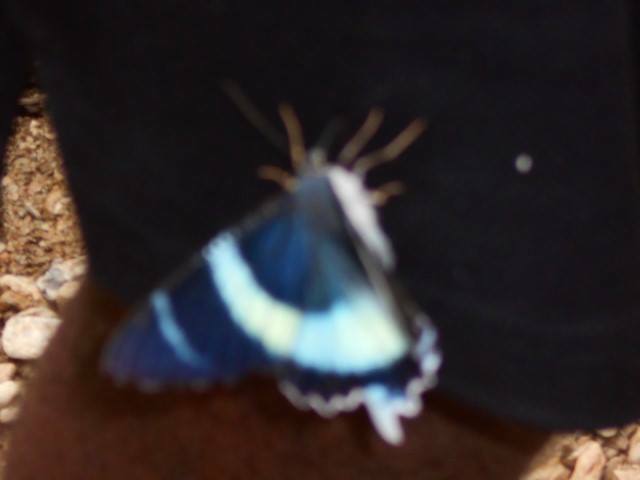 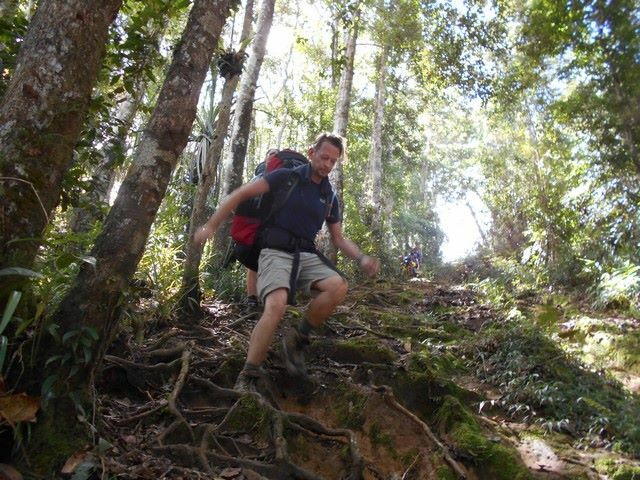 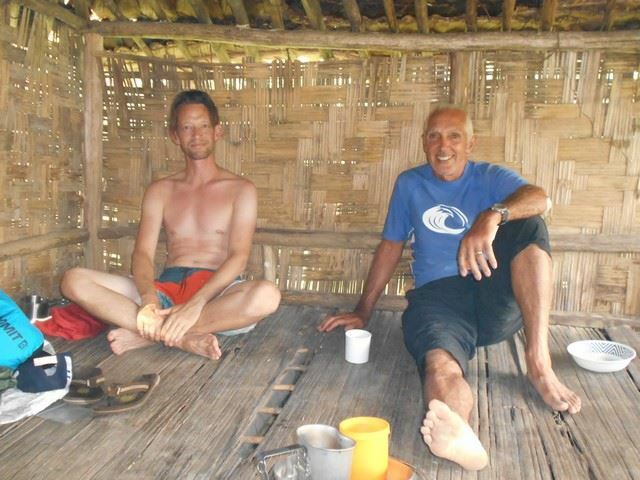 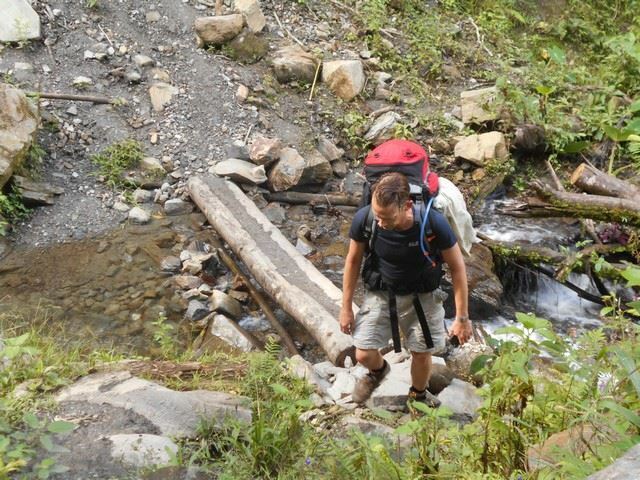 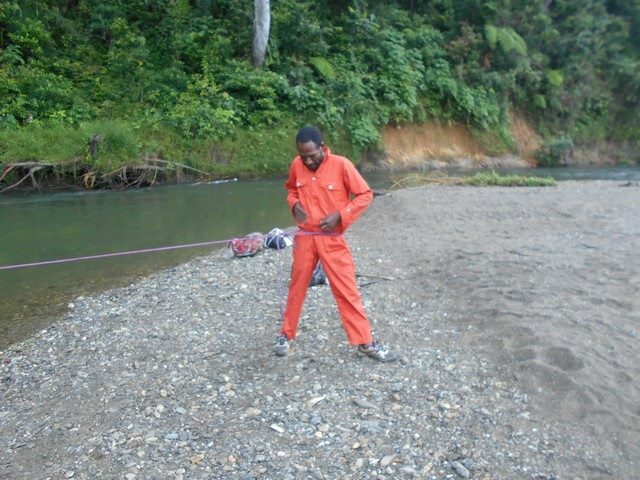 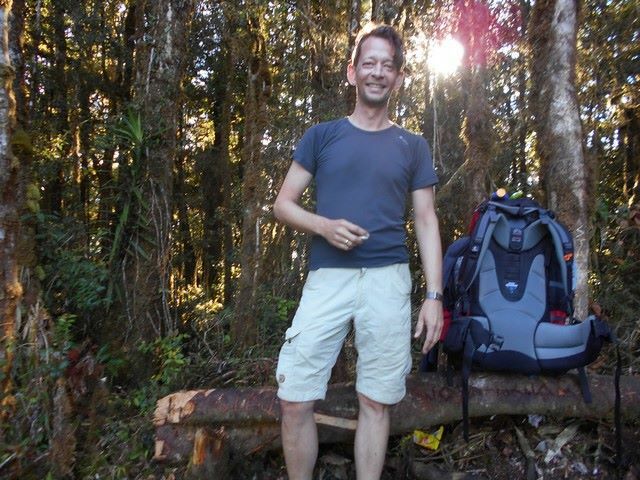 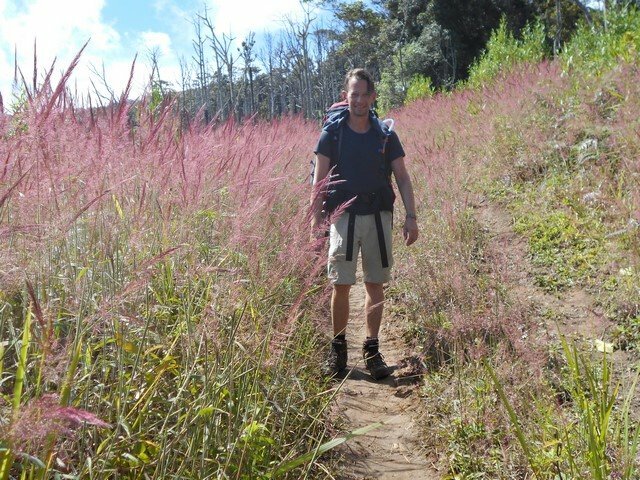 Trek 1112: When Gary called last night he said everything went well yesterday and the group were moving along nicely. 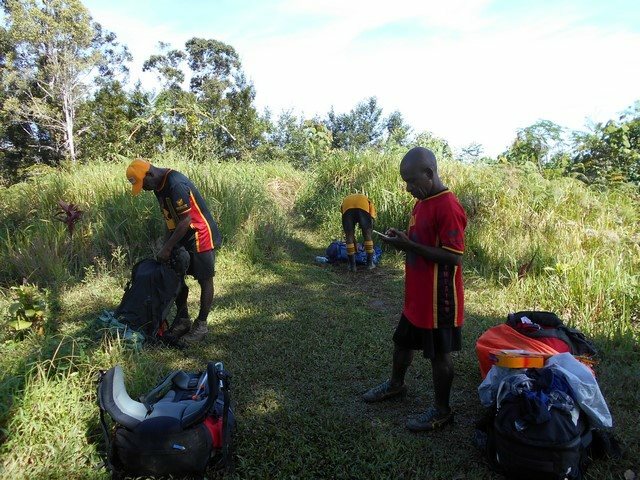 Today there was a plan a) and a plan b) but just now checking the GPS he is carrying, shows me they will reach their destination of Dump 1 for the night. 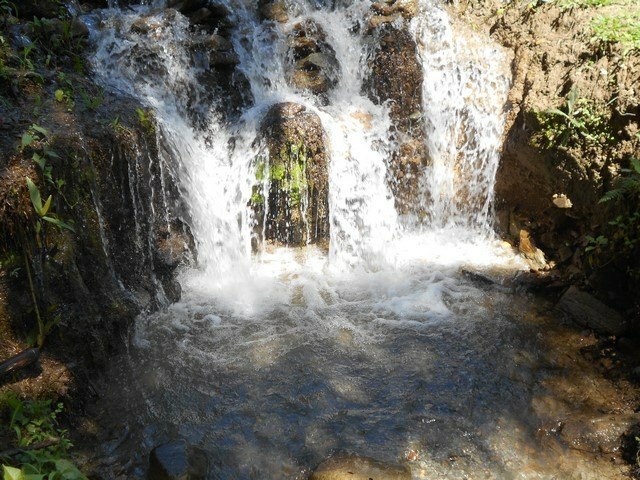 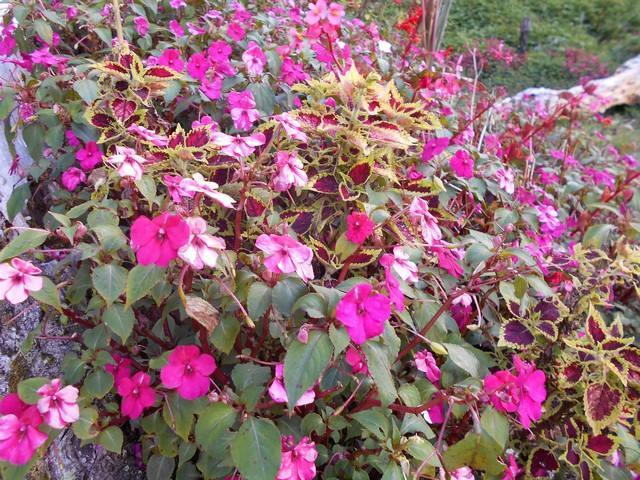 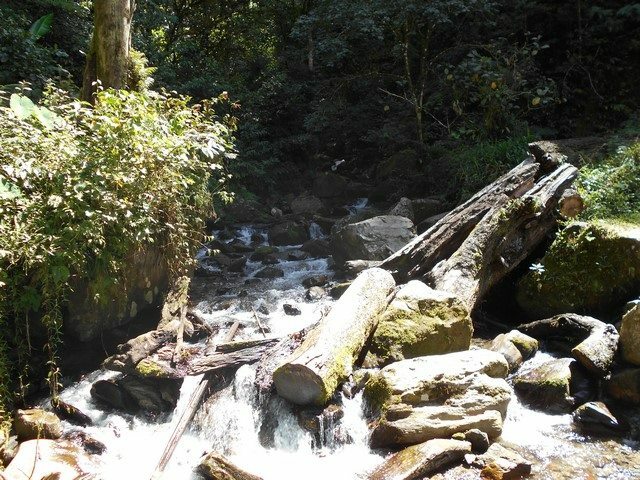 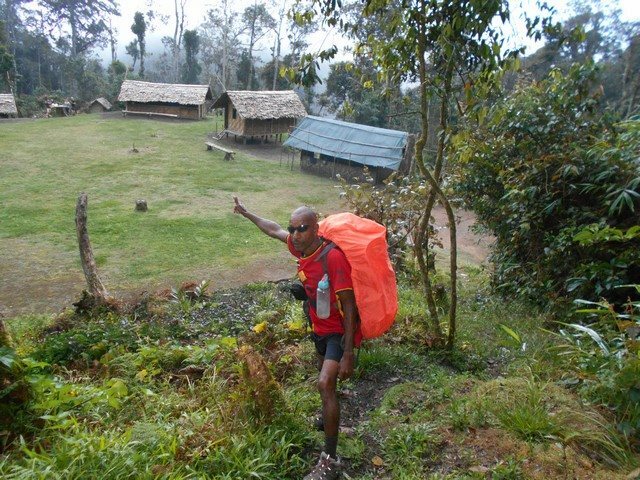 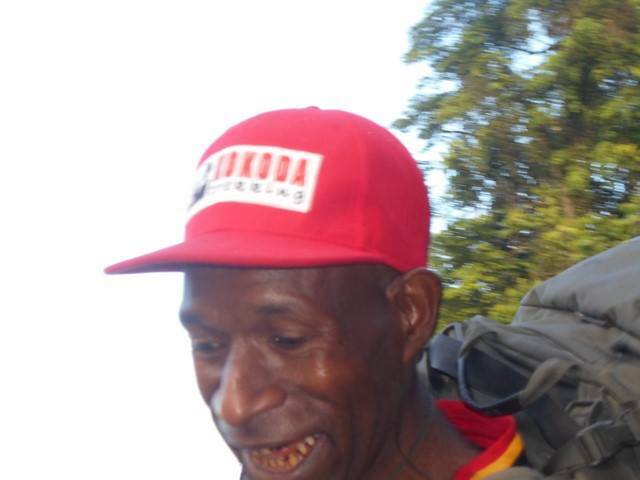 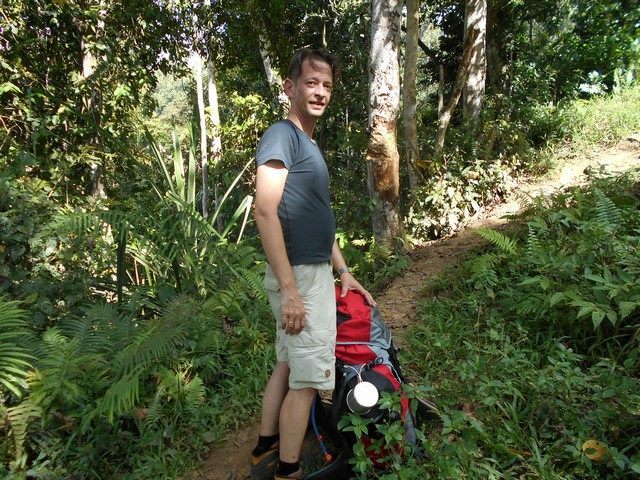 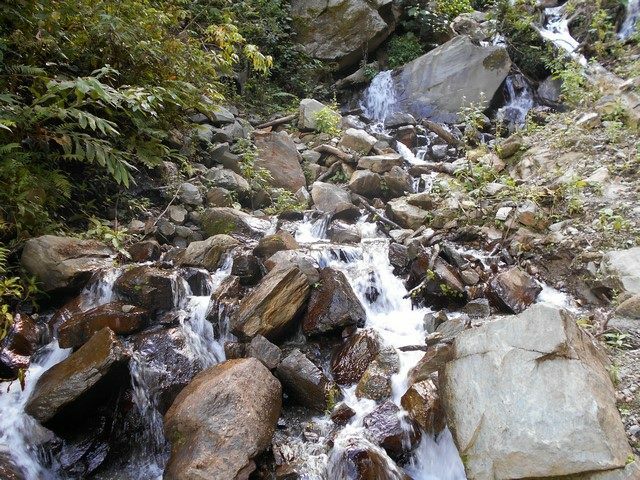 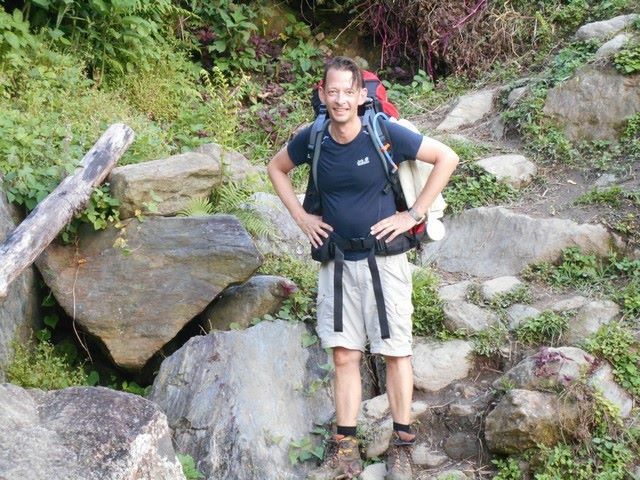 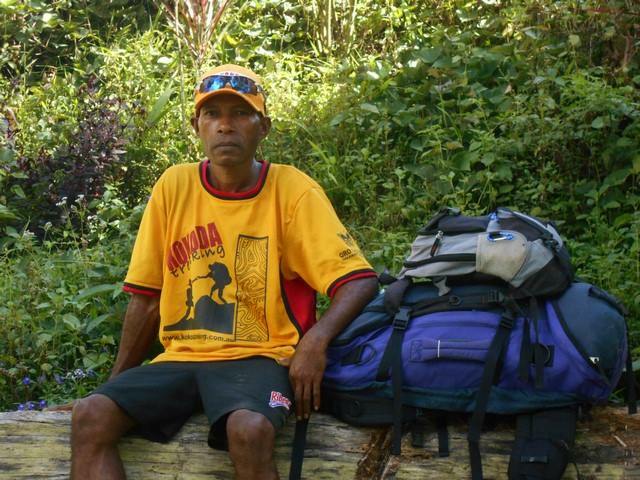 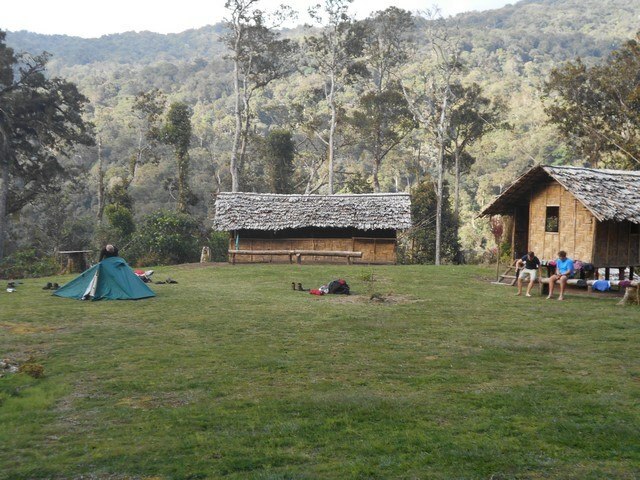 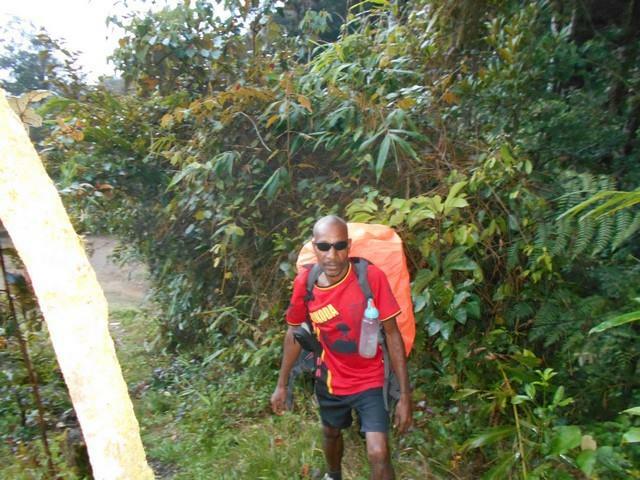 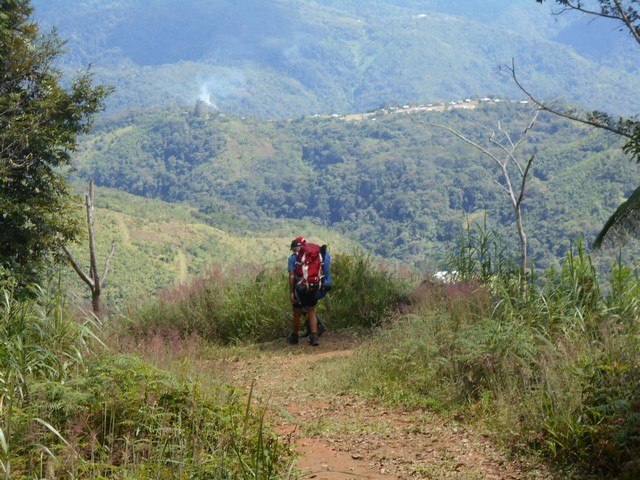 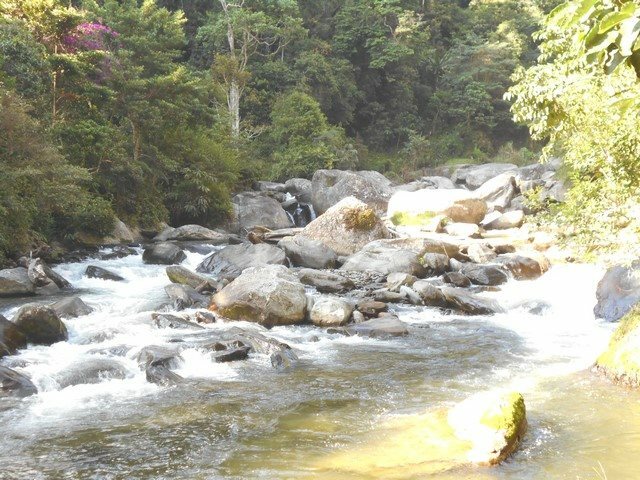 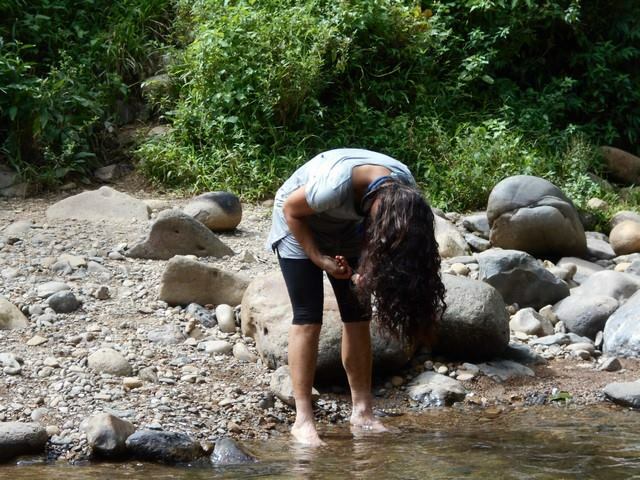 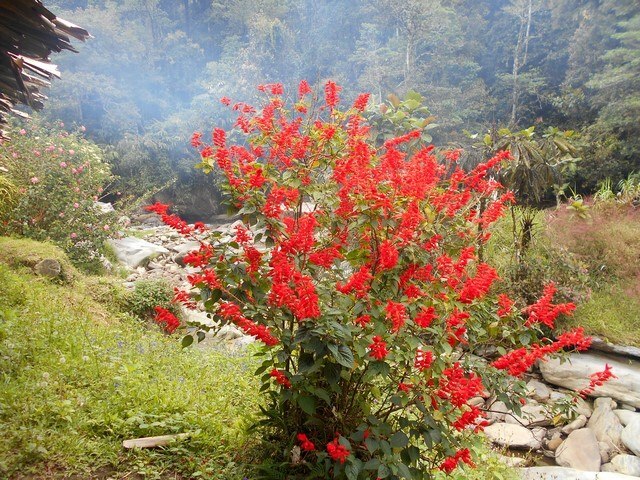 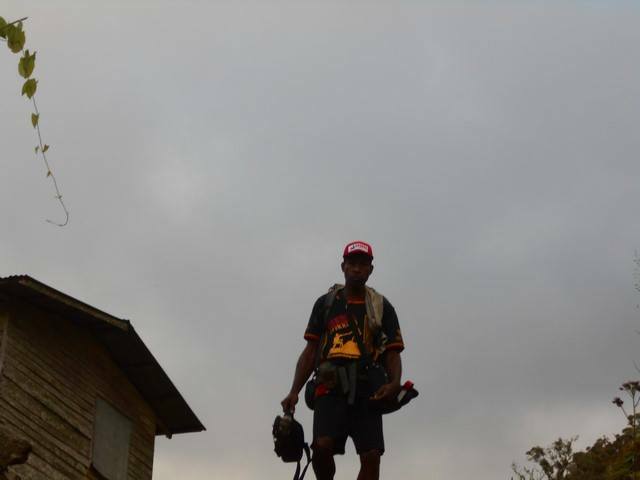 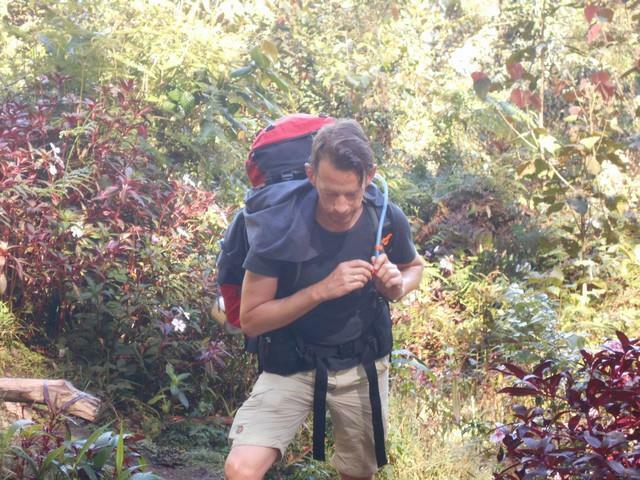 Trek 1112: Gary phoned a short time ago and said they are now at Efogi and its seems not a single problem exists among any of the trekkers or porters. 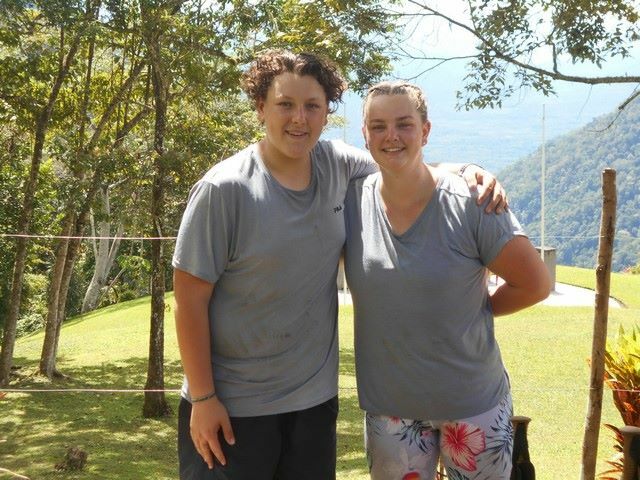 He said the sister/brother pair were out the front today. 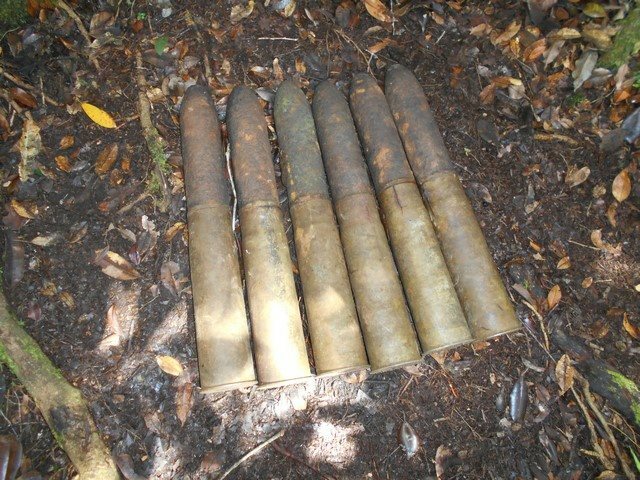 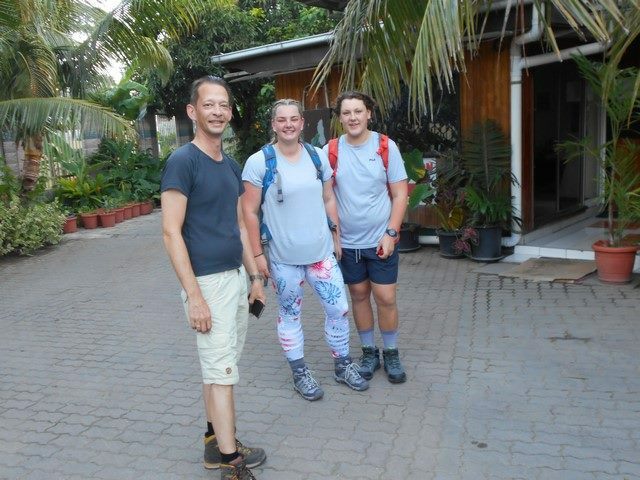 Apparently they arrived at the half way point around 3:30pm this afternoon. 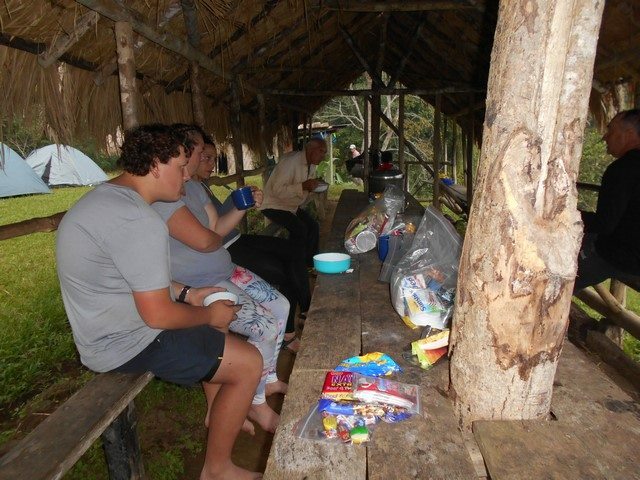 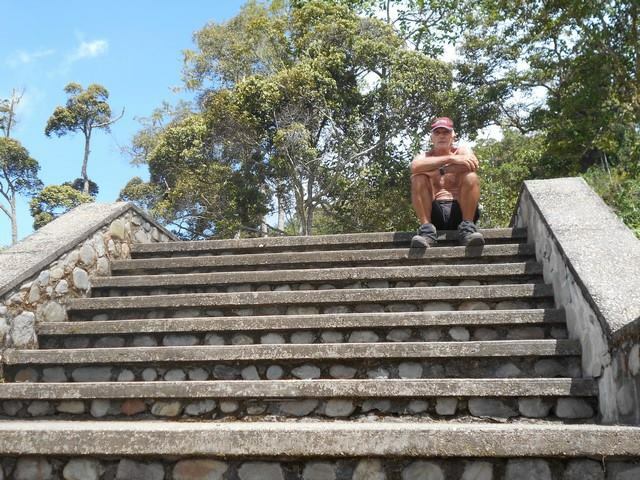 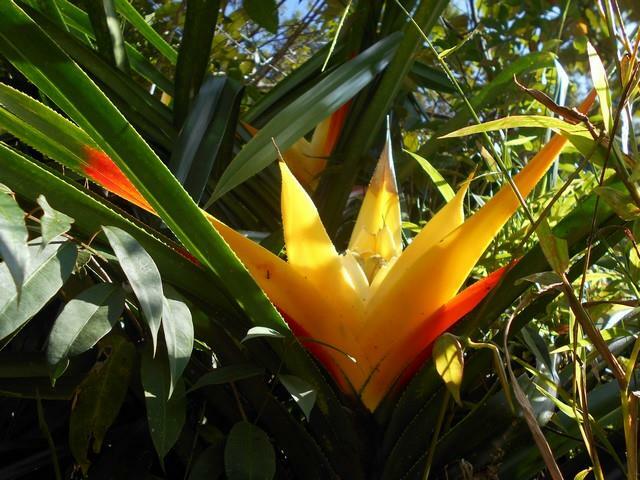 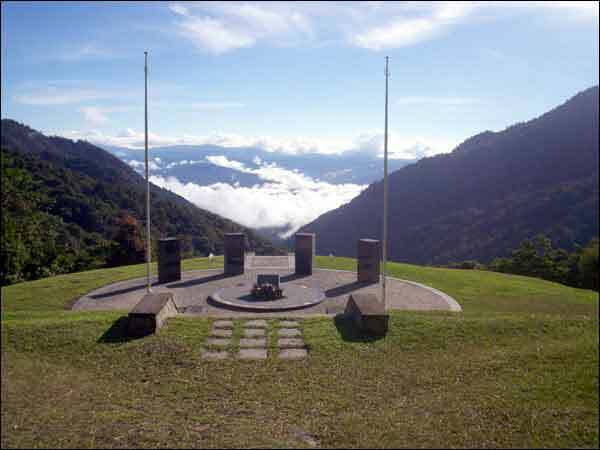 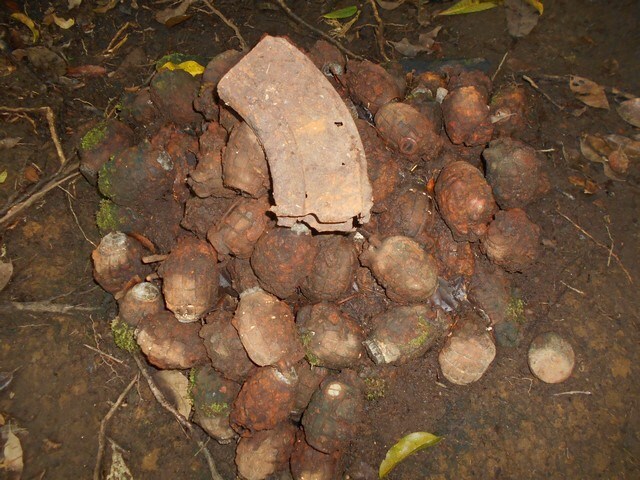 Tomorrow they are heading to Agulogo for the night. 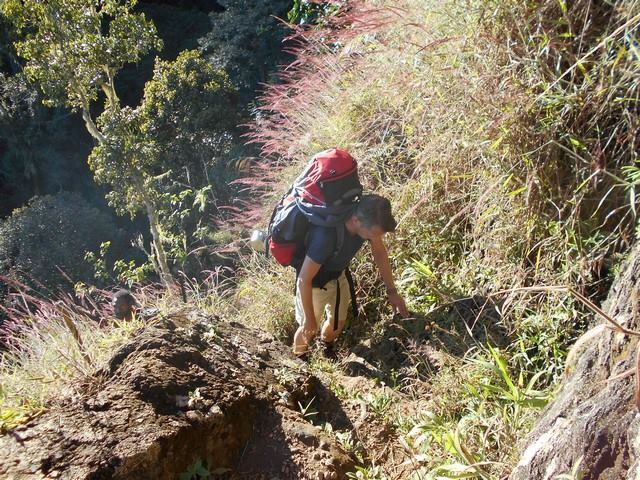 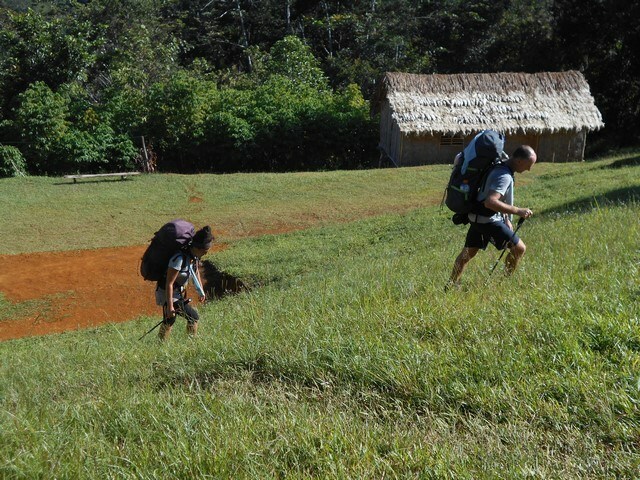 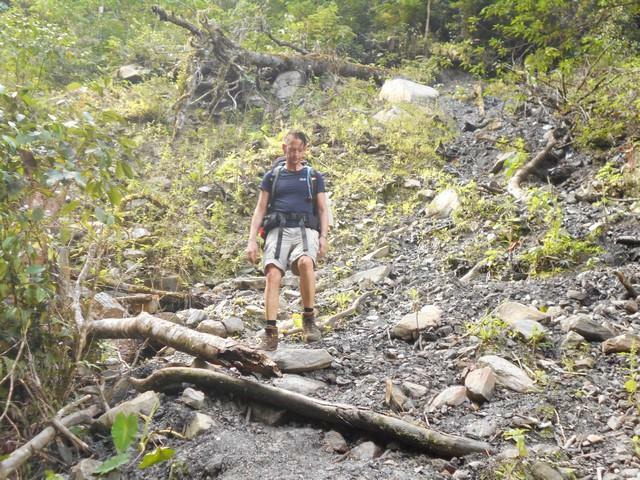 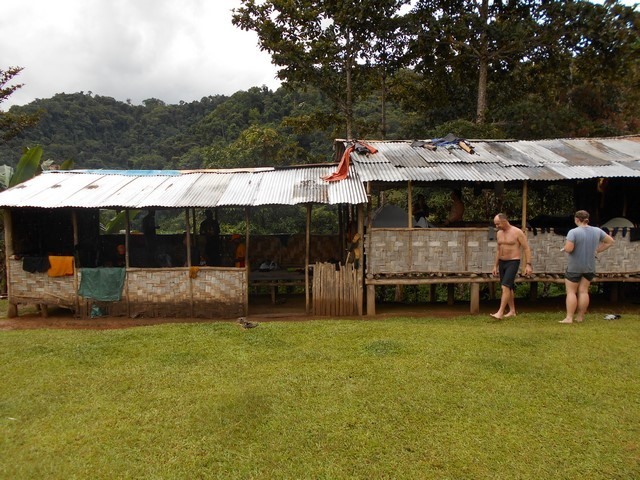 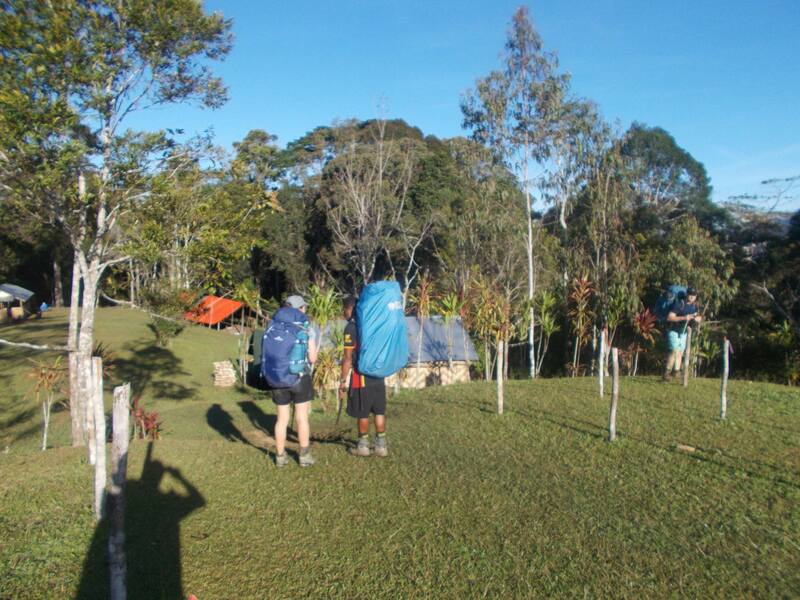 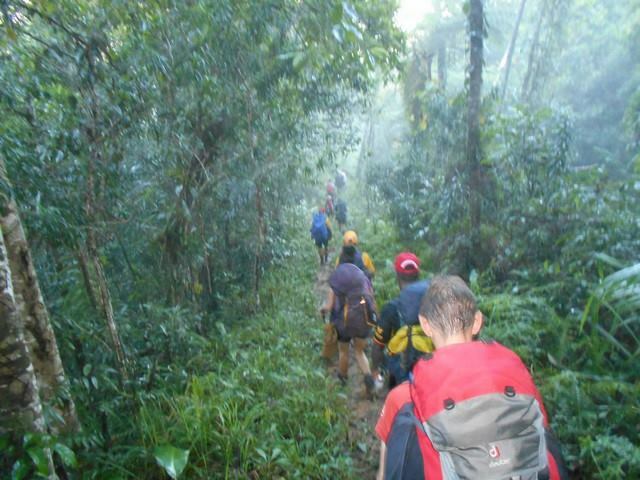 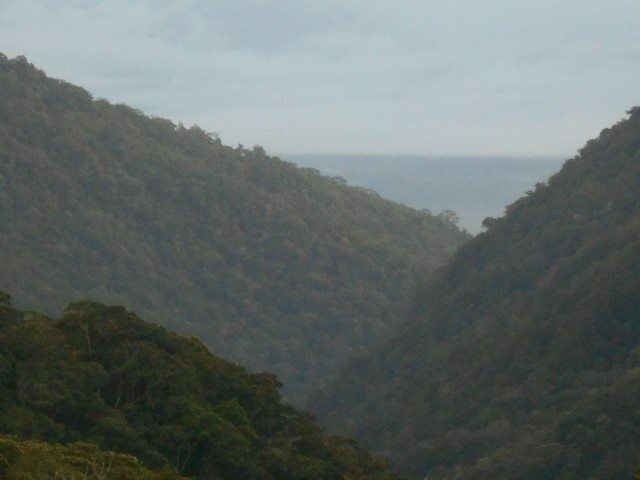 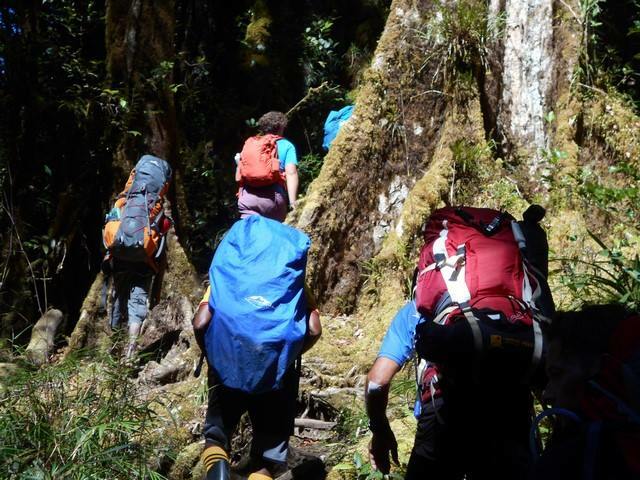 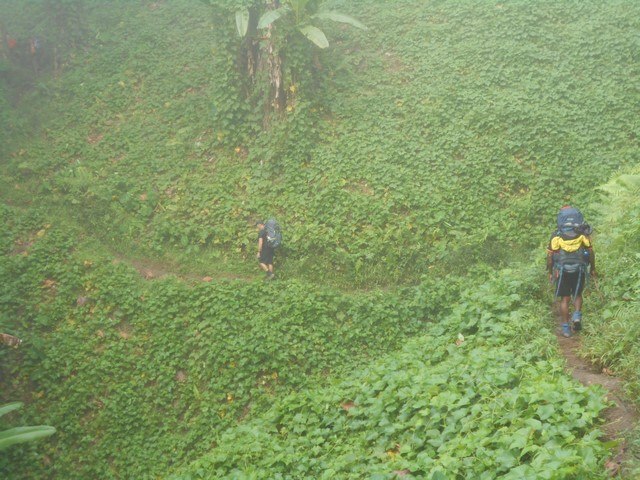 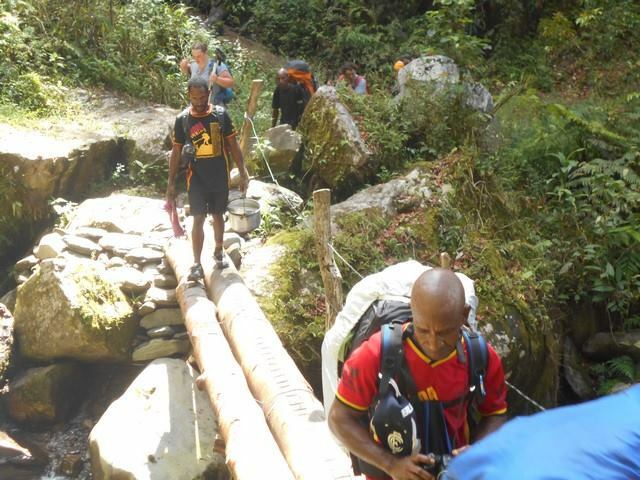 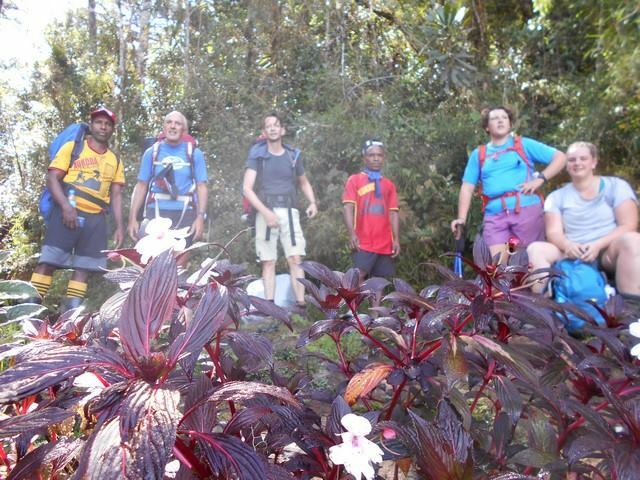 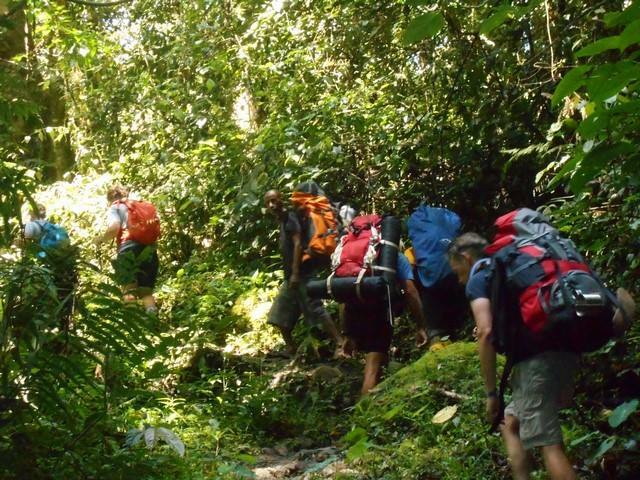 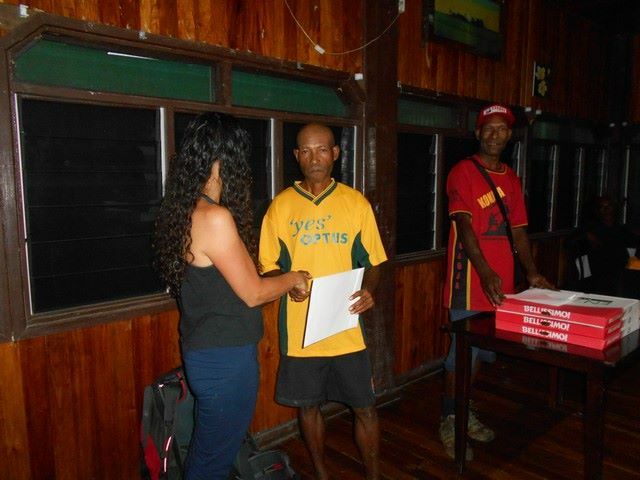 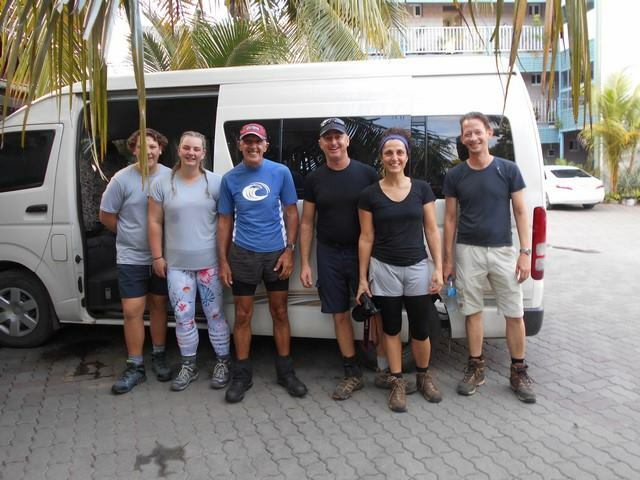 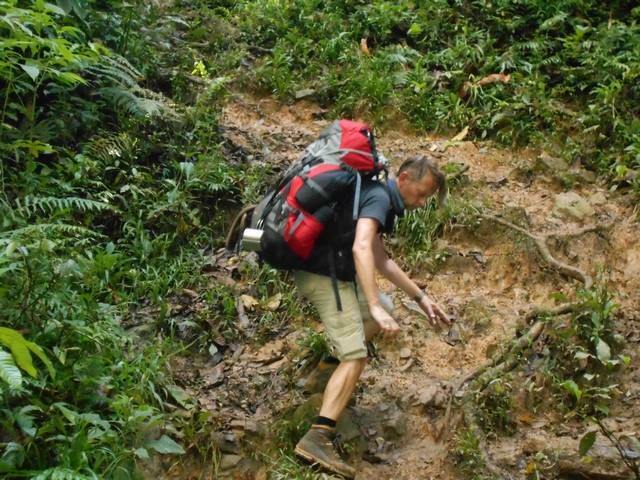 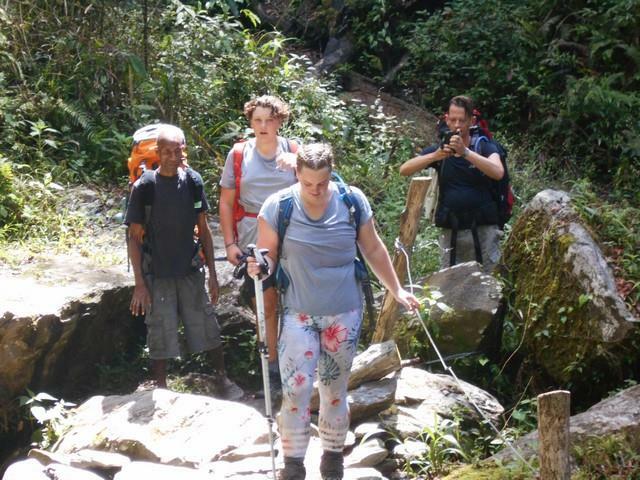 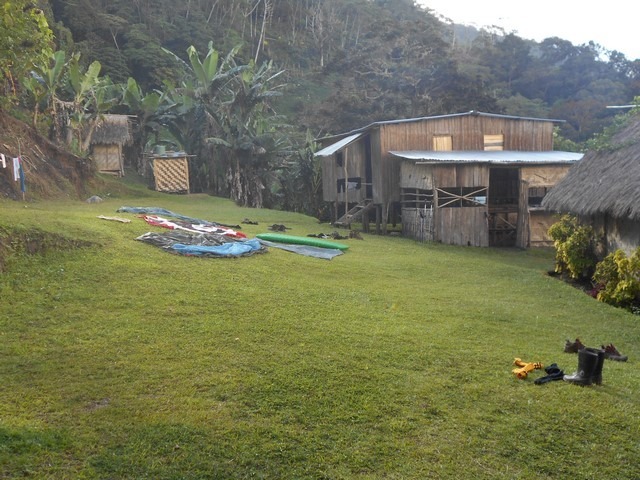 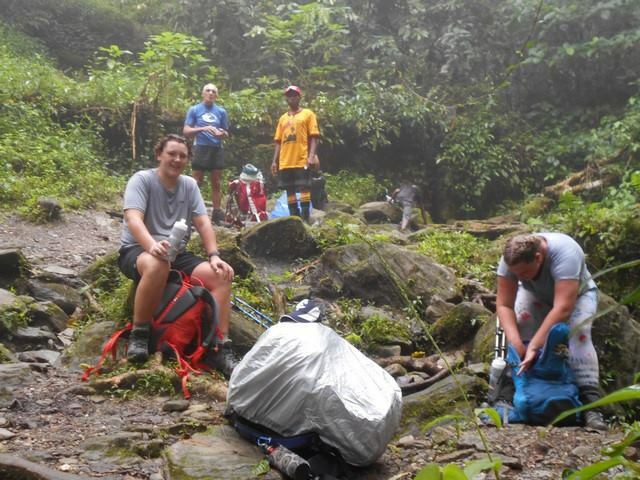 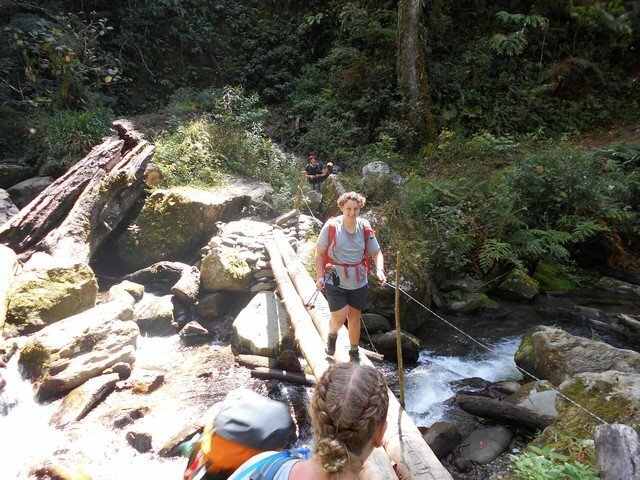 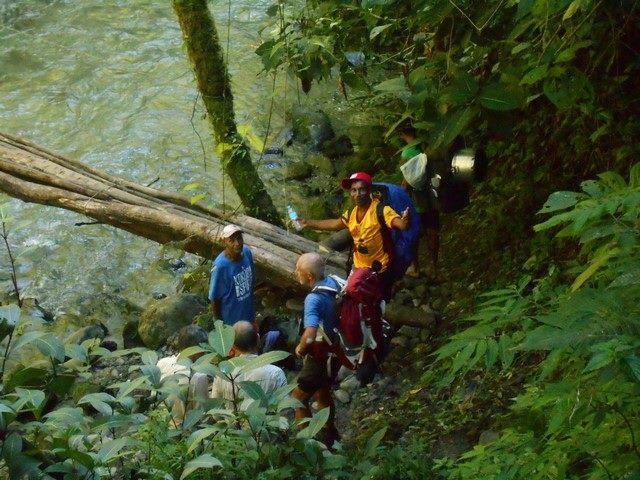 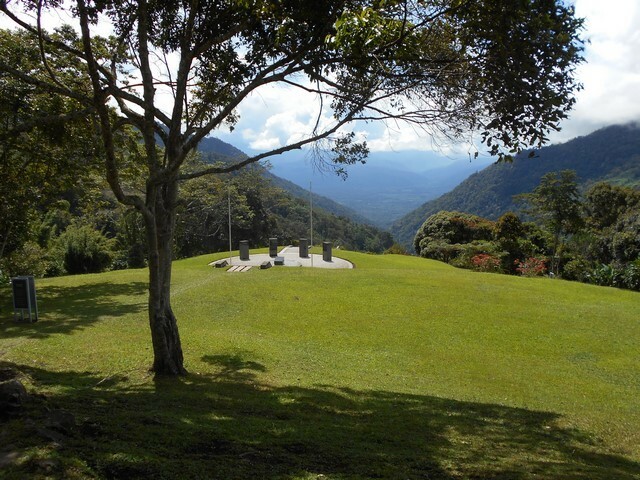 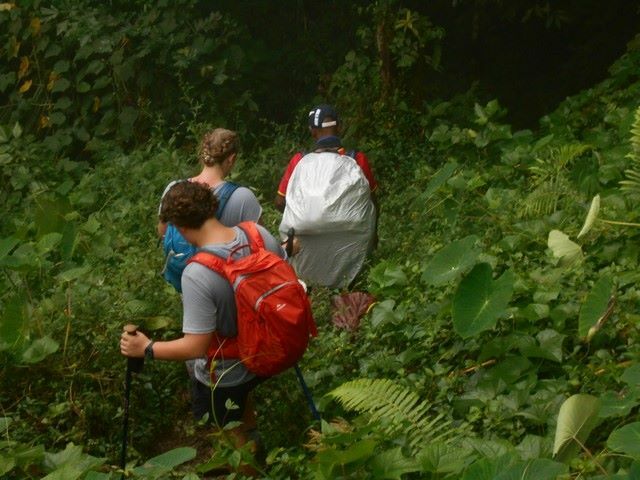 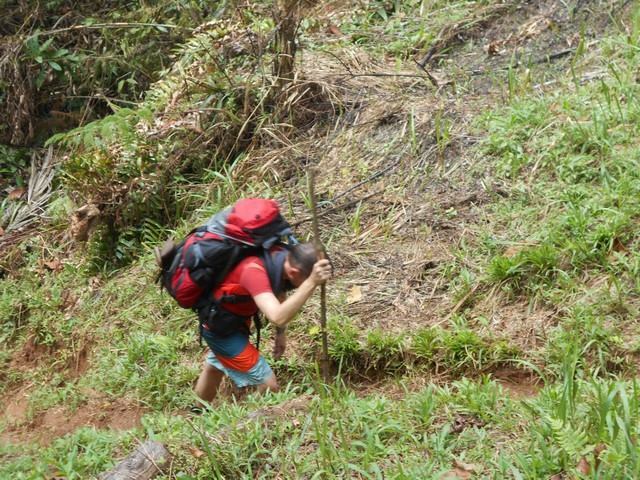 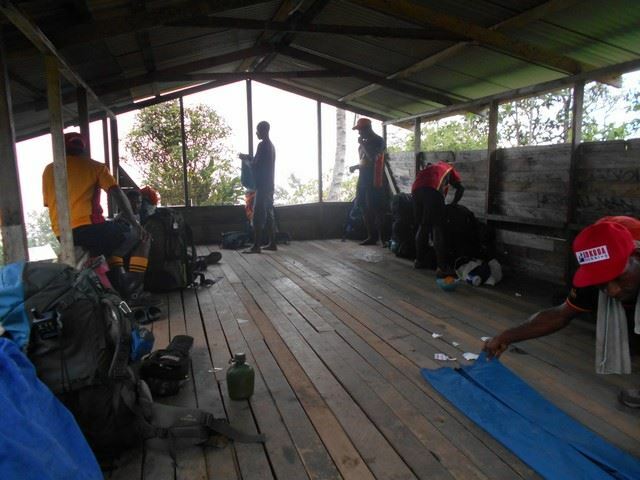 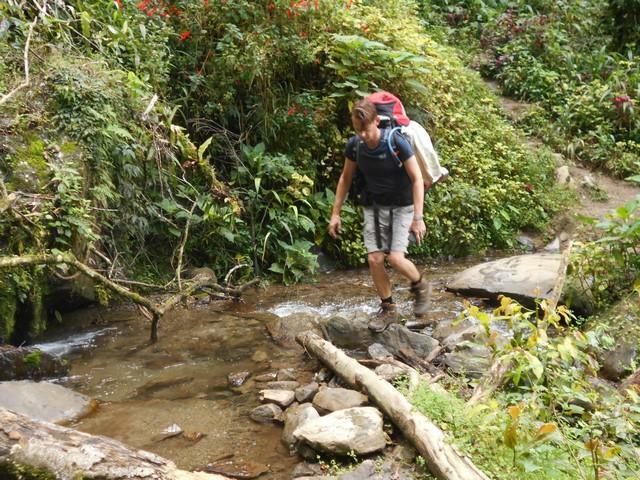 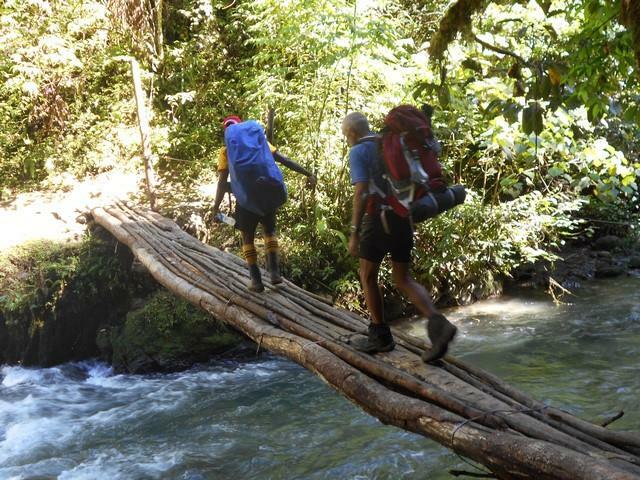 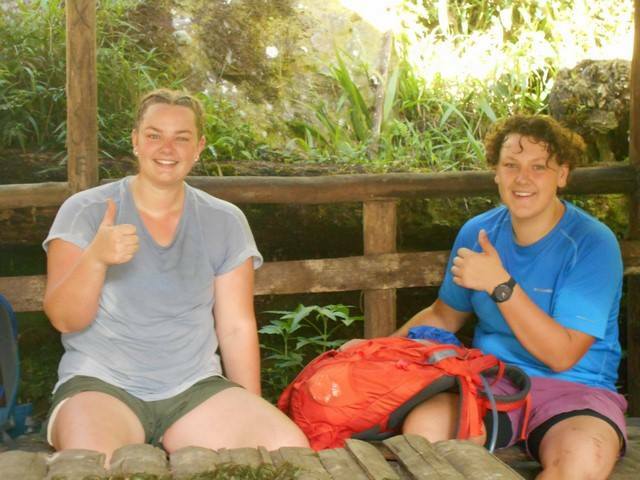 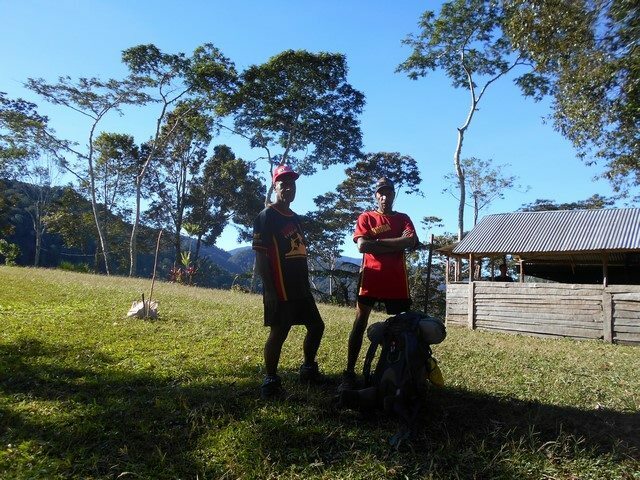 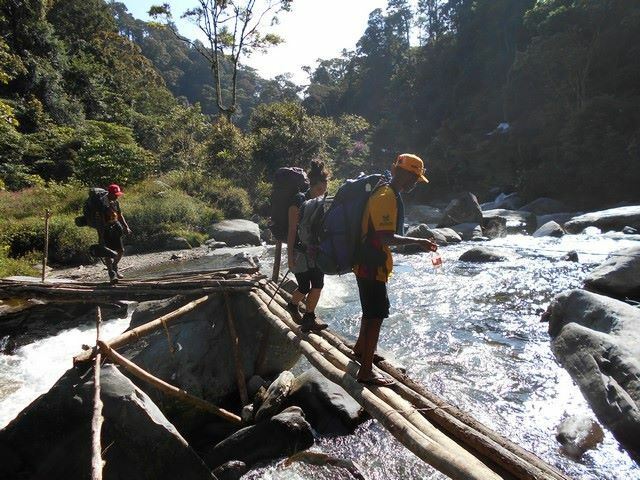 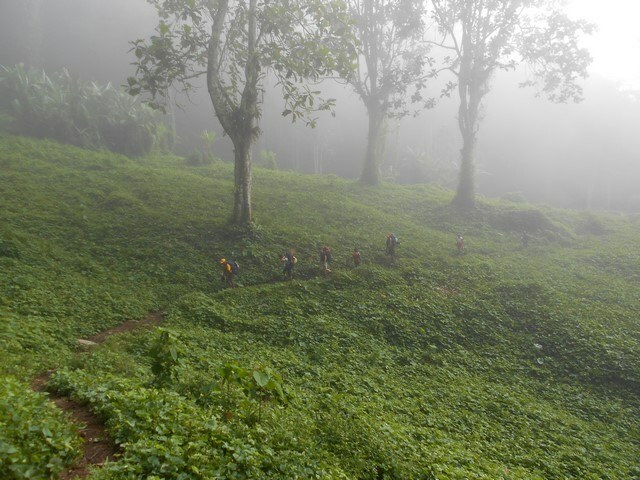 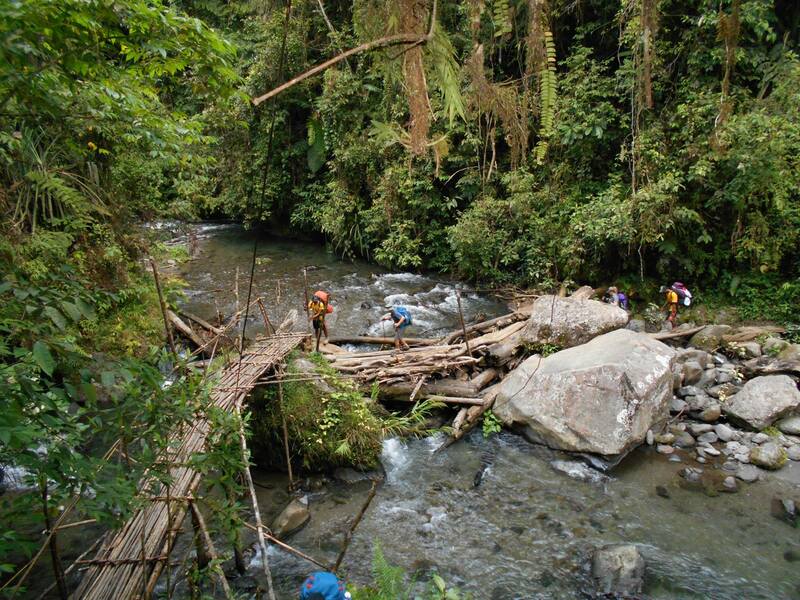 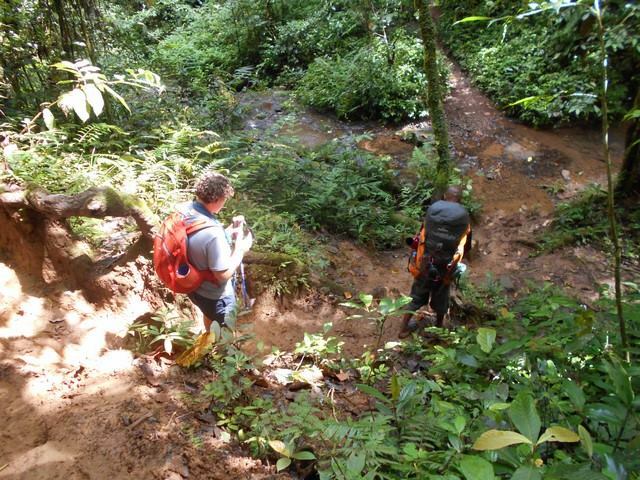 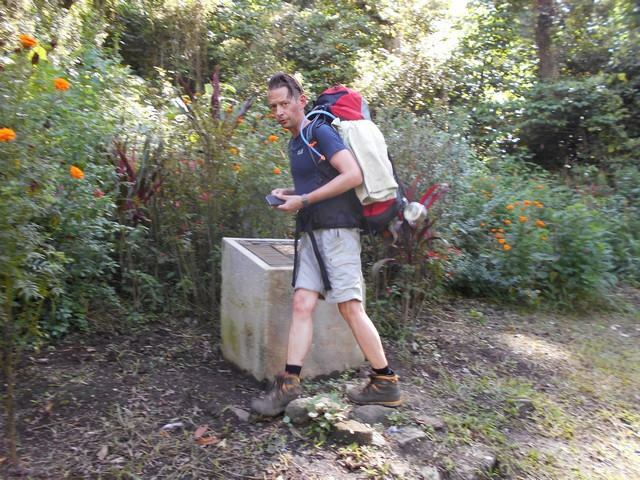 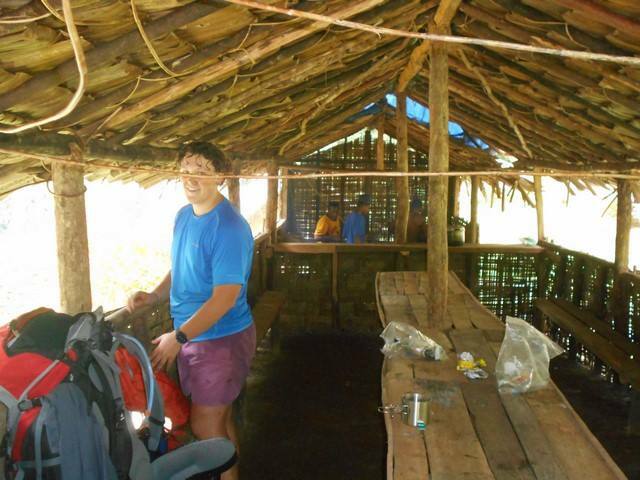 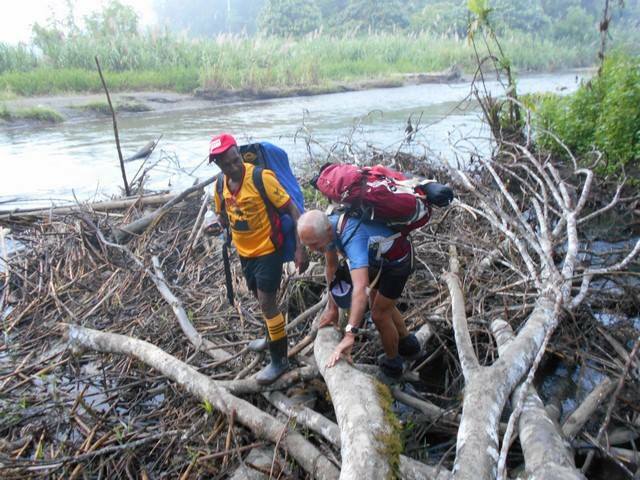 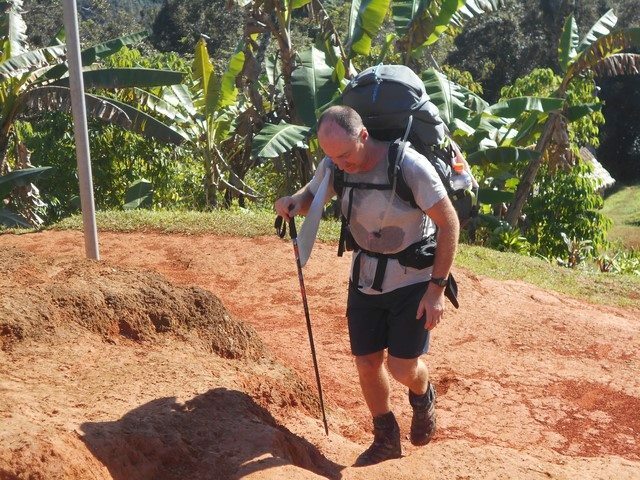 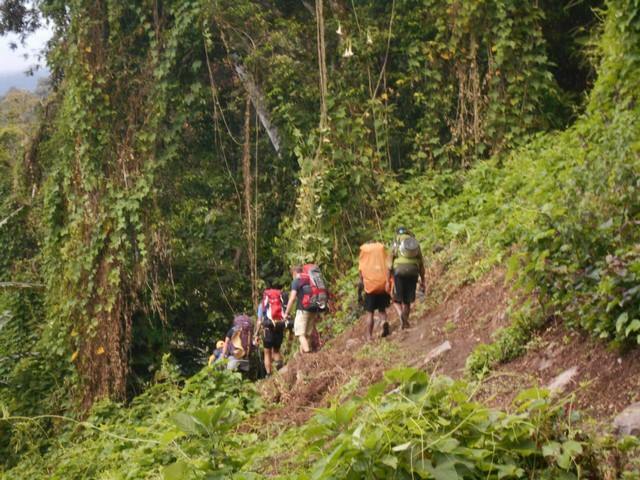 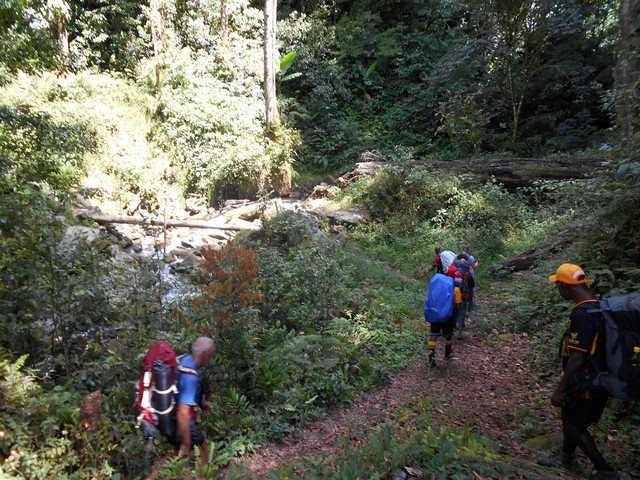 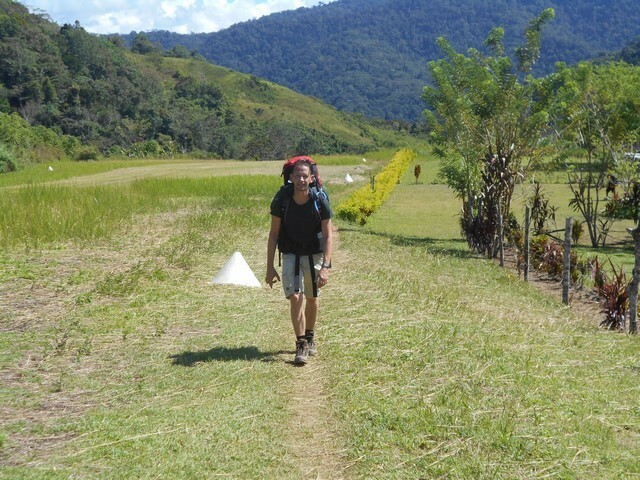 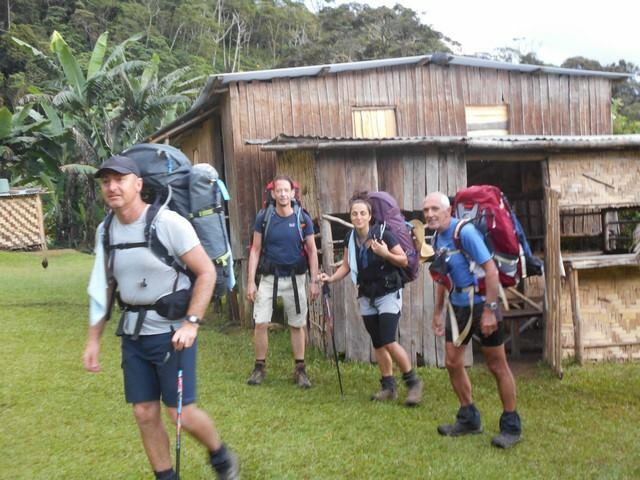 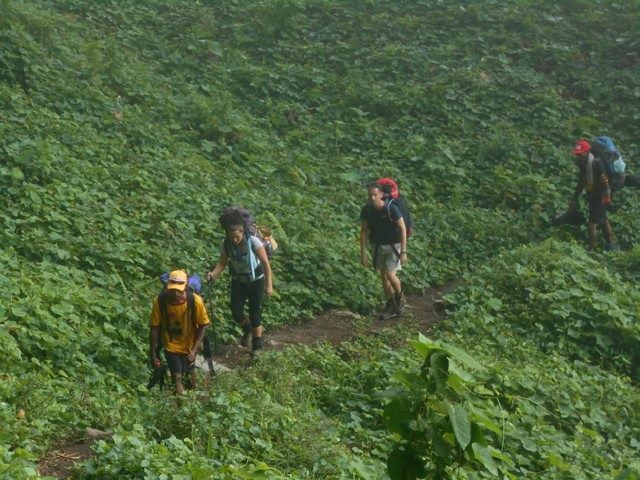 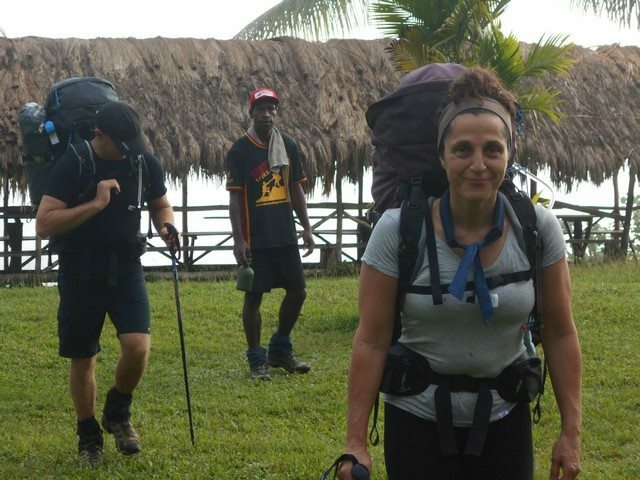 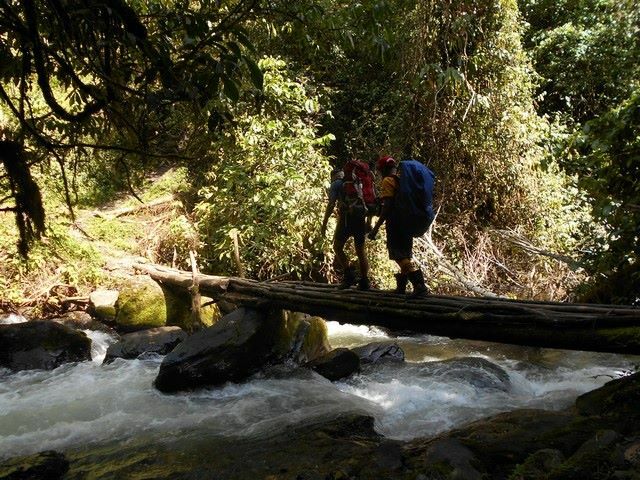 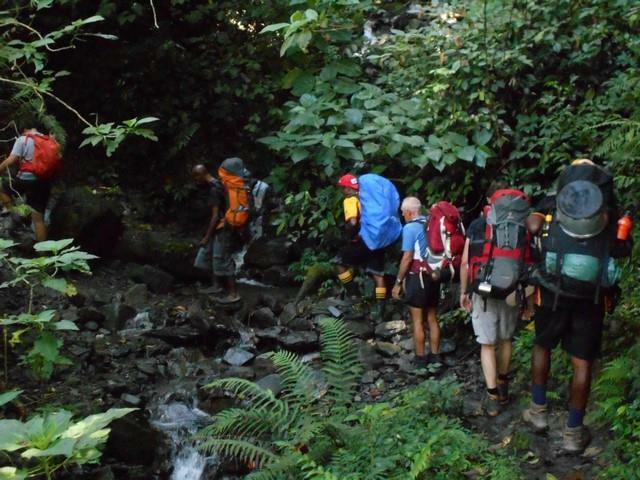 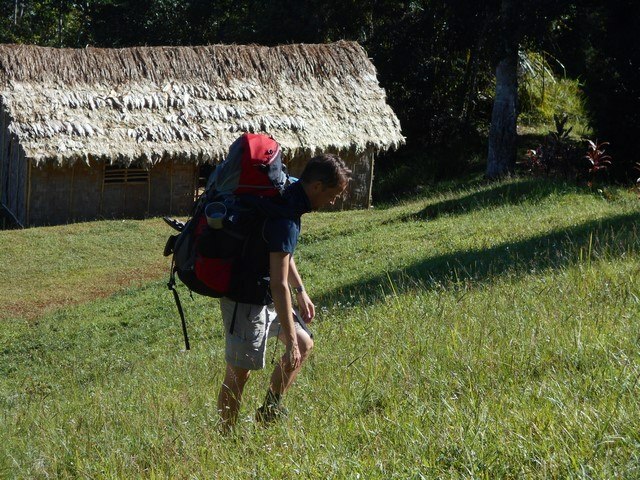 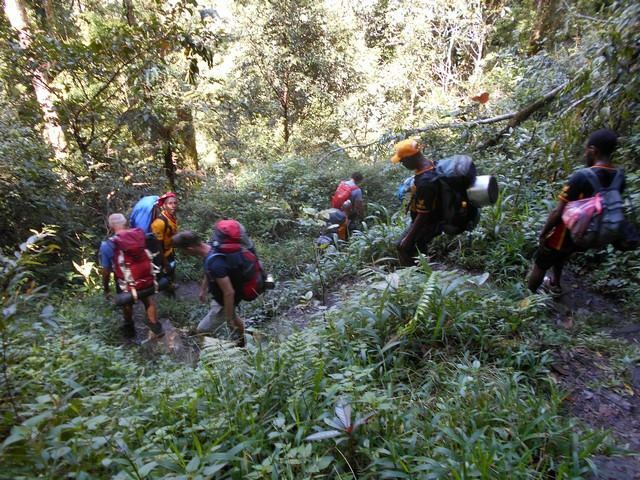 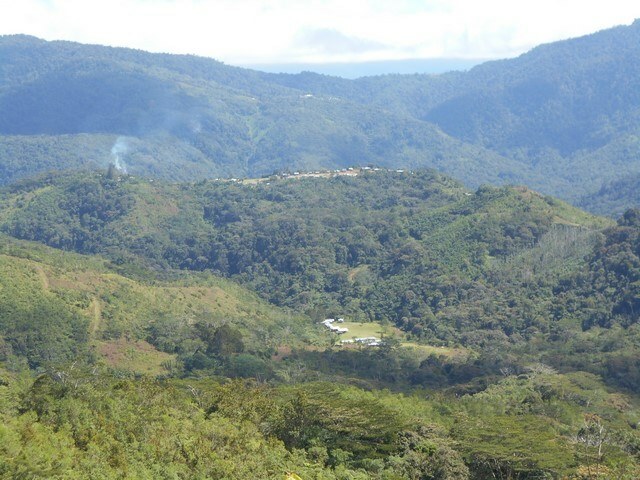 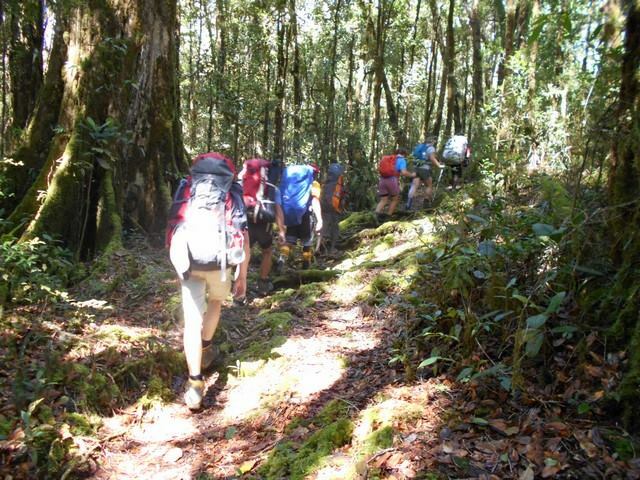 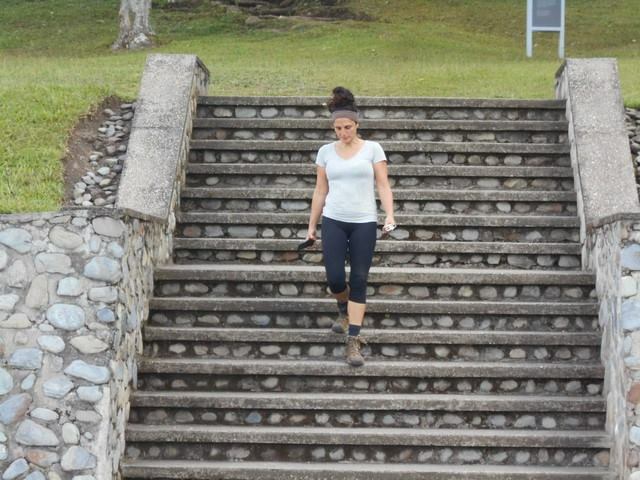 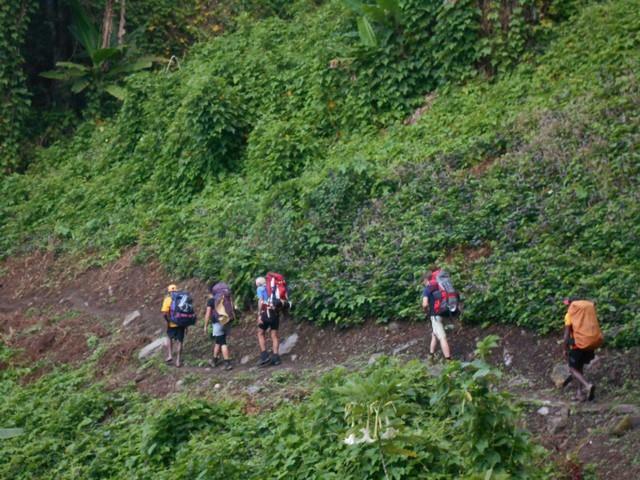 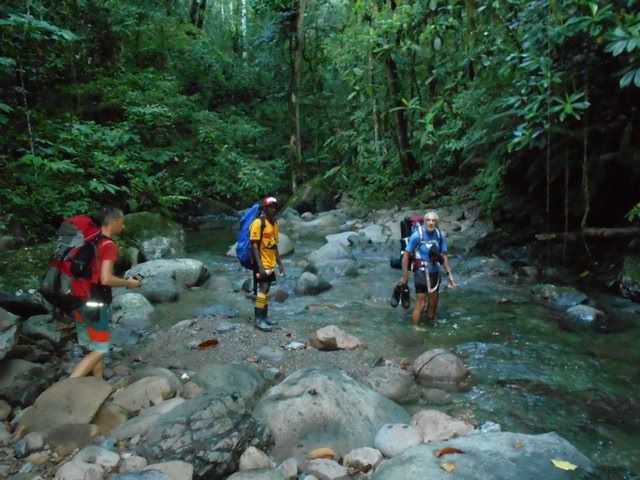 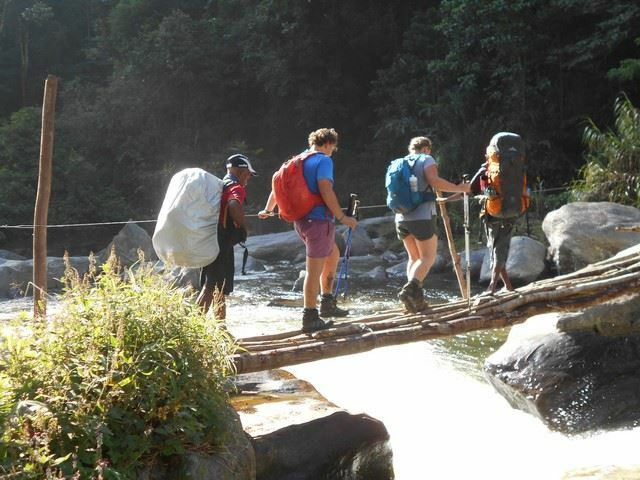 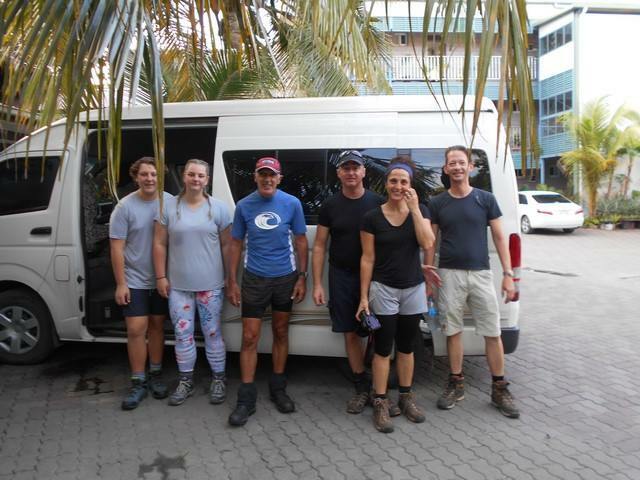 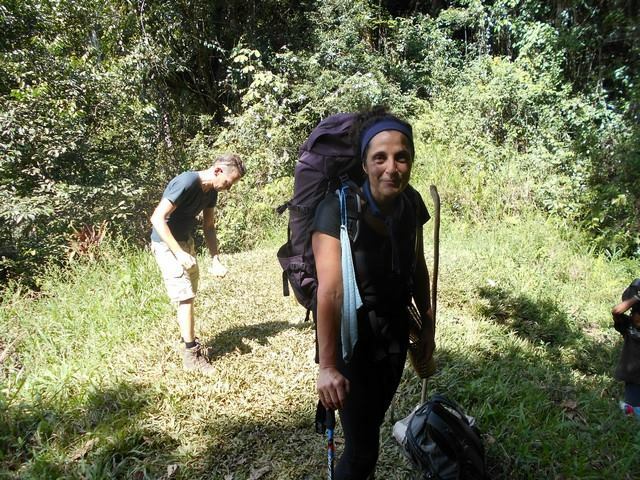 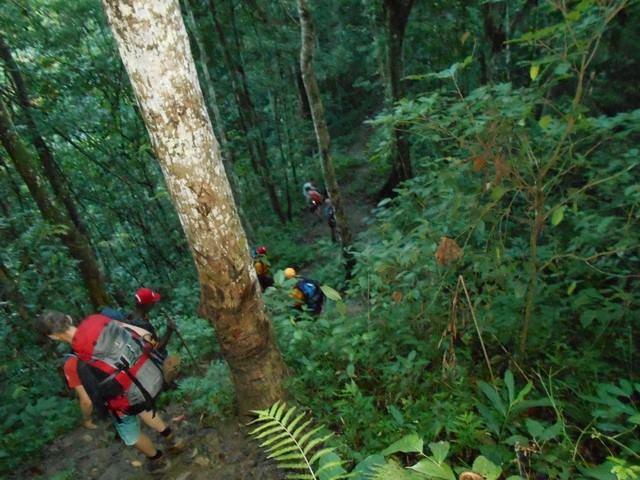 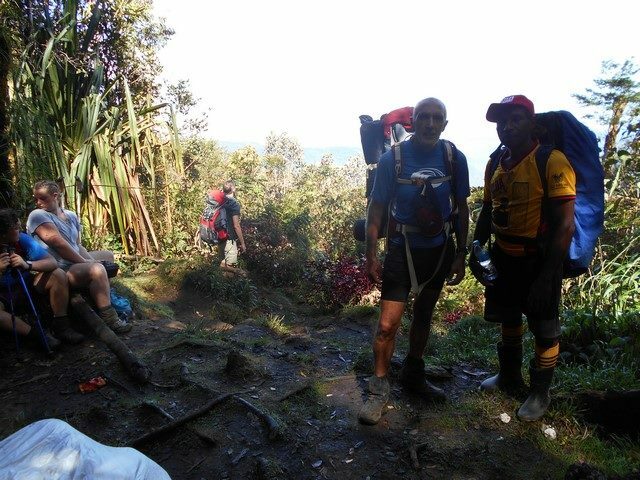 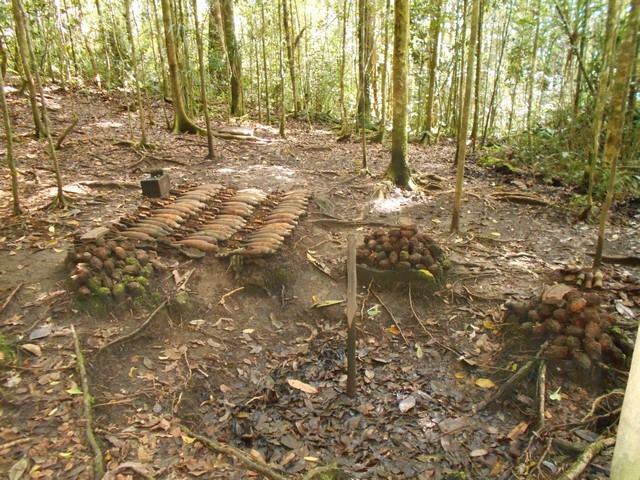 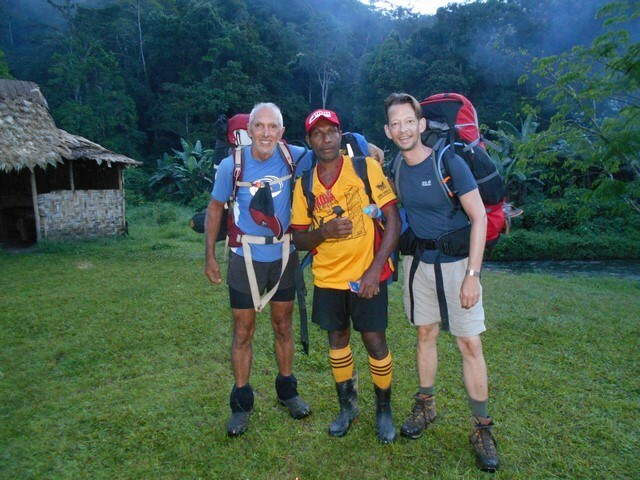 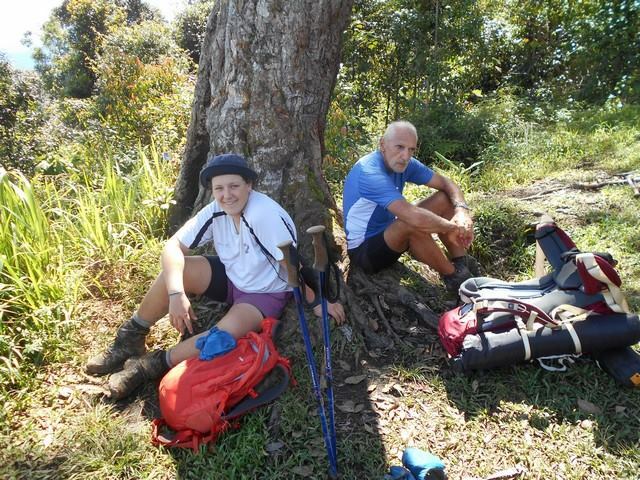 Trek 1112: This group have now reached Agulogo and a few have developed blisters but all ok. 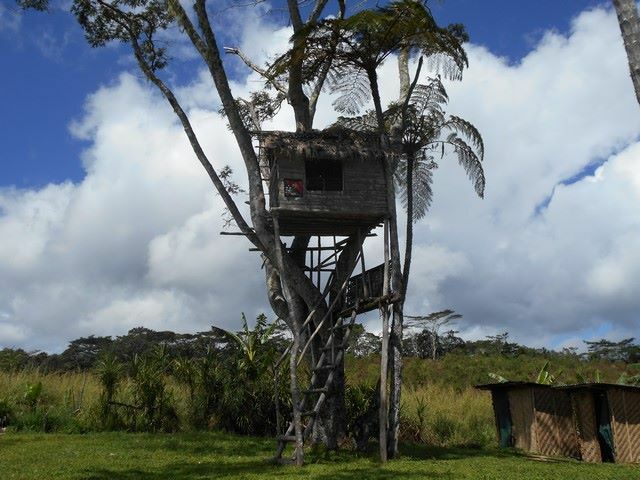 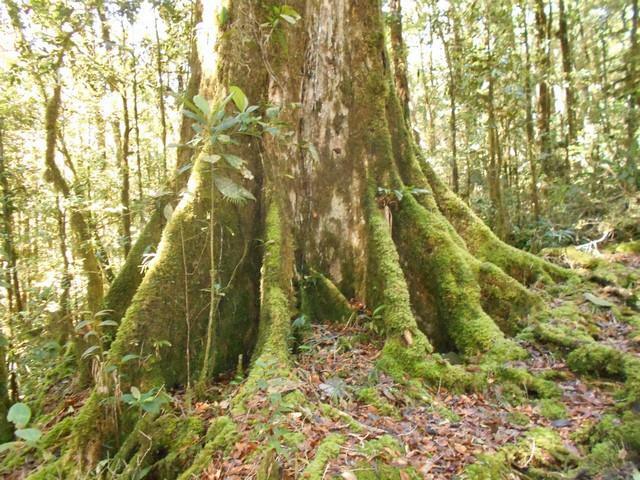 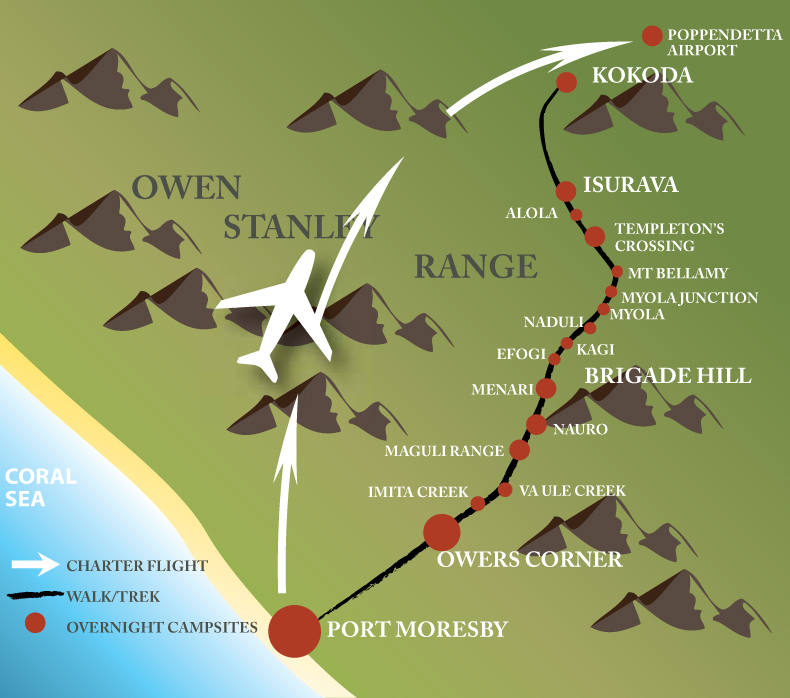 Tomorrow they head to Ioribaiwa for the night. 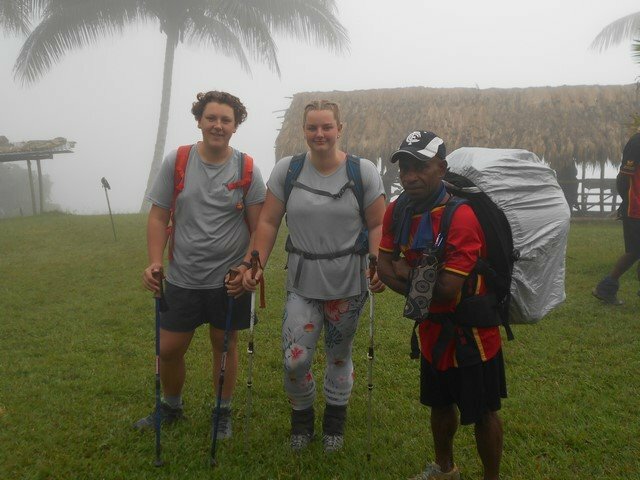 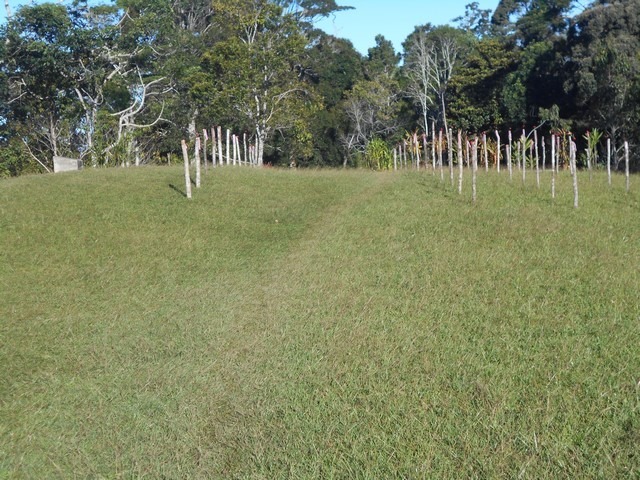 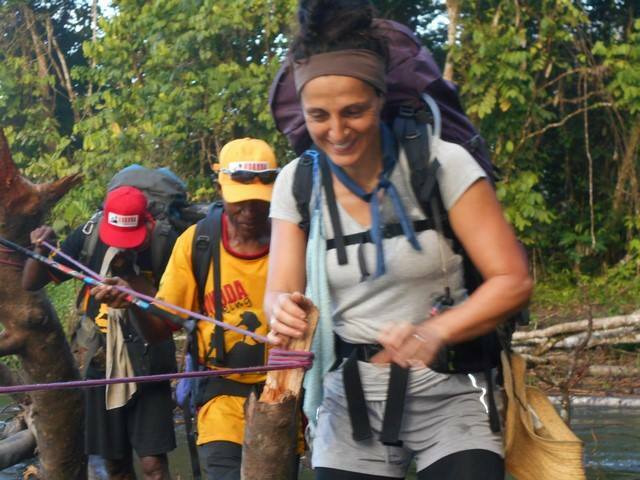 After leaving Efogi this morning they made their way up Brigade Hill, then walked through Menari Village before reaching Agulogo campsite area. 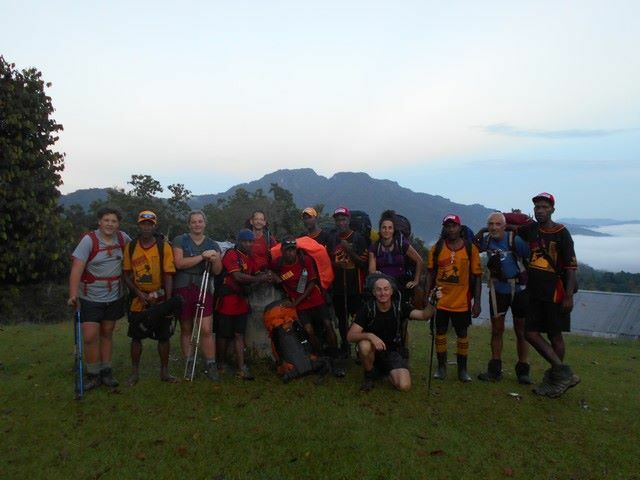 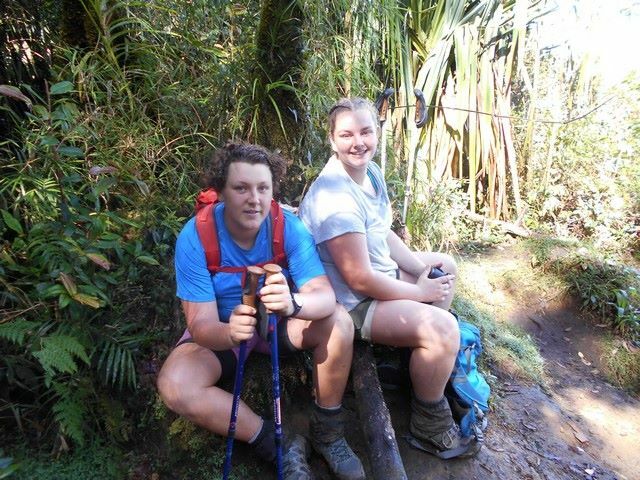 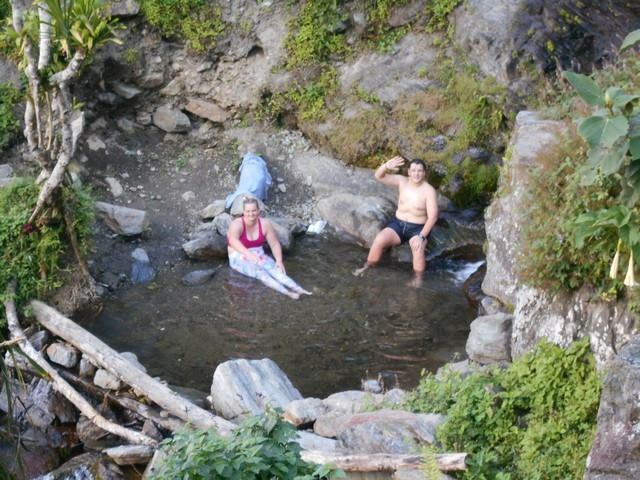 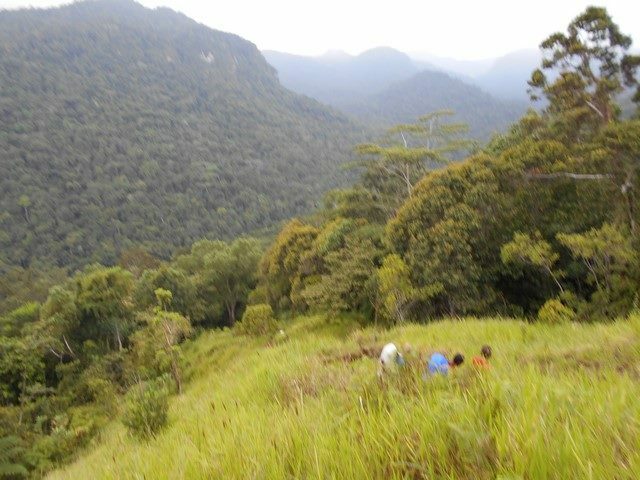 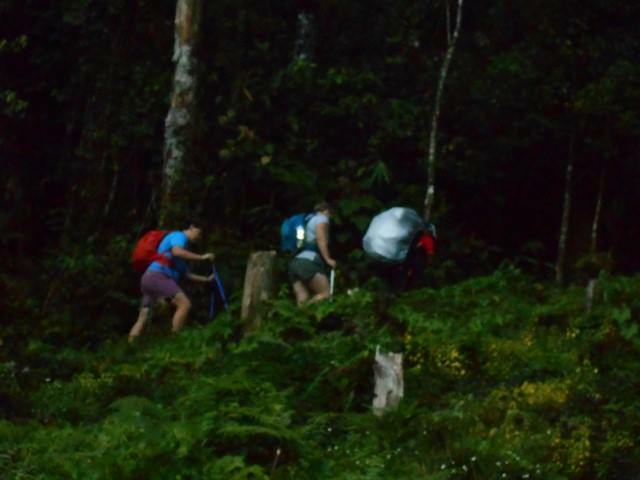 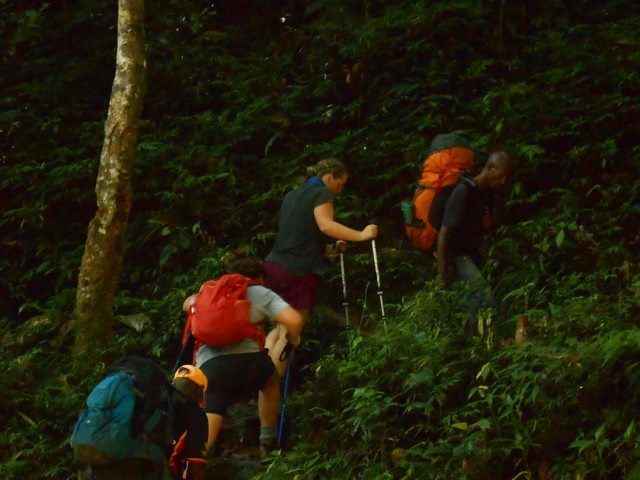 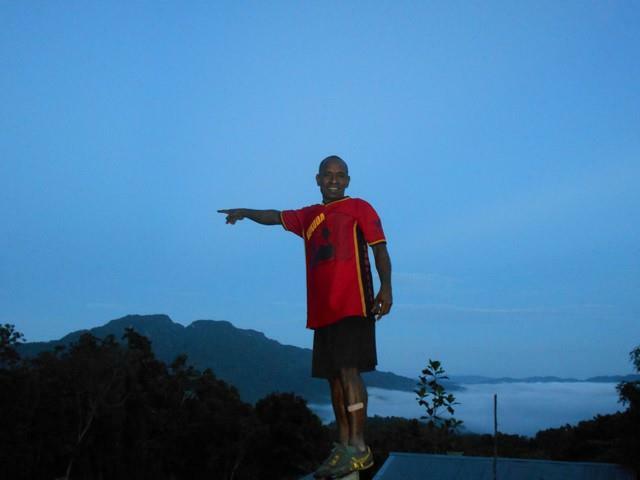 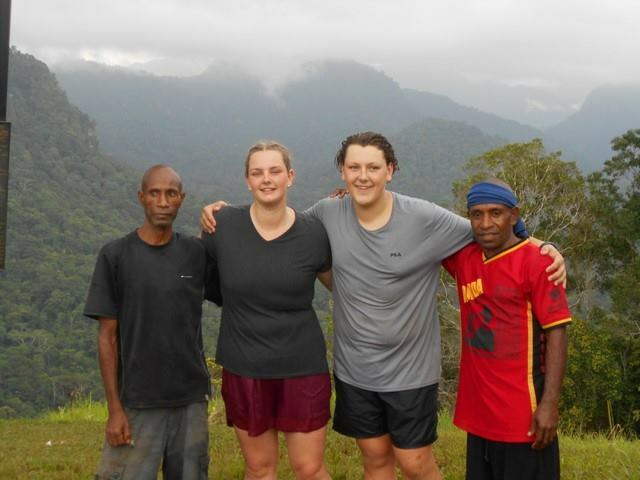 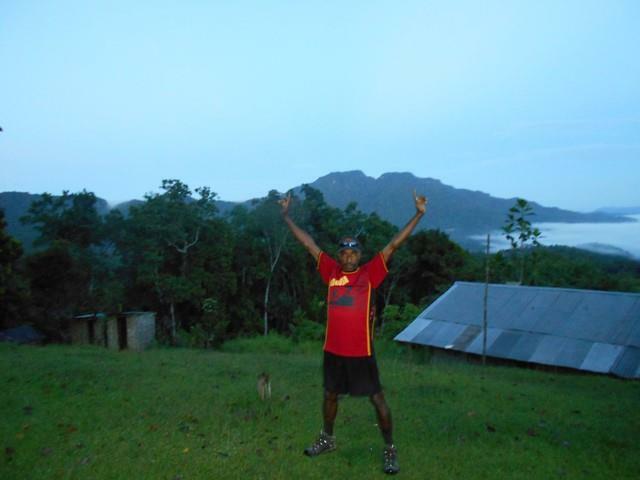 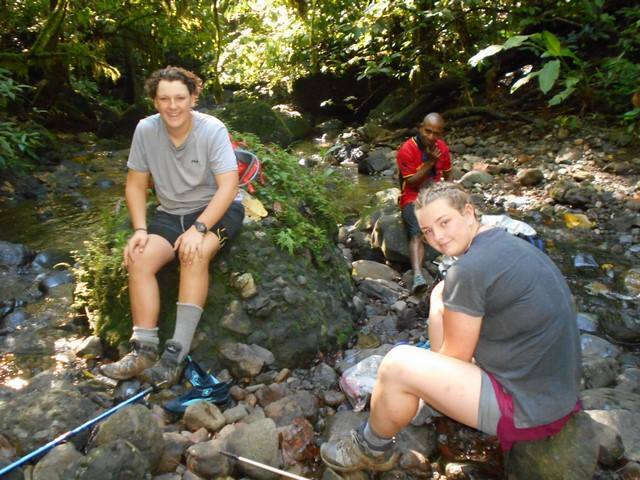 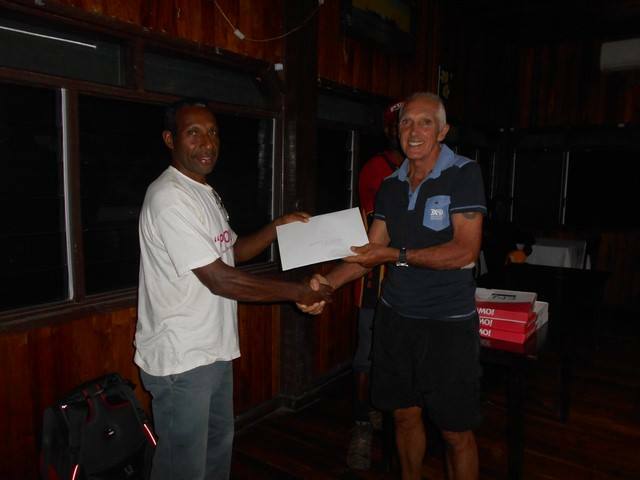 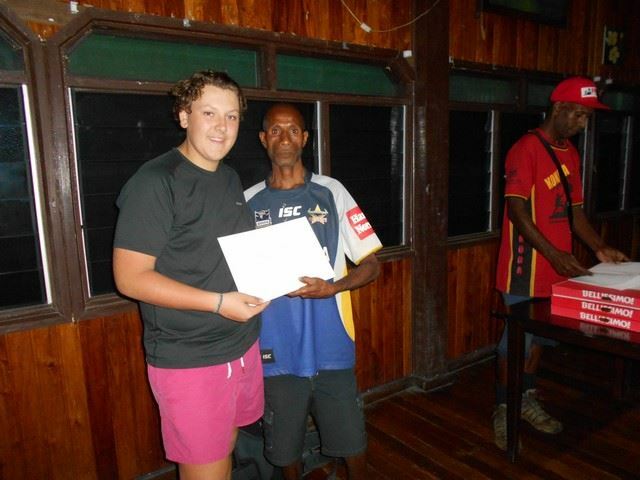 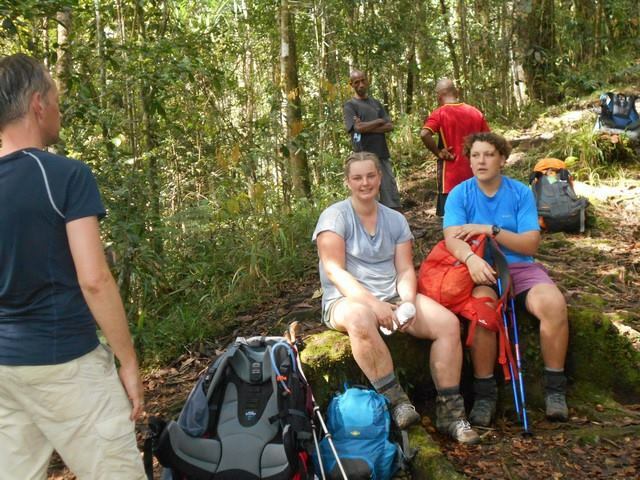 Trek 1112: This group find themselves at Ioribaiwa tonight with everyone still continuing to do well. 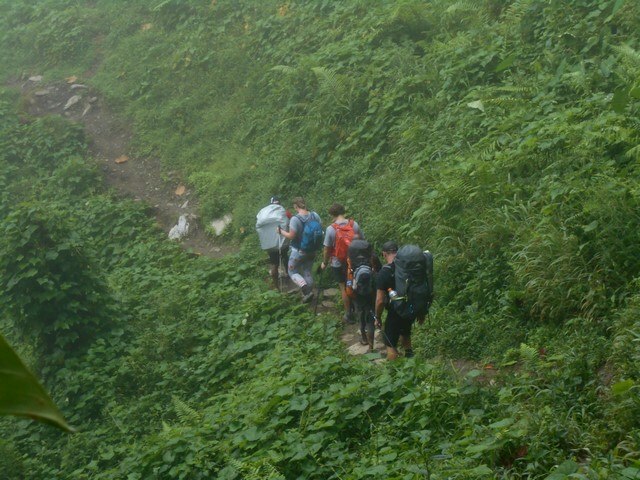 Today they experienced some rain which apparently was welcome by the group. 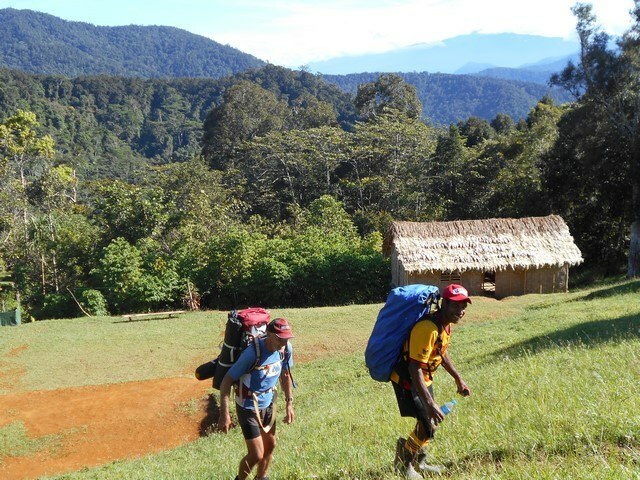 A big day on the cards come the morning when they head toward the finish line. 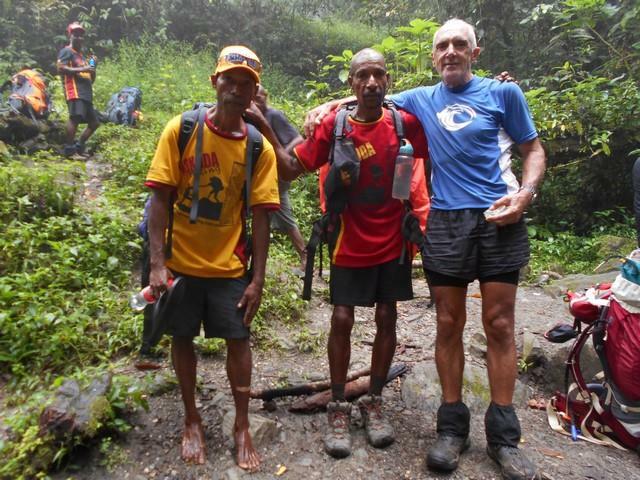 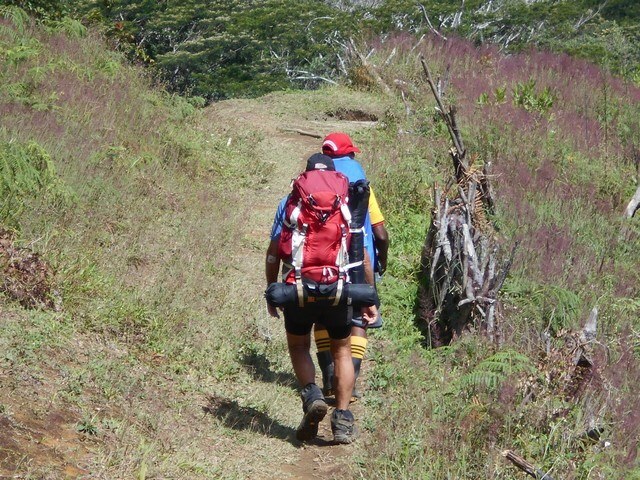 Trek 1112: A few minutes ago I spoke with Gary Juary as well as Dean at Imita Ridge. 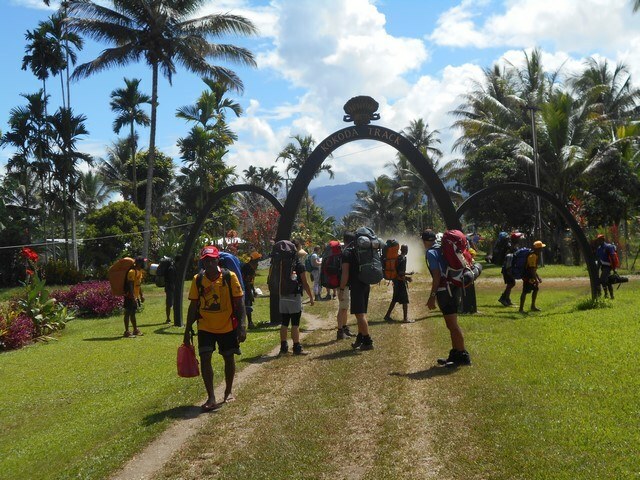 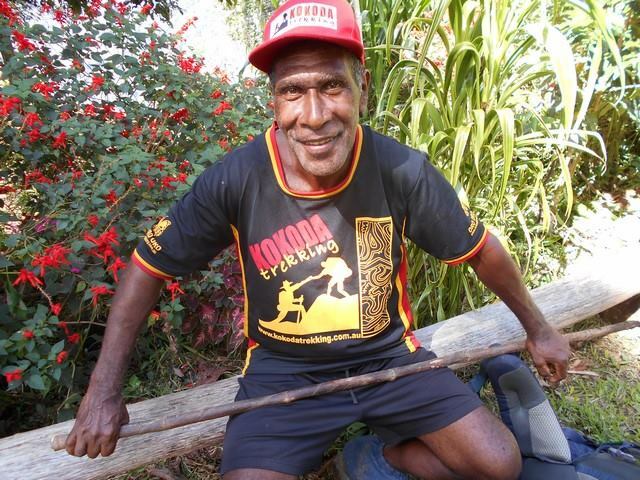 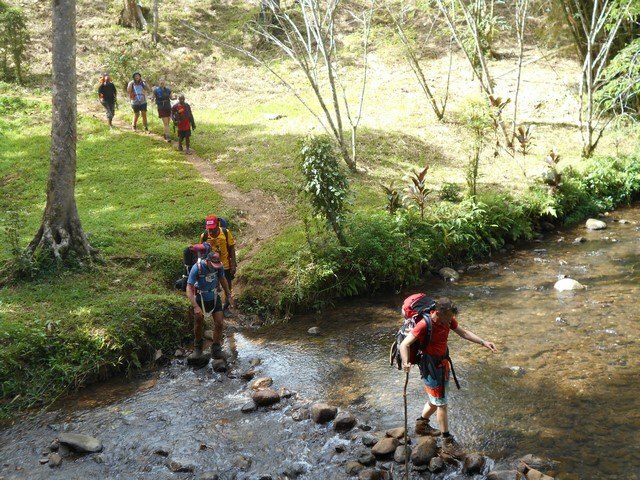 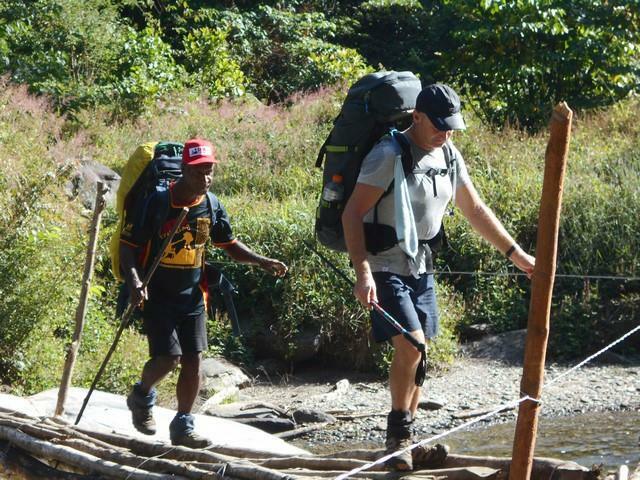 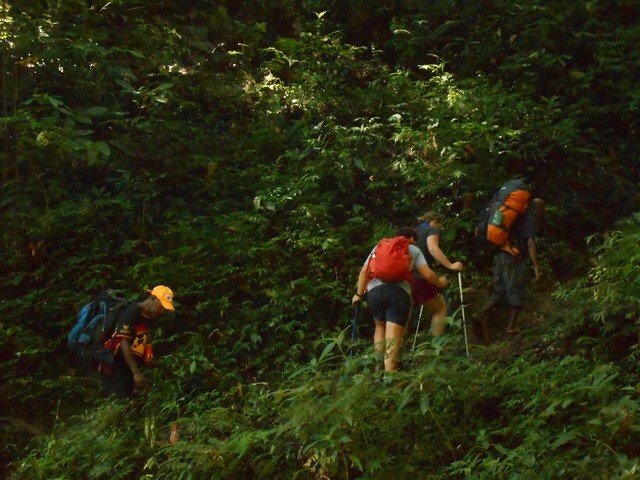 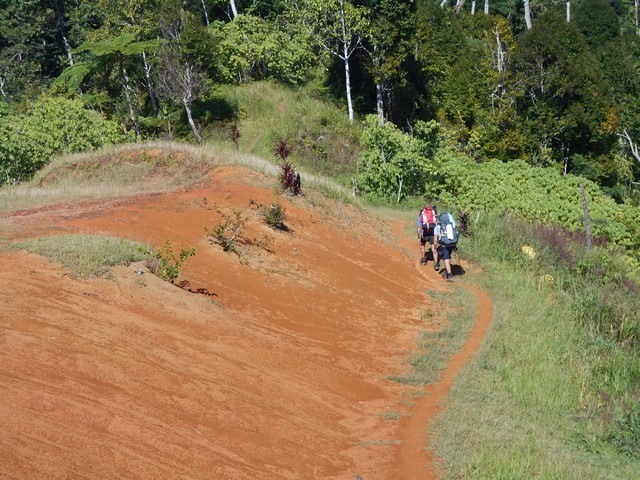 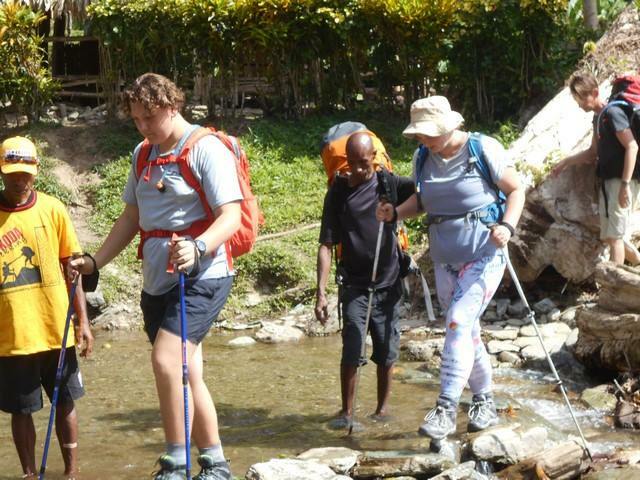 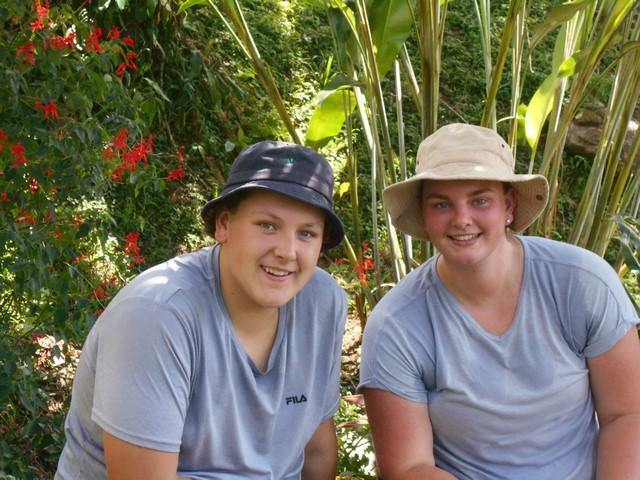 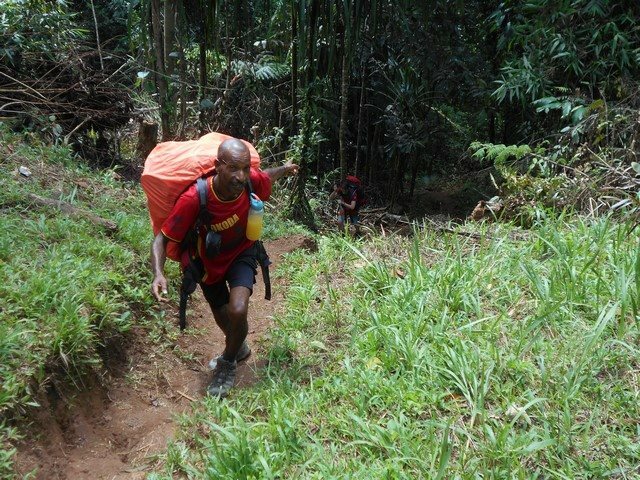 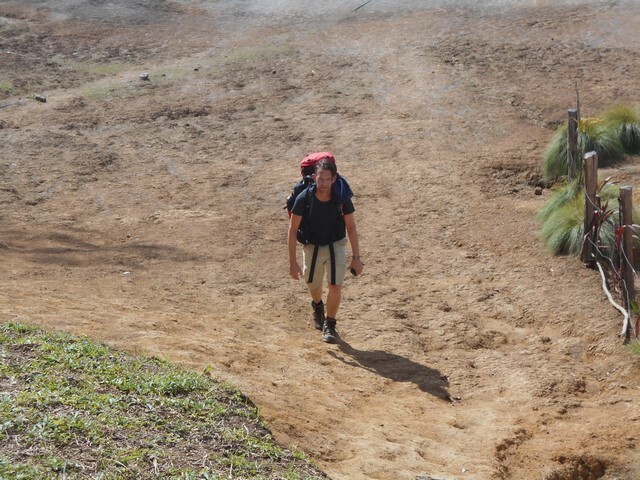 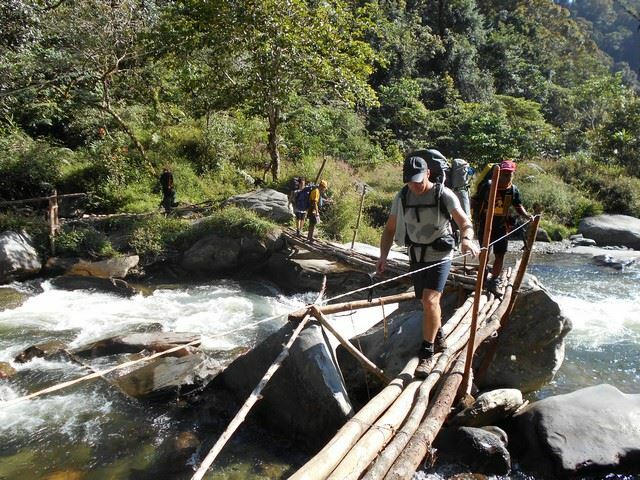 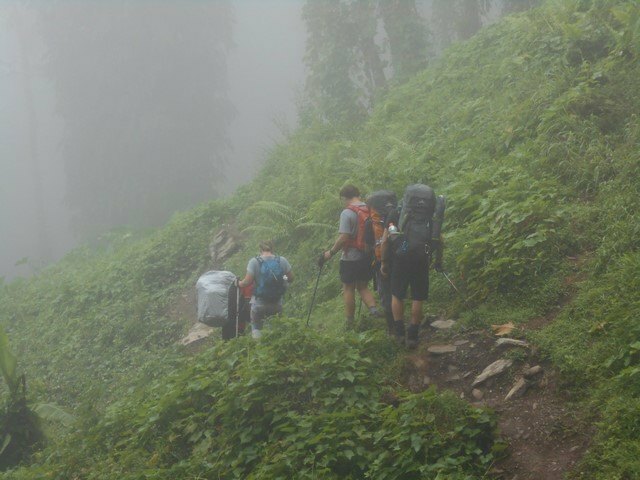 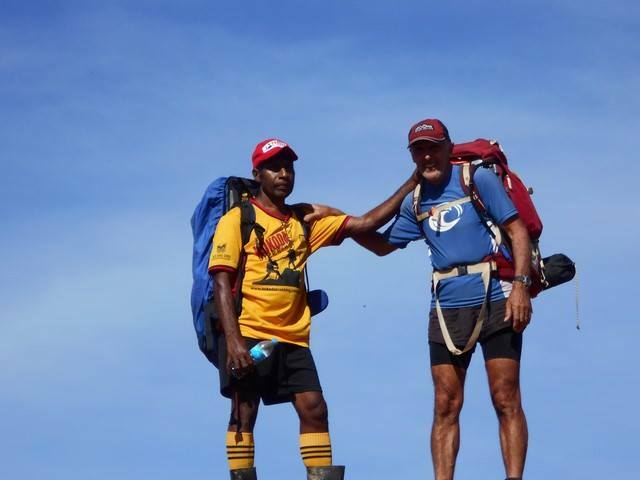 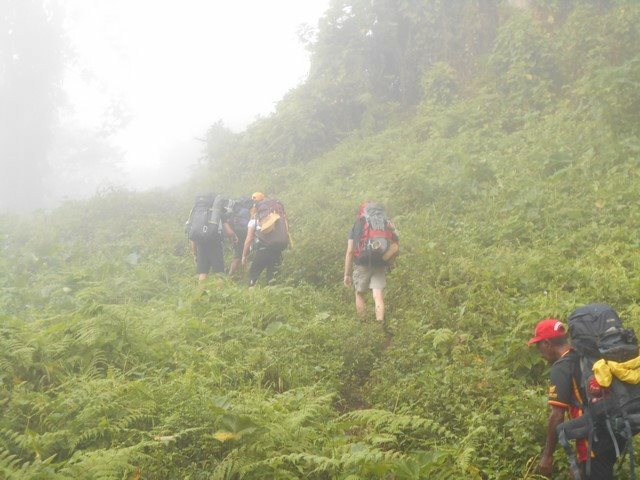 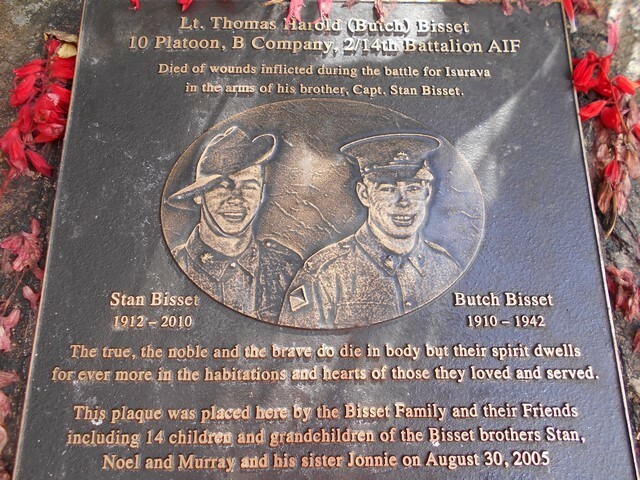 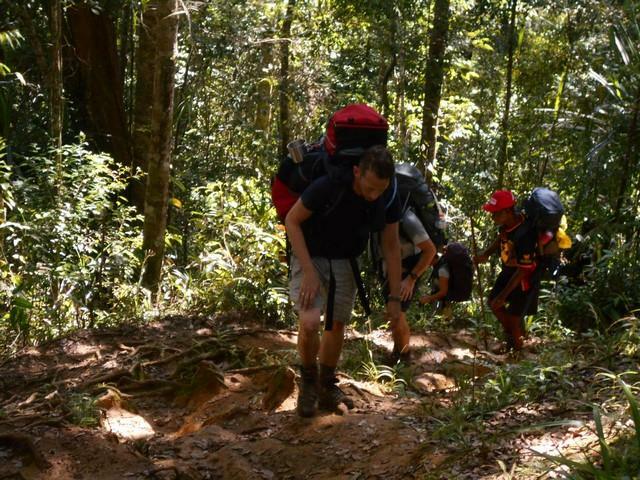 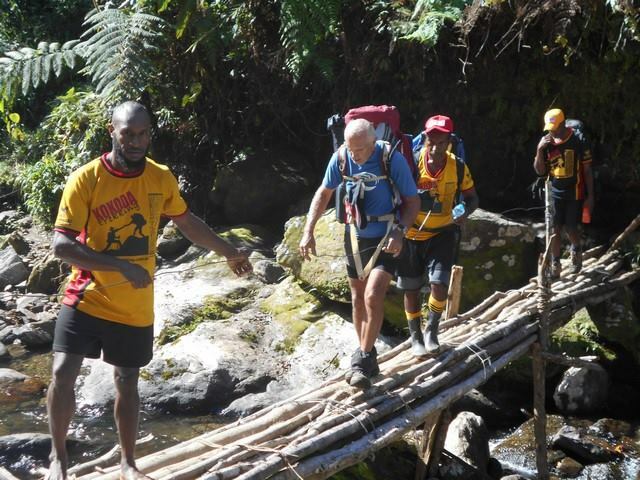 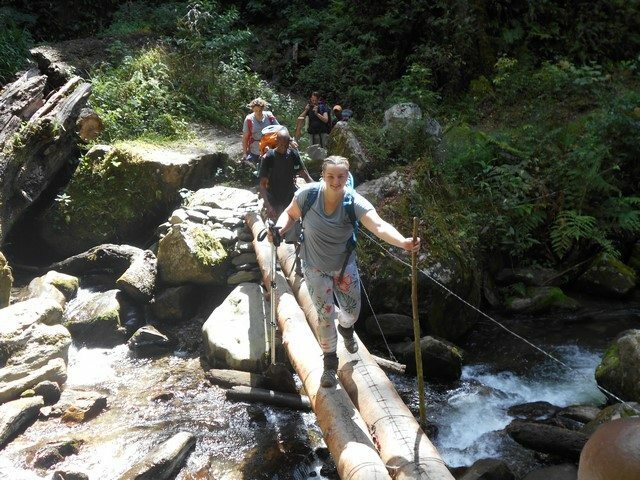 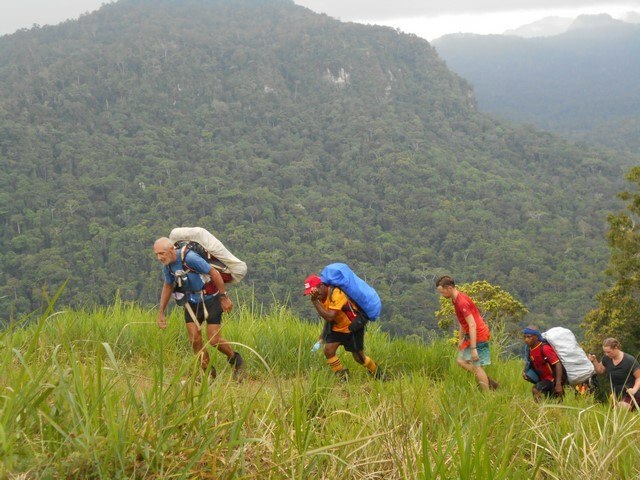 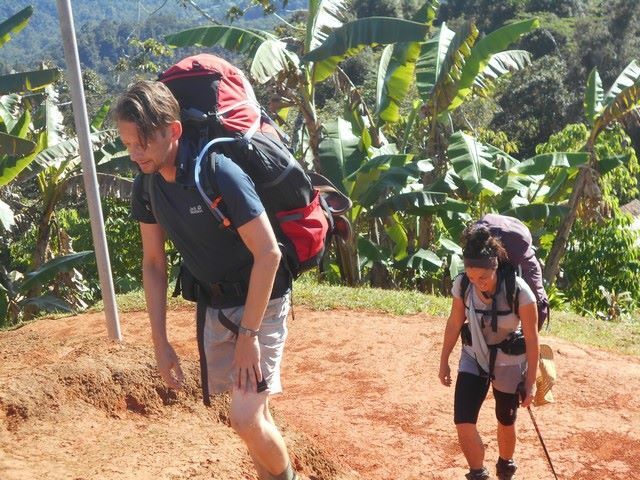 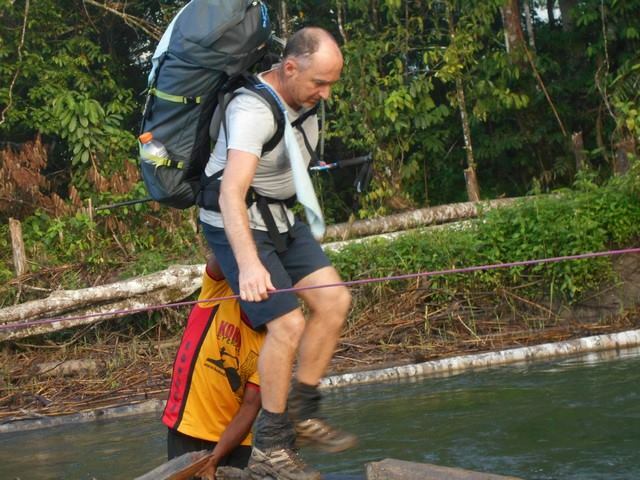 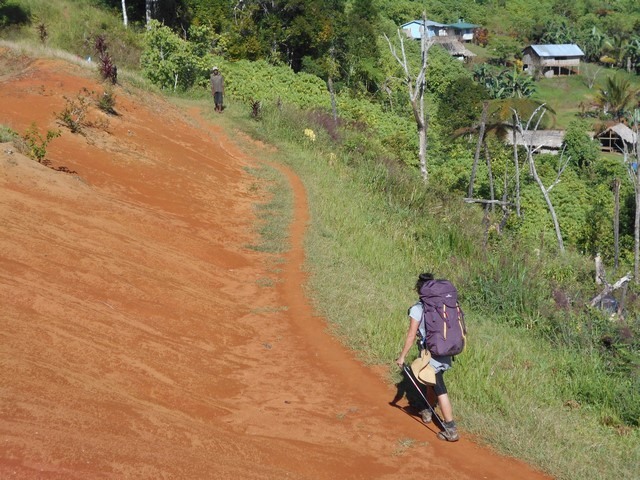 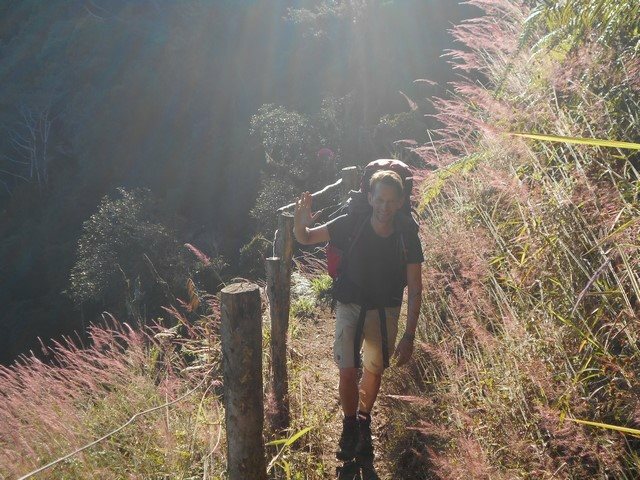 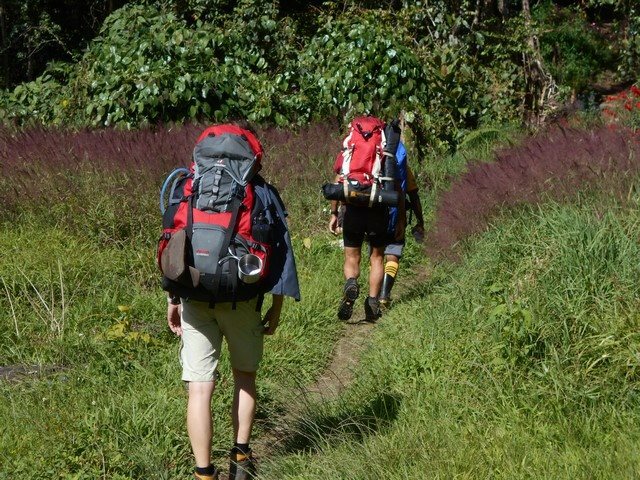 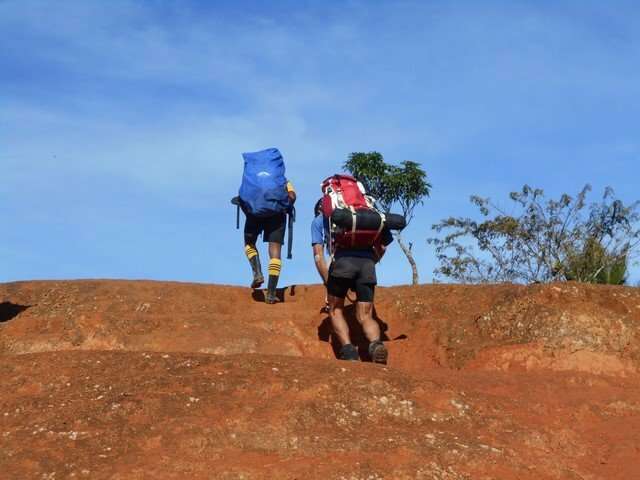 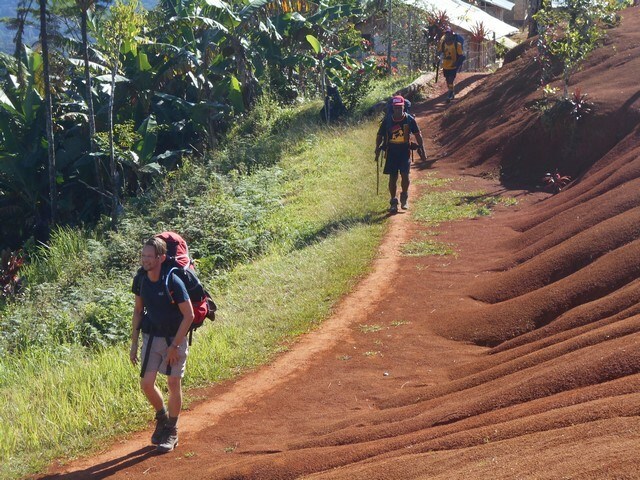 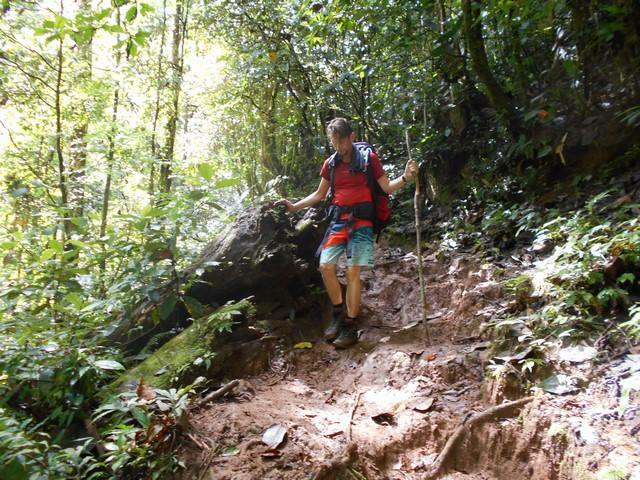 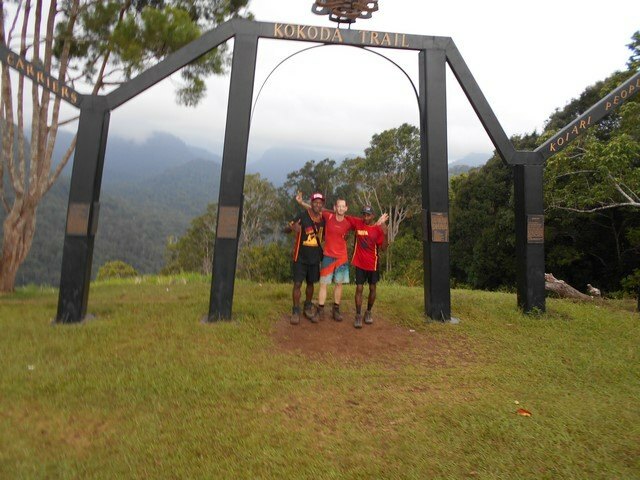 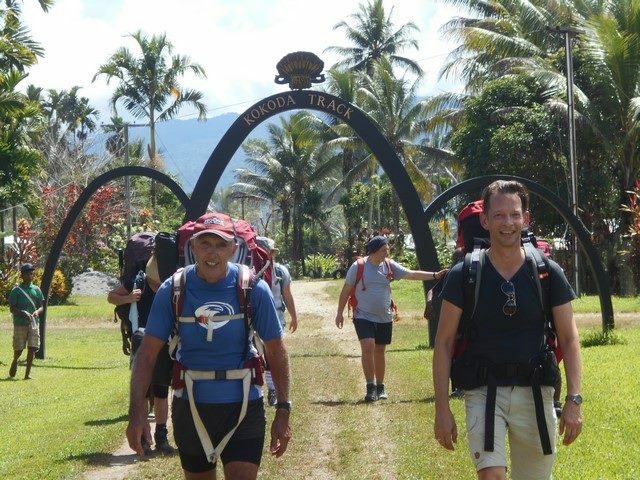 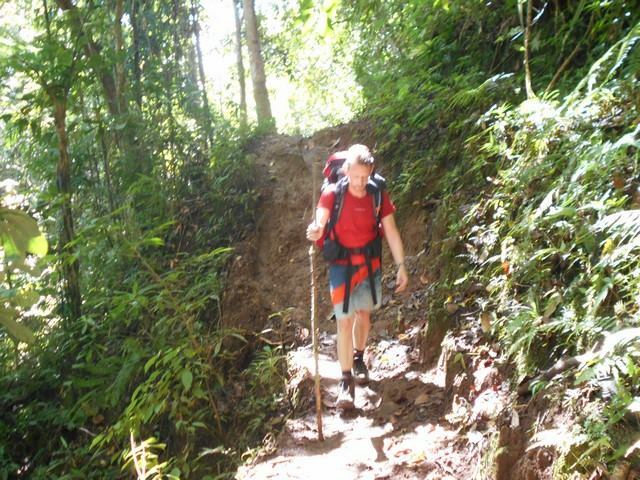 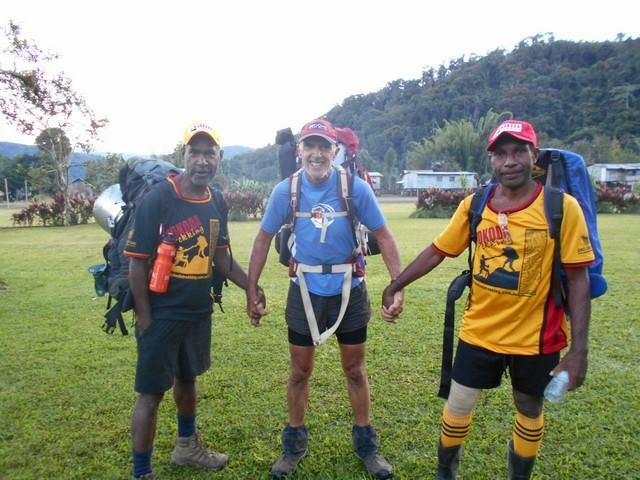 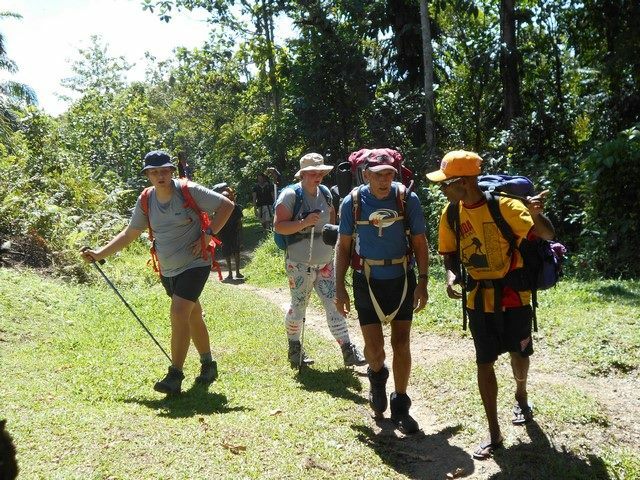 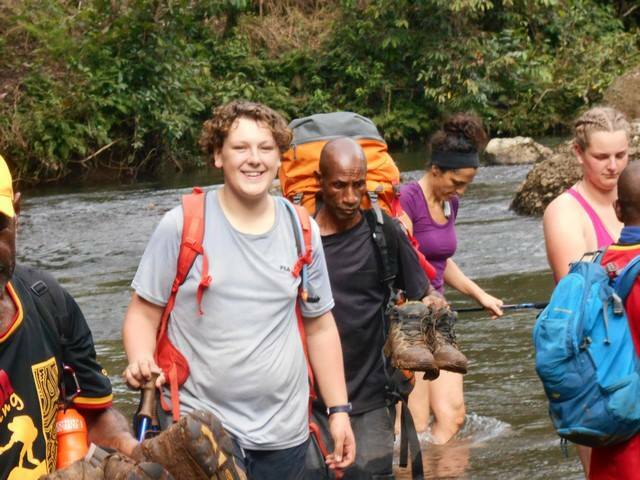 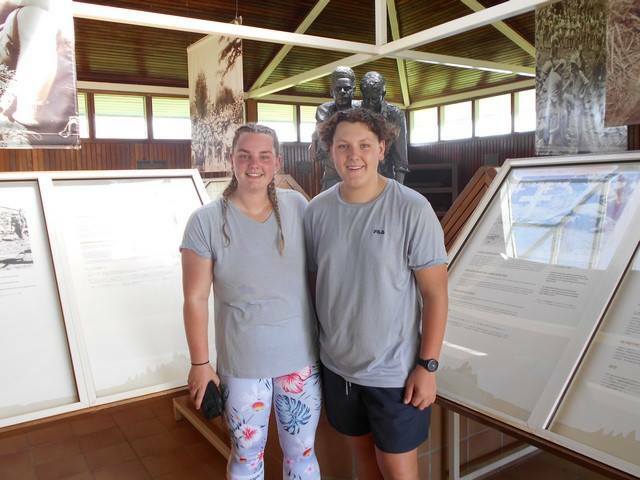 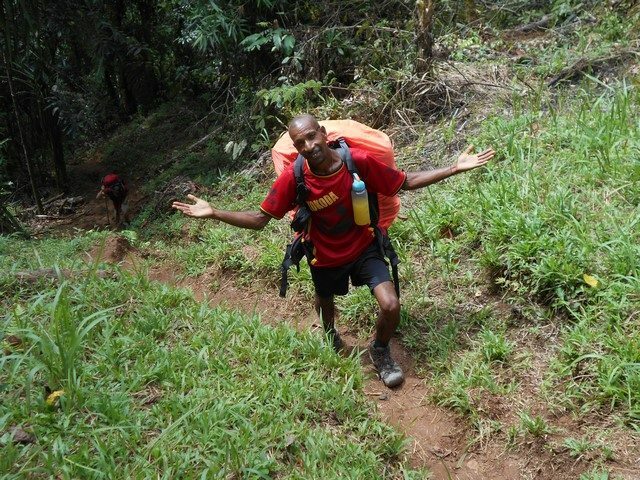 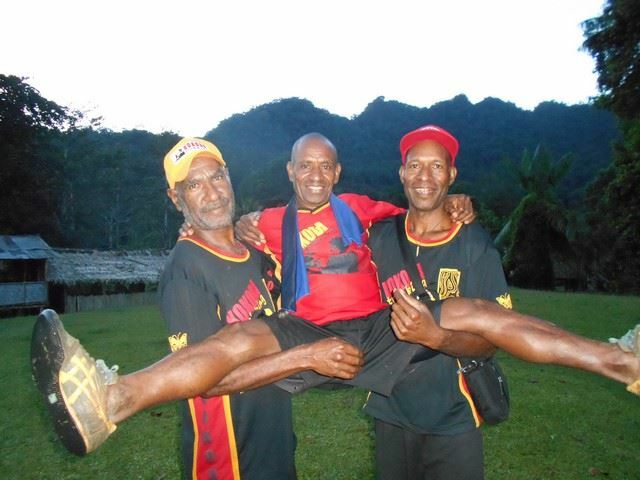 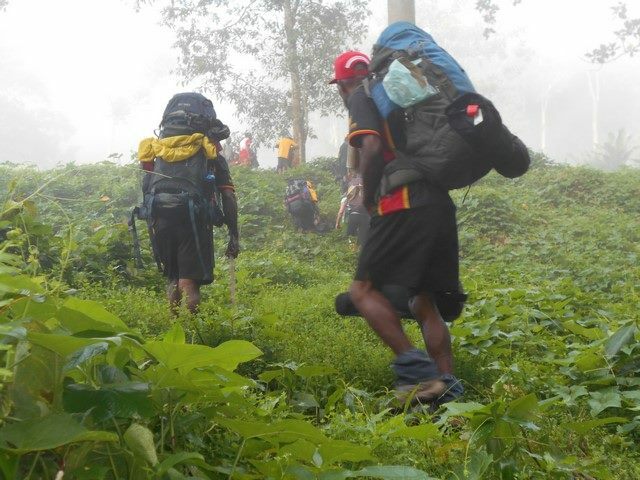 The trek is going along just fine and it seems they are all having a great time and our KTL boys are looking after them as they walk along the track. 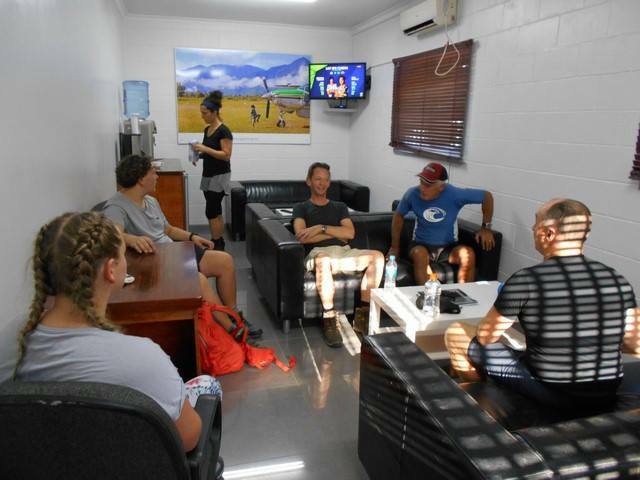 Rather than overnight at Goodwater or Goldie River tonight a decision has been made for them to walk off the track later this afternoon. 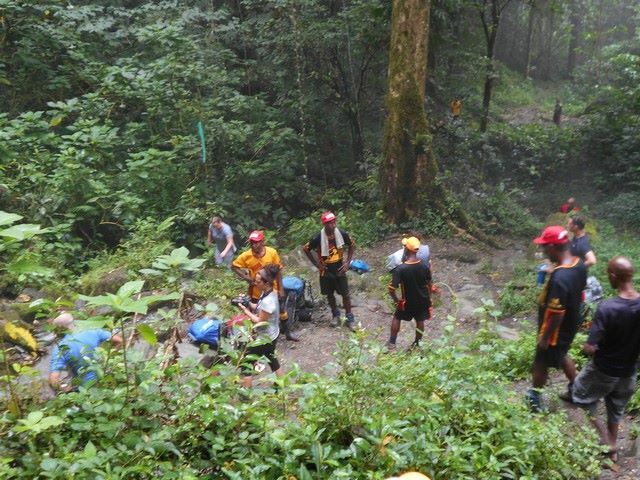 Standby for further updates, but at this stage the estimate is around 3pm. 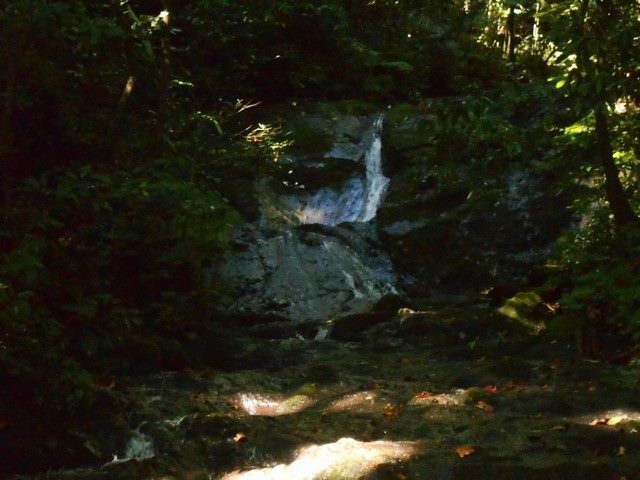 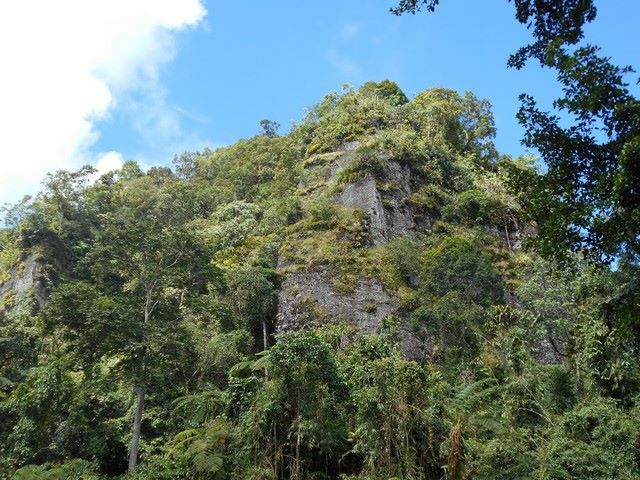 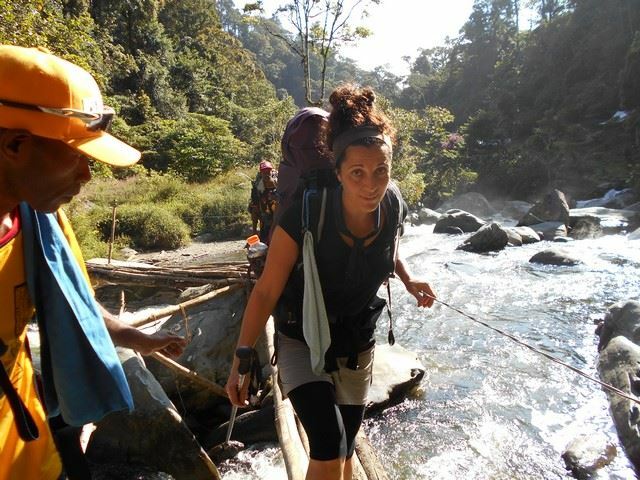 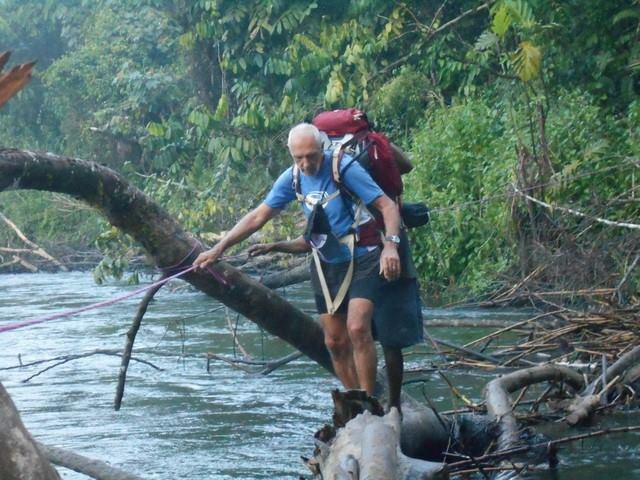 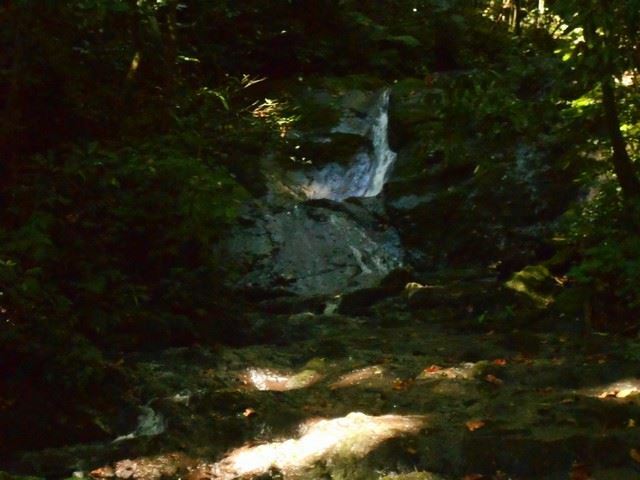 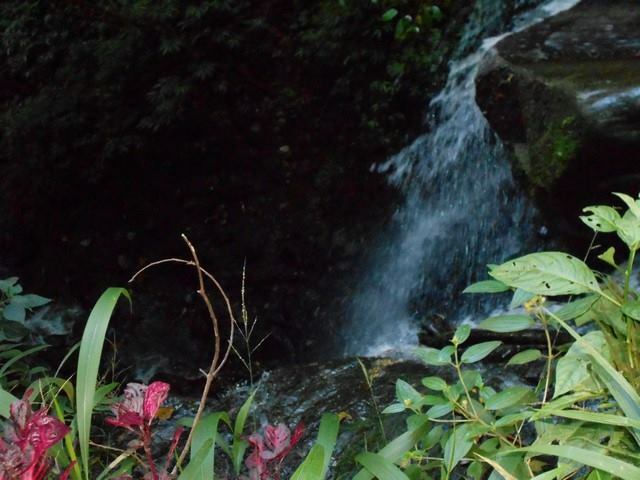 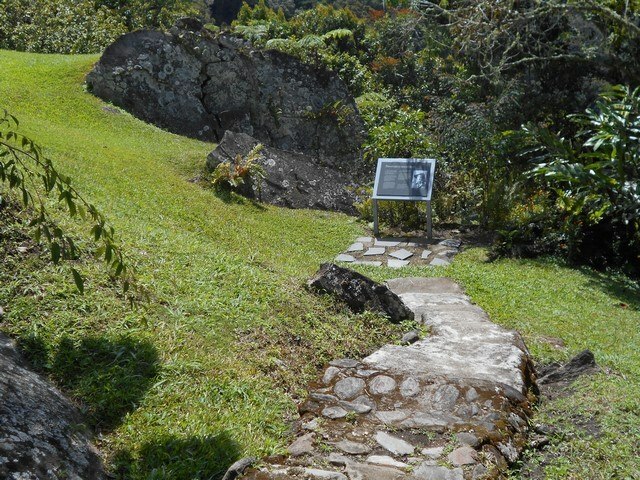 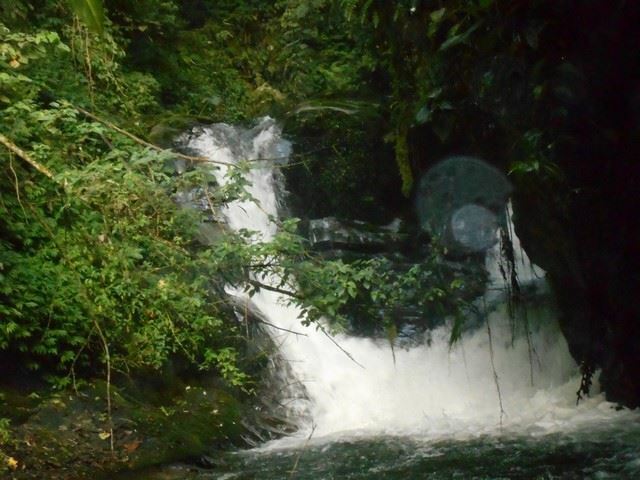 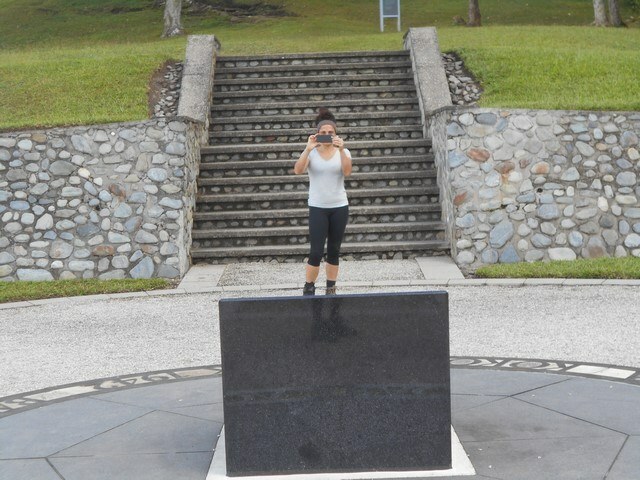 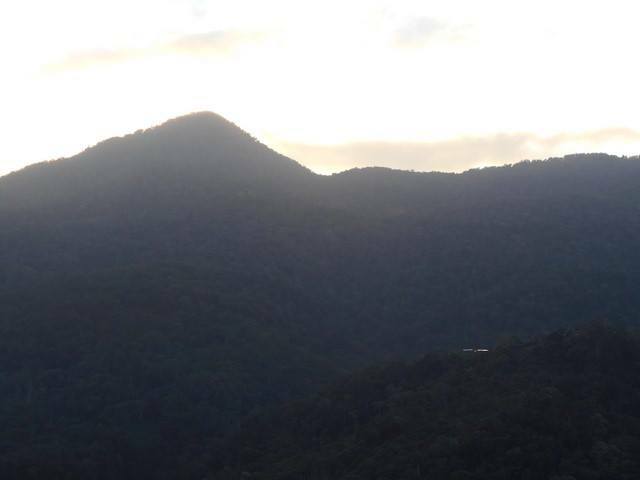 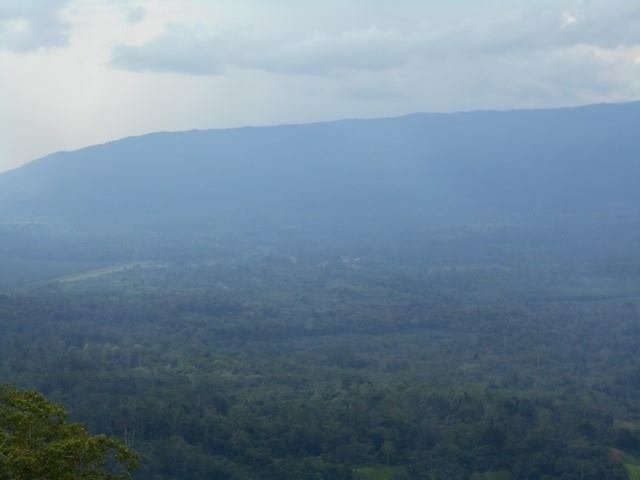 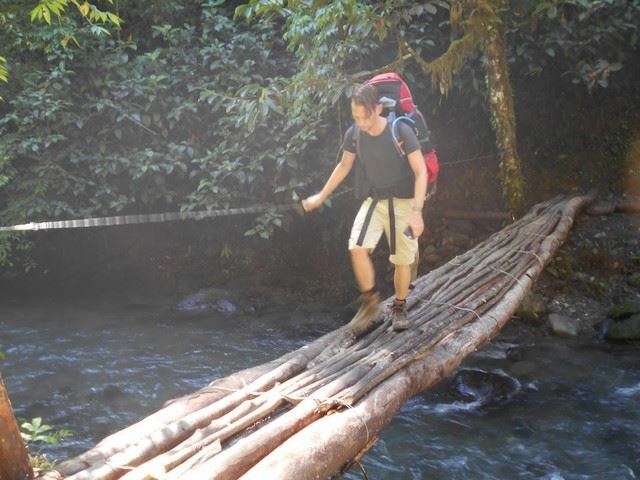 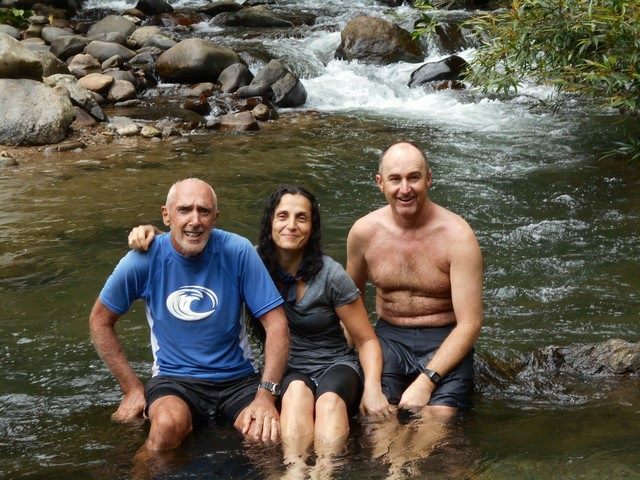 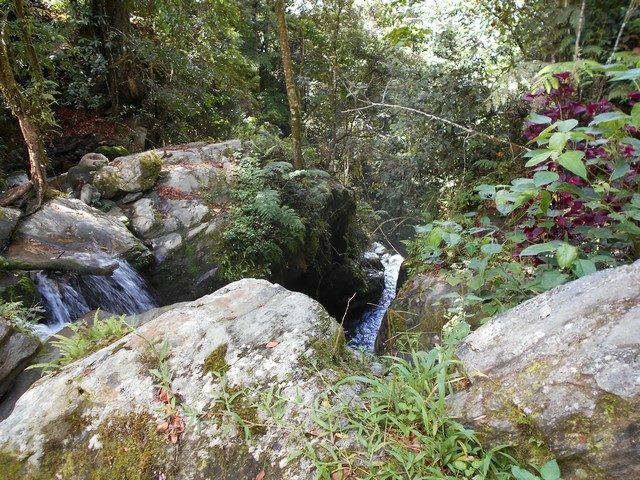 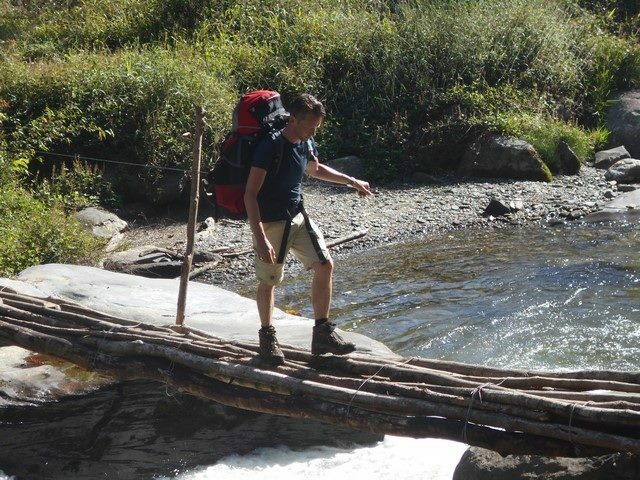 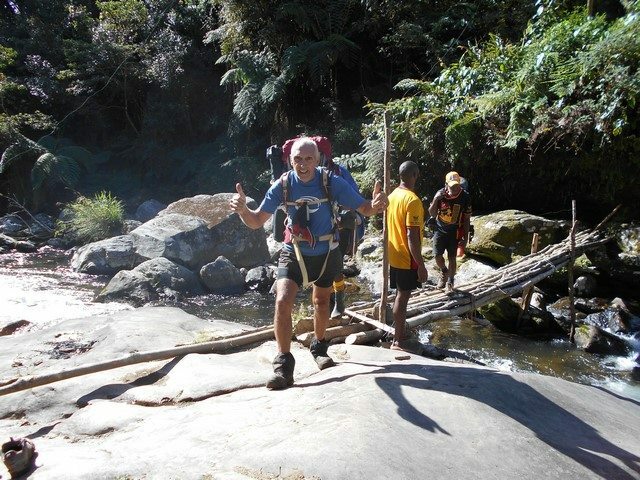 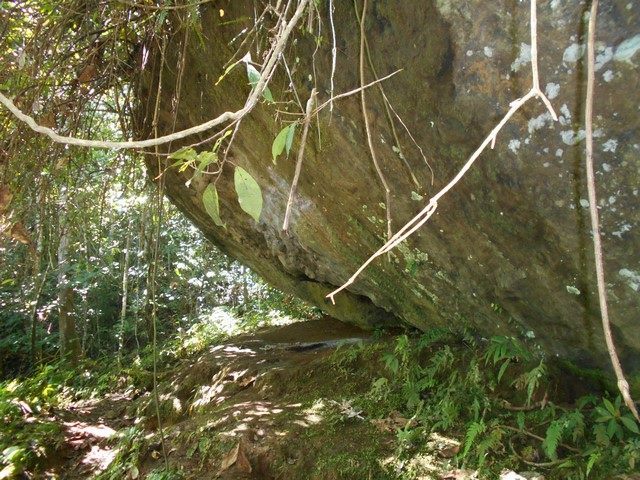 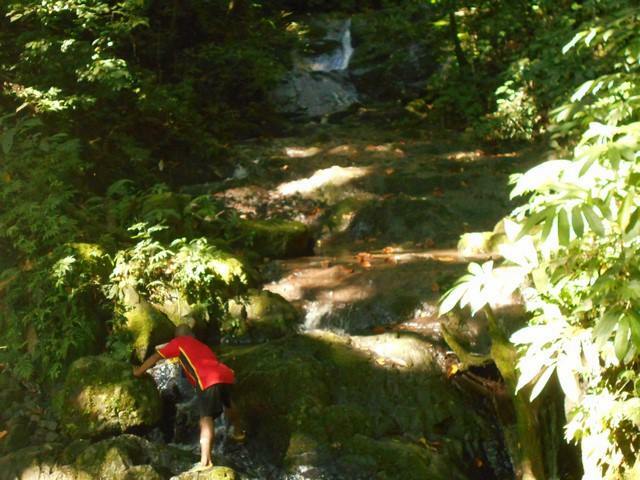 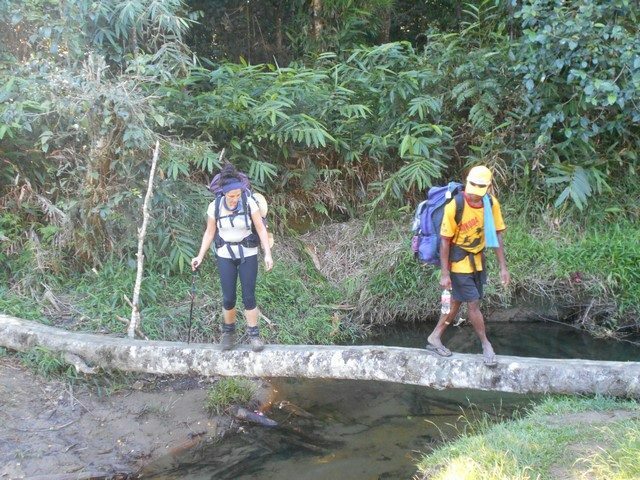 Picture them later today crossing over Goldie River for one last climb to the top and under the Owers’ Corner archway!